Technology has advanced rapidly in recent years, and what we thought was modern a decade ago, turned out to be old by now. Many of us no longer use those items or maybe have forgotten them. 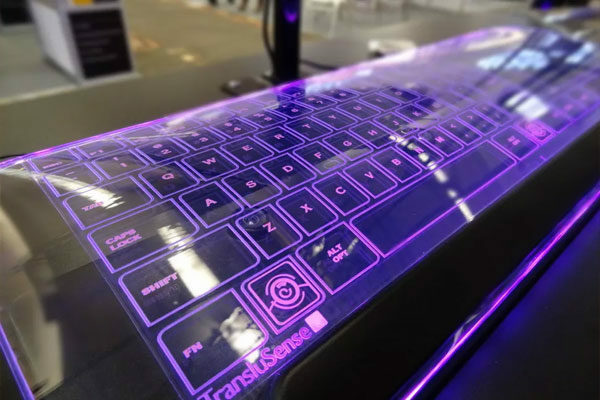 Technological advances go by leaps and bounds, and no matter how current something is at this precise moment, in 1 to 5 years, it will be totally forgotten, being replaced by new devices with many improvements. These are some devices that we stopped using completely and seemed very modern 10 years ago. 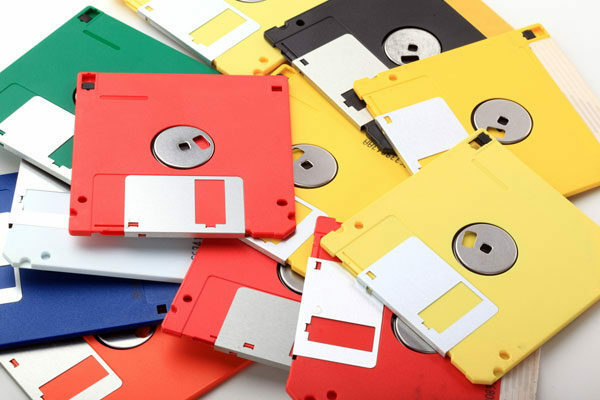 If you do not remember having used any of these, you are probably very young! 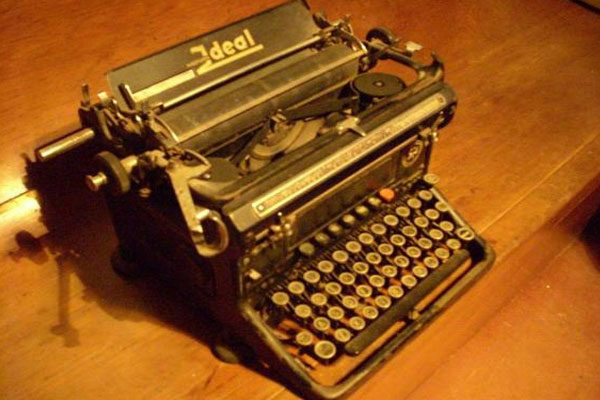 The first model and design was in 1865 by Rasmus Malling-Hansen and came to be marketed in 1870 with great success in Europe, arriving a couple of years to the American market selling the patent and taking the model by Remington. These machines have stopped being used almost completely in the whole world, being replaced by computers, laptops, cell phones and tablets. 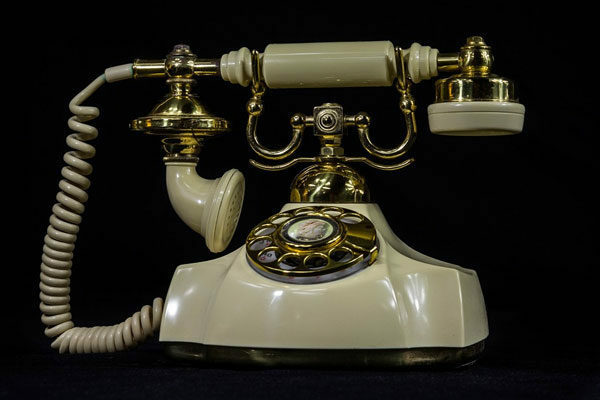 This phone model dates from 1844, with a rotating disc that characterized it so much, allowing to dial the desired phone number. The fixed lines that used to have in most of the houses have been disappearing with the passage of time since the smart and modern cell phones appeared. They are more economical and efficient. The telegrams appeared to serve as a means of communication that allows to send important information quickly and immediately. Years later, faxes appeared, improving that function. The Internet came to facilitate and give access to things that were believed impossible remote years ago. Emails helped to the fax almost complete disappearance. This was a type of printer. The first models that allowed to obtain different fonts and general graphics by means of selection of points of a matrix, which made it possible to reproduce texts. 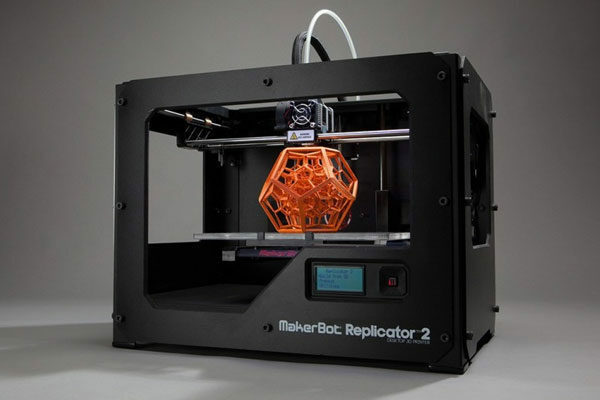 The printing machines have evolved so much, allowing us to even print objects in third dimension, high resolution and of all possibly existing colors. 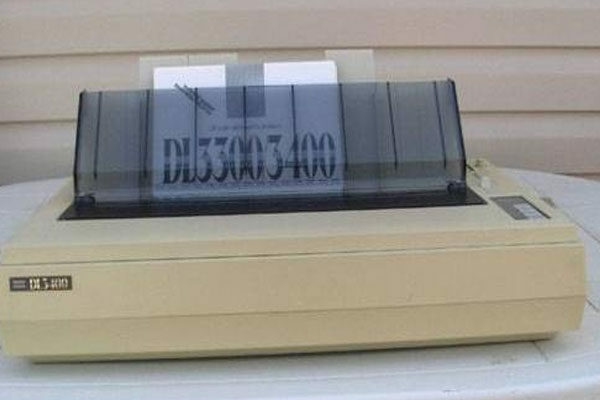 If you were born in the 90s or earlier, you probably used one of these. 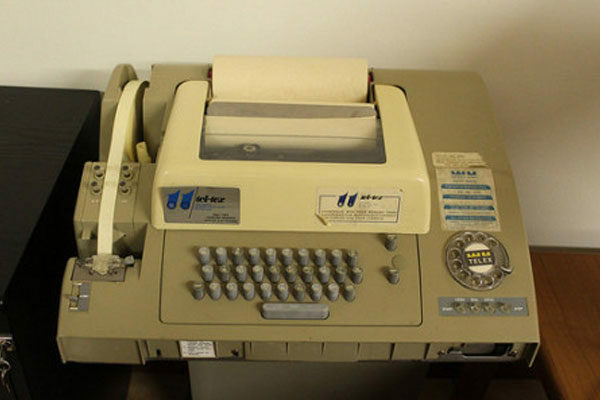 Originally appeared in the decade of the 70s, allowing to store data and information. 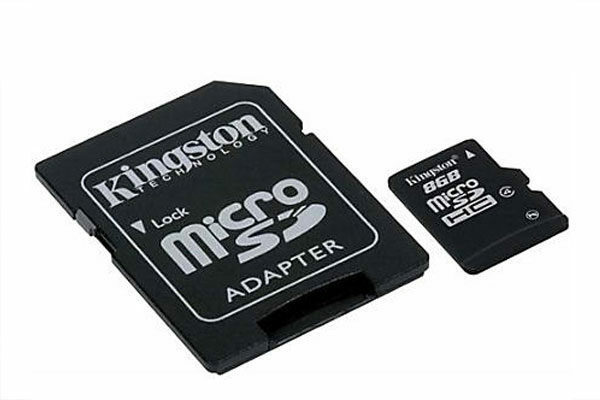 These small diskettes have stopped being used completely, being replaced by memories of very compact sizes, but with greater storage capacity. Several of these portable music players were very popular in the 90s, allowing anyone to enjoy their favorite music without disturbing anyone anywhere. With the appearance of devices such as the ipod and modern phones, the pocket players stopped being used, being completely out of the market. 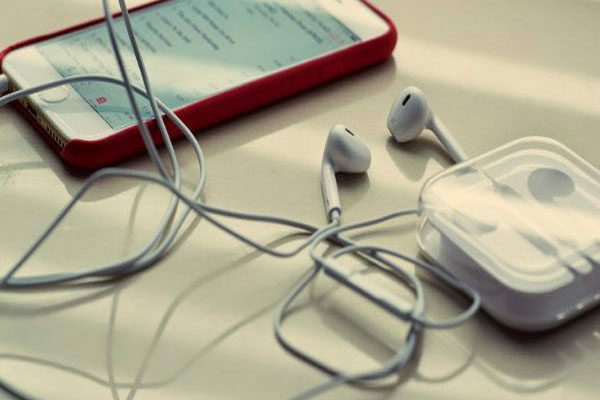 The current cell phones have several applications that allow you to listen to any song immediately and unlimitedly. 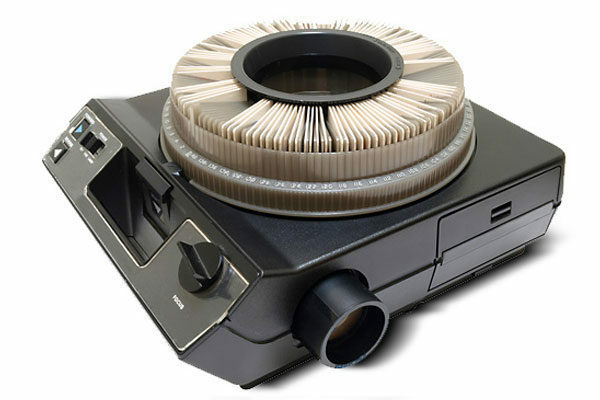 With its appearance around the 50s, the slide projector became one of the most popular entertainment devices allowing images to be projected, one at a time. 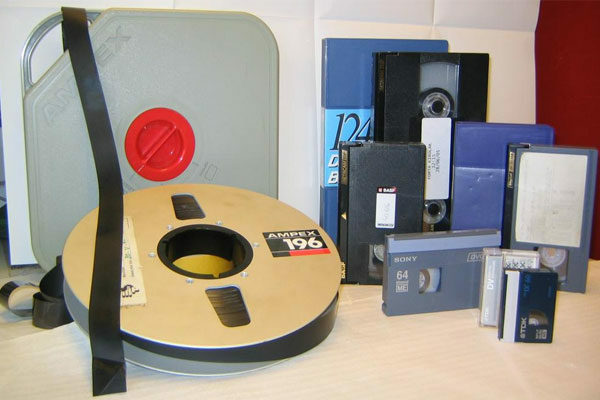 These were left in oblivion with the appearance of modern video projectors, for its ease and accessibility to watch videos. 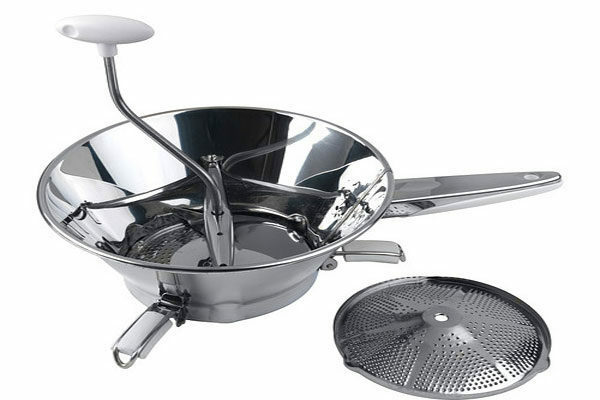 The first colanders were manual, being a very useful utensil in the kitchen of any family, allowing to process and pour solid food into something more liquid. 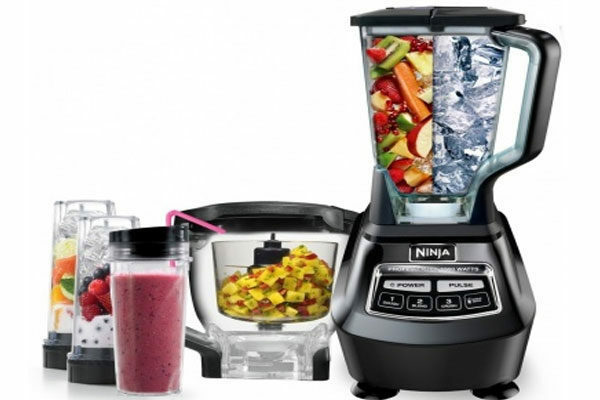 These were forgotten due to the appearance of electric blenders, cutters and processors, which not only facilitate the work, they also do it momentarily. 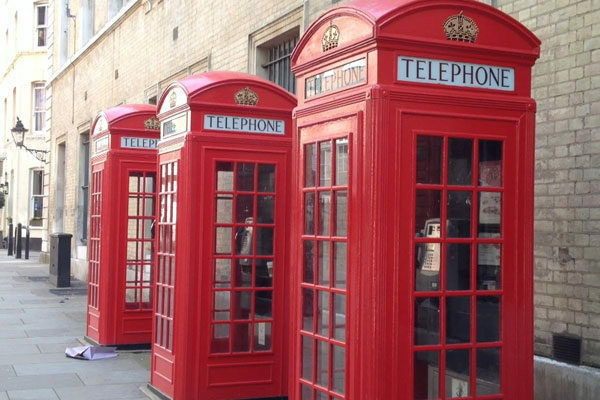 Public telephones had great popularity for many years, allowing people to communicate immediately to any place in an economic way. Like fixed lines, public telephones have almost completely disappeared. 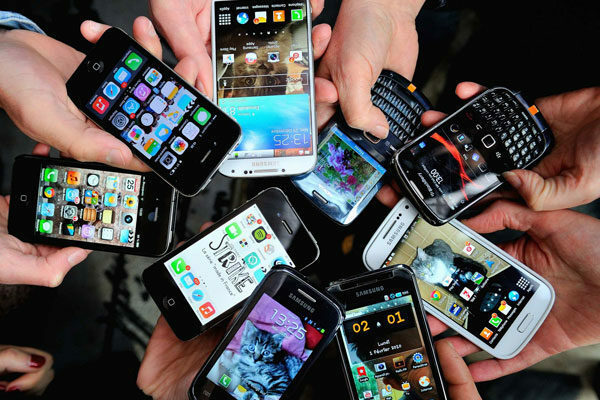 Very few countries or places still have them, since people prefer to use their cell phone, leaving these, only as a last resort. These instantaneous cameras appeared around the 40s, allowing capture any moment and person instantly, obtaining an image through a chemical process developed inside. 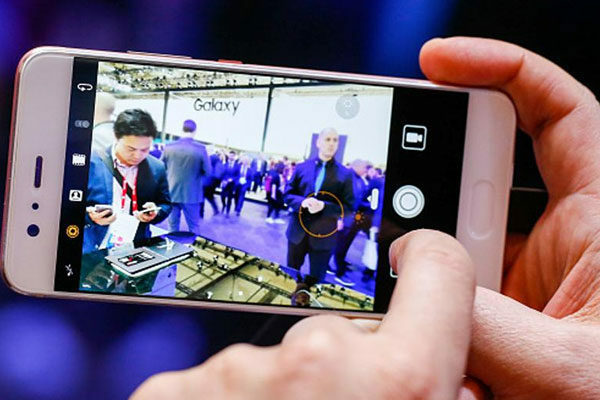 The appearance of smart digital cameras and smartphones caused that all the cameras of old method will be very few existing, but that does not make them less popular. Since in the photographic medium they are highly sought and longed for. 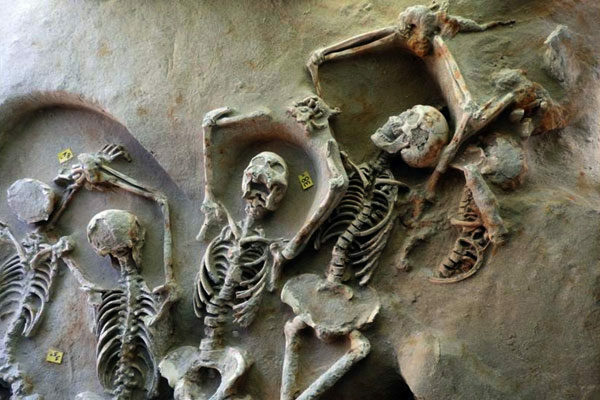 Even if we investigate and look for information of human past we won’t be able to know all the history behind us. 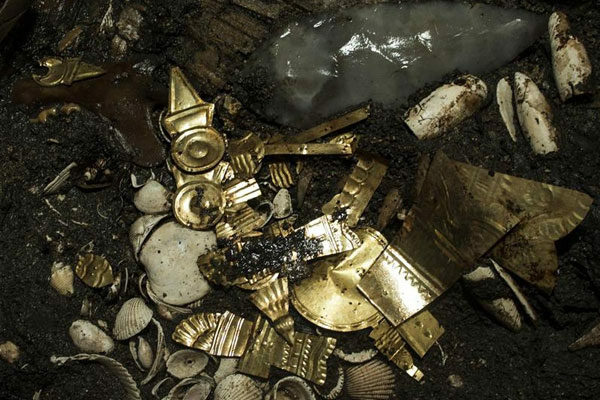 That’s why when there’s a discovery of old things that we never imagined that could exist, we want to investigate almost everything about it, because it make us feel like we are getting closer to the truth. 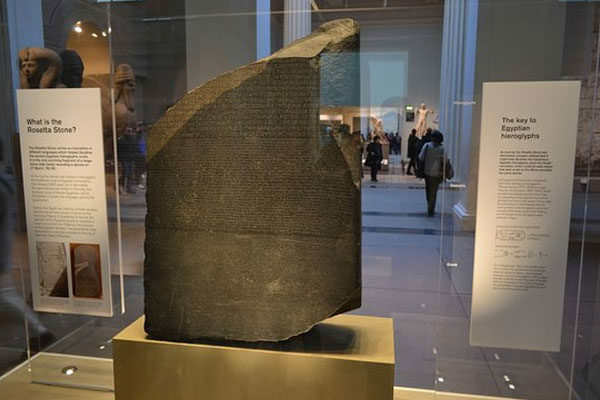 For human beings, discovering of our past is an amazing thing due to this we can explain many questions we all are having about the beggining of the world. 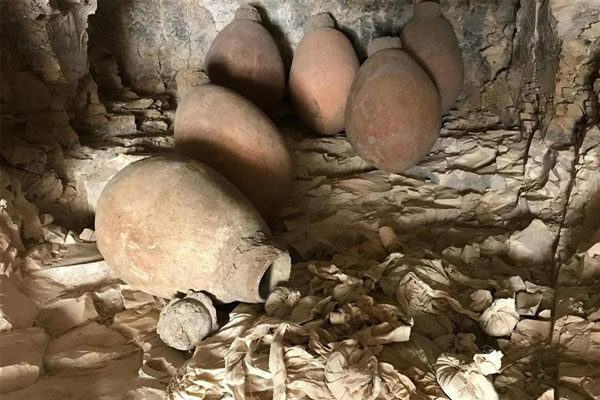 These are some archeological discoveries that can tell us a little part of the history and may we are going to get surprised by the past. We will never get tired about investigating new things to learn a lot. Pompeii was an ancient Roman City near the modern Naples. Archaeologists believe that the town was founded in the 6th century BC. Now this place is a tourist destination. Dead Sea Scrolls are ancient Jewish religious manuscript found in the Qumran Caves near the Dead Sea. 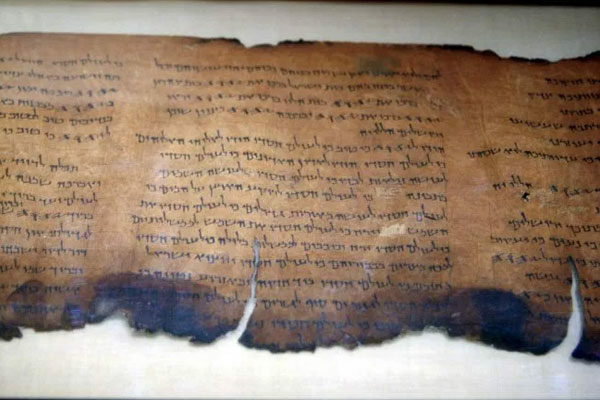 The Dead Sea Scrolls were discovered in different caves. 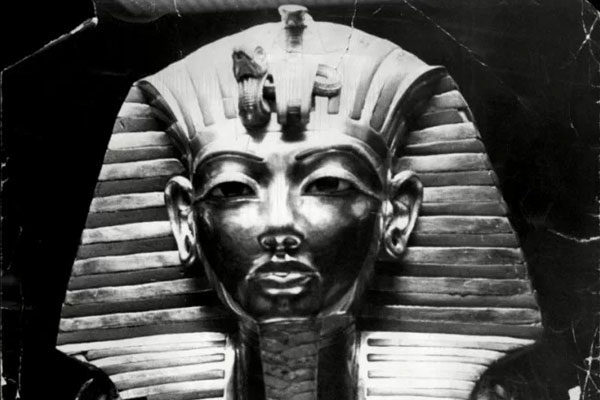 Tutankhamun was an Egyptian pharaoh of the 18th dynasty during the Egyptian period in history and is known as the New Kingdom or can be known as New Empire Period. It was found in 1799. 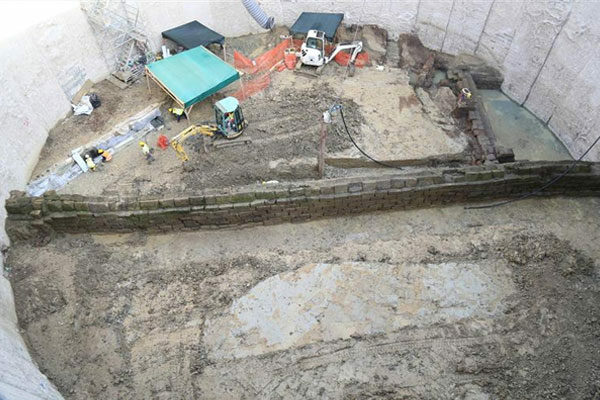 Since its rediscovery, the stone has been the focus of nationalist rivalries, including its transfer from French to British possession during Napoleonic Wars. 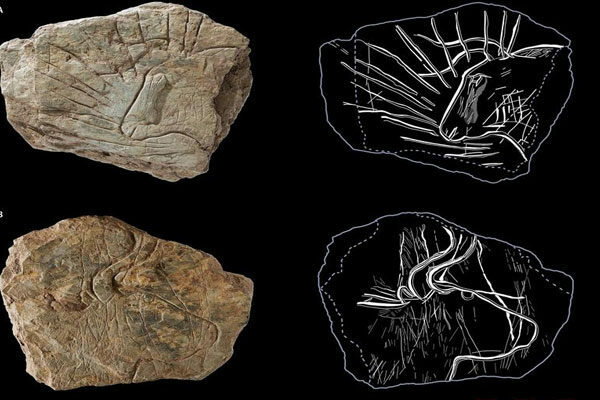 A team of French archaeologists discovered 45 plates with amazing engravings, including different drawings of animal head surrounded by lightning or flashes and this makes an spectacular visual effect. The founder of the Classic Tikal was Yax Ehb Xook. 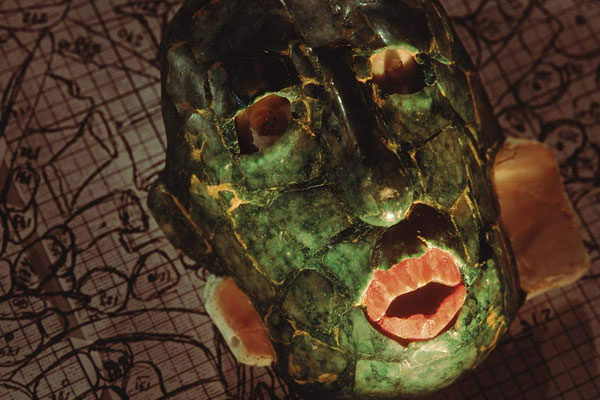 While it is suggested that Maya rulers were legitimized based on family ties, there are many deviations from this in Tikal. Romans constructed many aqueducts throughout the Empire to have water in different cities and towns. Most of the Roman aqueducts proved to be pretty realiable and durable, some wew maintained into the modern era. Most of the mummification materials were mentioned by the ancient authors Herodotus, Diodorus or Pliny as being used in the mummification process. The god of the sun and war, Huitzilopochtli, is represented by a wolf, and that's why many sacrifices were made with wolfs. 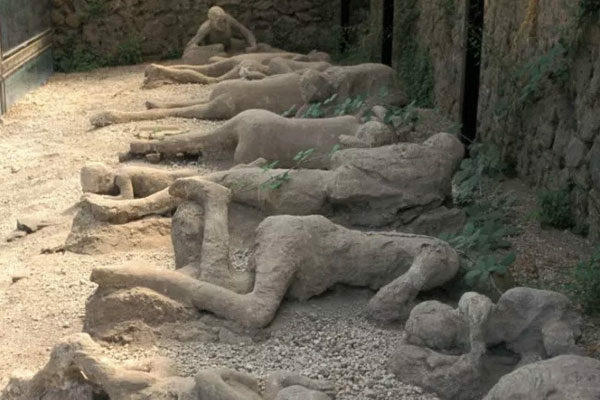 The same way as Pompeii this small town was destroyed and left covered by ash after a fire happened. 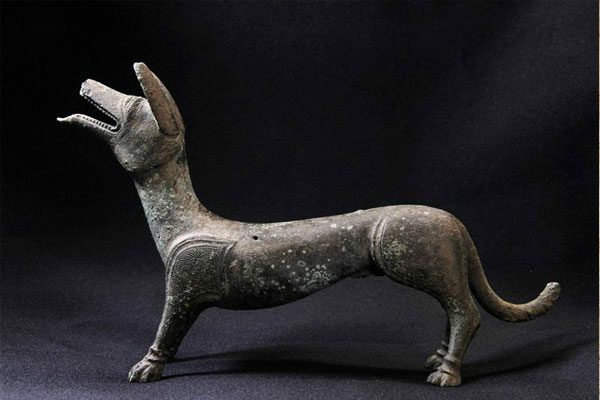 In 2017 many things from the roman period were discovered, things and statues that were made with bronze and they were intact. 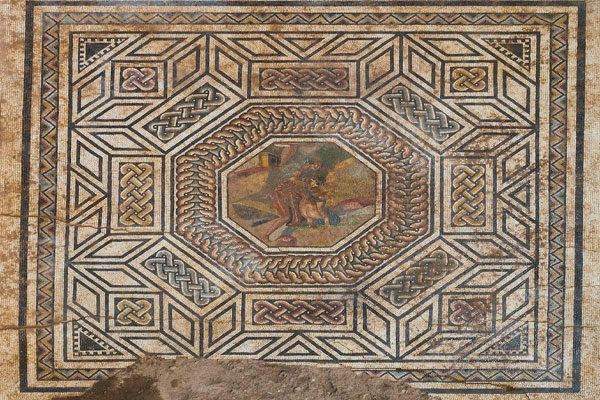 Many archaeological discoveries of the roman period were located in the first months of 2017. 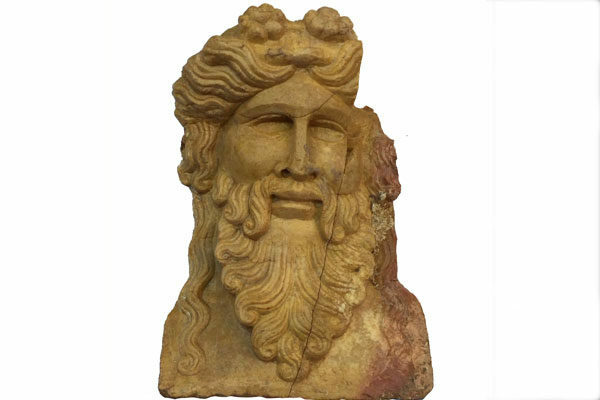 One of the discovery was the god of wine. It was created by Minoans in Crete and is an Ancient Greek seal, its creation was about the Mycenaean era. 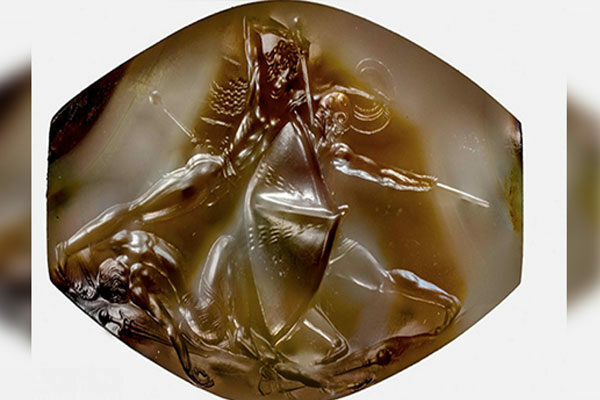 It was discovered in the Griffin Warrior Tomb that is near the Palace of Nestor in Pylos. 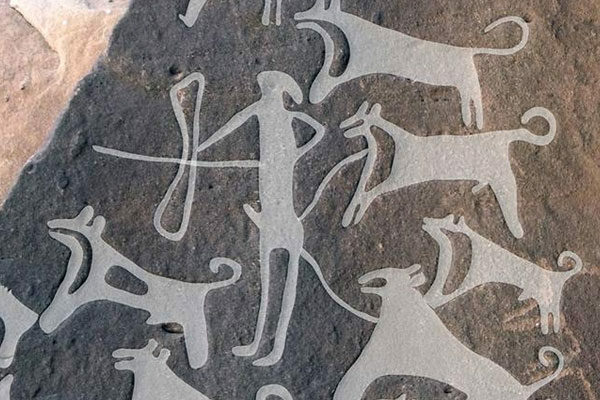 A study published in november showed the oldest evidence with dogs. These were found in Saudi Arabia. 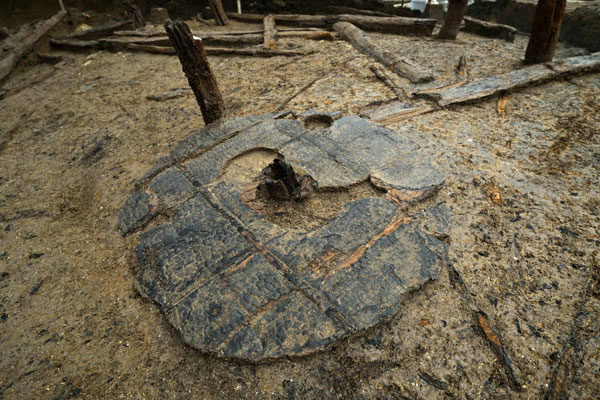 A British Bronze Age settlement is well preserved even if it is 3.000 years old. This fossa located in Athens it was two meters and a half deep, there were found 80 skulls and some of them had chains around their hands. 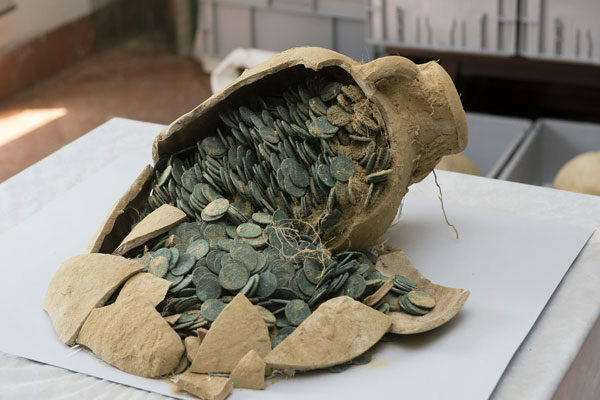 16 amphoras full of bronze coins were discovered in Seville during a litle constructions that they were doing at the Olivar de Zaudin park. These were there for almost 17 centuries. 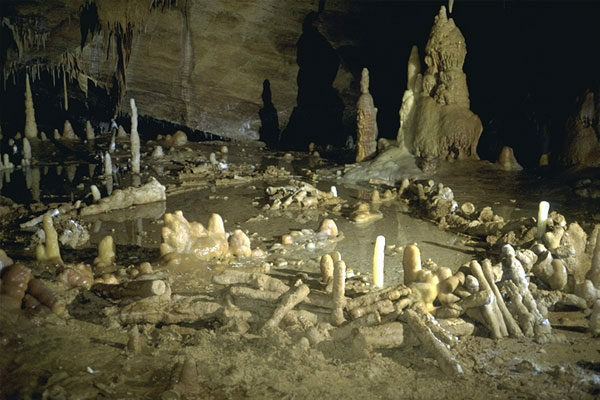 These structures are among the oldest known well dated constructions made by humans. 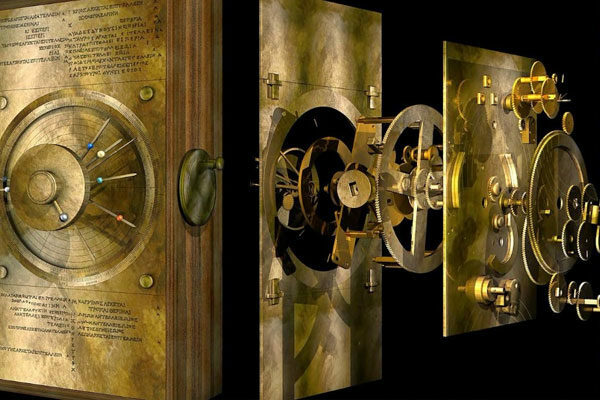 The Antikythera mechanism is an ancient Greek analog computer and orrery used to predict astronomical positions and eclipses for calendar and astrological purposes decades in advance. 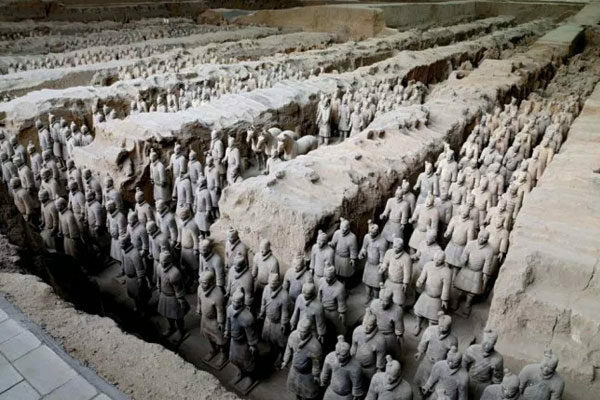 It is a collection of terracotta sculptures depicting the armies of Qin Shi Huang who was the first Emperor of China. Global warming is one of the most serious threats to our environment, our health, and our economy. Recent scientific studies confirm that the rise in the average temperature is already causing environmental changes that will have significant economic and social impacts. Scientists say that carbon dioxide levels in our atmosphere are the highest now than they have been in the last 650,000 years. The good news is that we can stop the worst consequences of global warming if we reduce, reuse and recycle. We need to start doing something now to avoid serious consequences. 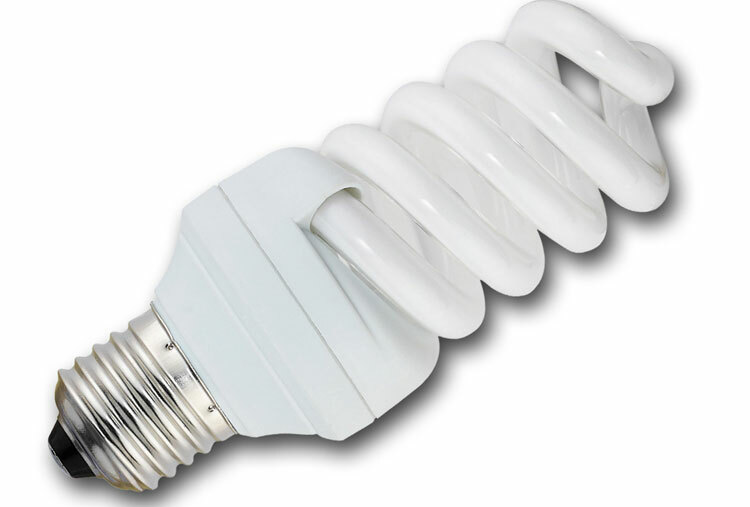 An easy way to start helping is changing traditional bulbs for compact fluorescent lamps. CFLs consume 60 less electricity than a traditional bulb, making this simple change will reduce the emission of 140 kilos of carbon dioxide a year. 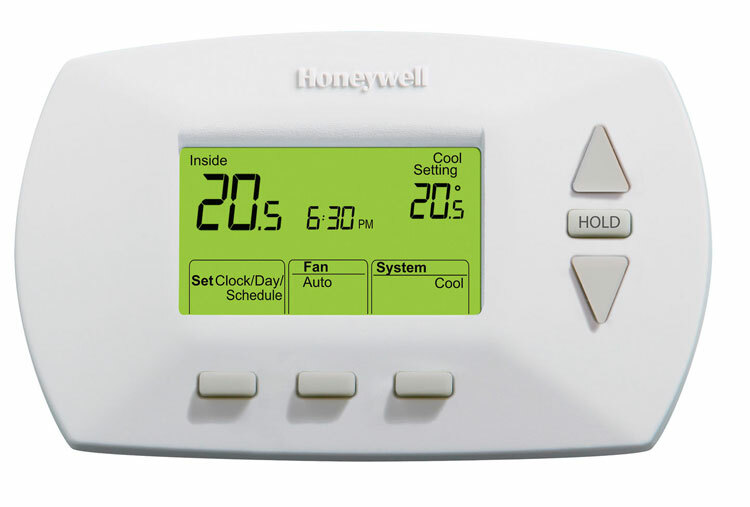 During summer, you can set your thermostat a few degrees higher or turn it off when you are away. Adjusting the heating and air conditioning could save about 900 kilos of carbon dioxide a year. Did you know that water heating is the second largest energy consumer in your home? 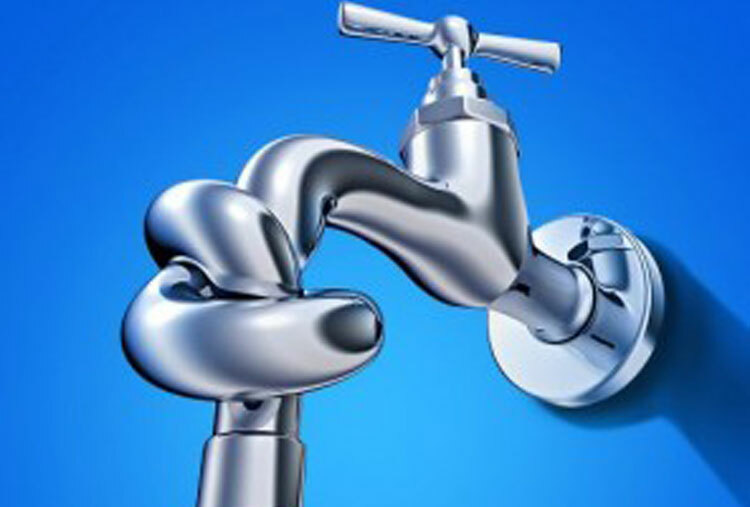 You can reduce hot water use by installing low-flow fixtures and buying energy-sufficient electronics. Remember that when you can help the environment and save money at the same time. 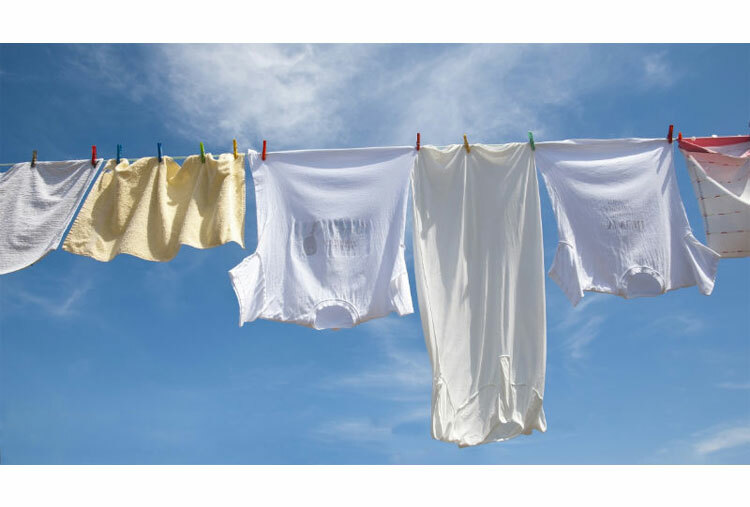 Using drying racks or installing a clothesline can help reduce your energy consumption. By air-drying your clothes during six months, you can save 320 kilos of carbon dioxide emissions. It may not be the fastest way to dry your clothes, but it is cheaper and it helps the environment. 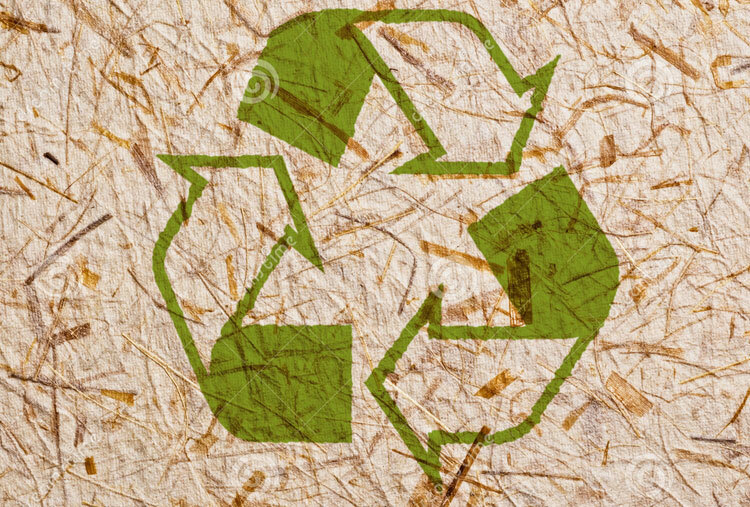 You should buy recycled biodegradable paper; the production of recycled paper consumes between 70 % and 90 % less energy and it helps stop deforestation. It may seem like this change wouldn’t make a big impact, but it does! We need to reduce fuel usage by carpooling, there are many benefits such as reducing traffic, saving money and helping the environment. Using public transportation, riding your bicycle or walking can also be great transportation options. 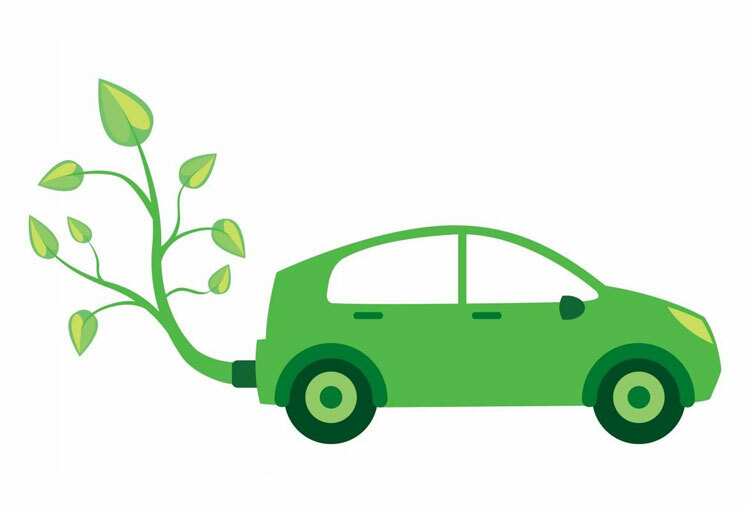 Hybrid cars can help conserve fuel and produce less CO2 emissions, due to the fact that these cars use two engines, an electric motor, and a conventional engine. 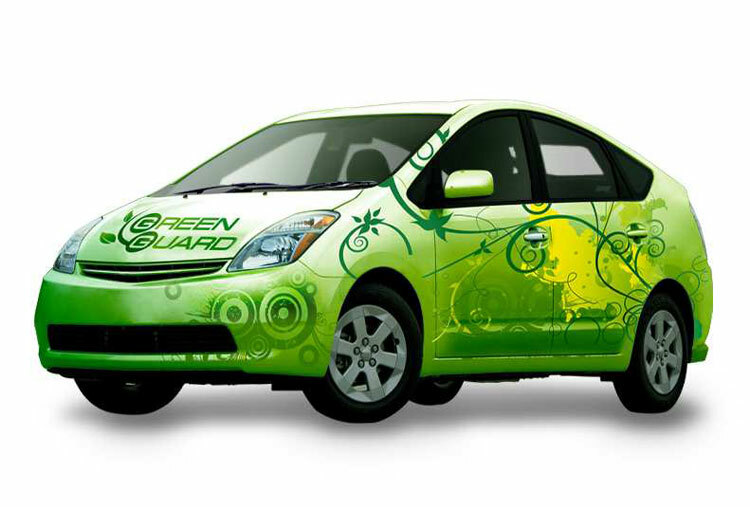 Hybrid cars have become more popular over the last few years. 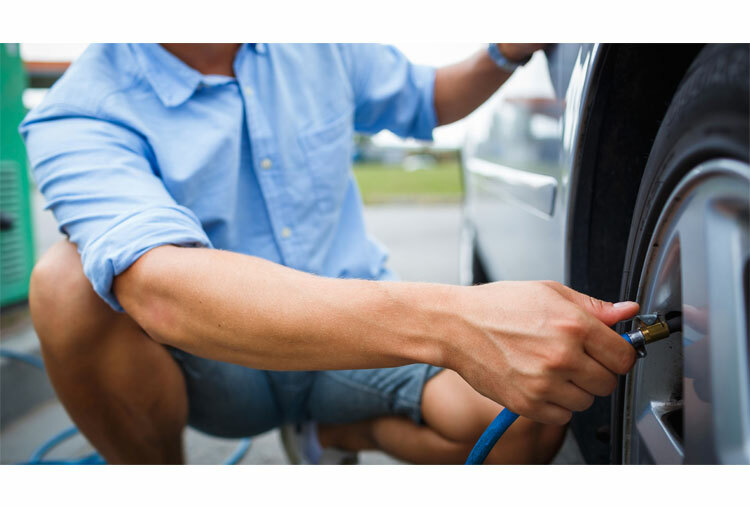 You should check your tire pressure at least once a week because under-inflated tires burn more fuel. This will help you save some money and help the environment and it will only take a few minutes. 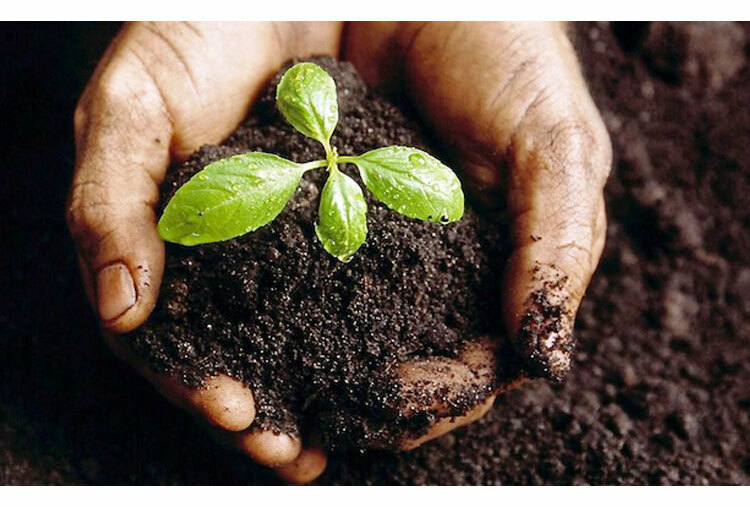 Tree planting can help our environment because trees help reduce the amount of harmful CO2 gas in the atmosphere. Deforestation is a very serious issue, between 2,000 and 2012 approximately 2.3 million square kilometers were cut down, so we need to do something about it. If you’ve heard of the three R’s then you know what we are talking about. 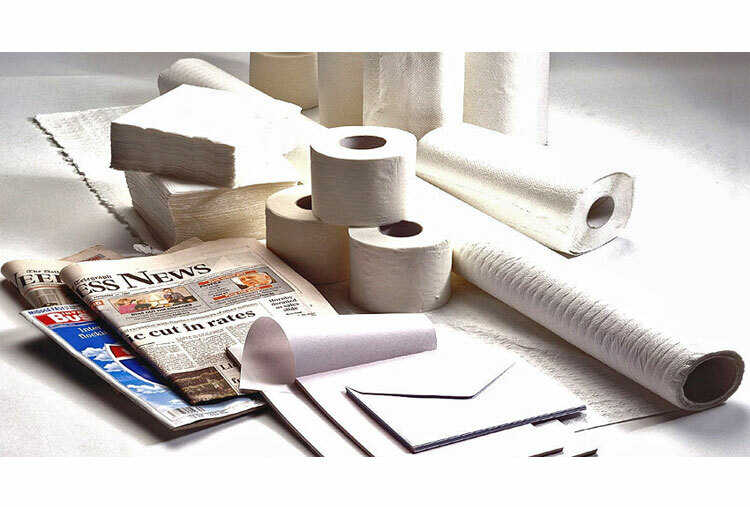 Many of our everyday products like paper bags or cans are made out of material that we can recycle. 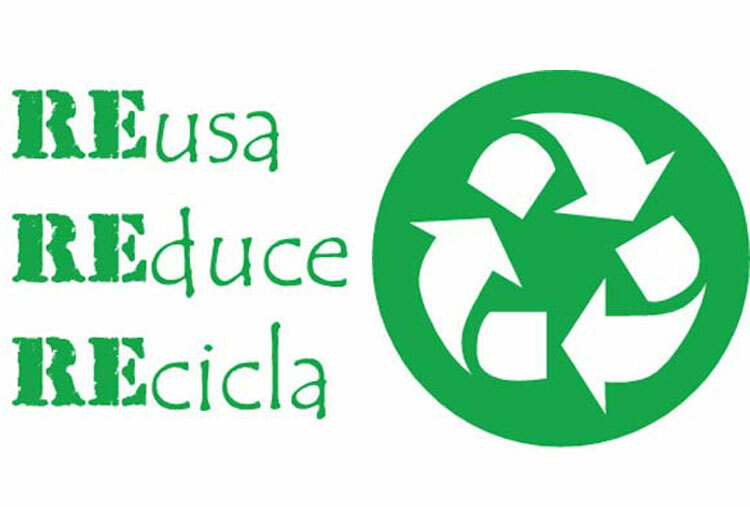 You can also help the environment by buying eco-friendly products. We often like to take long, relaxing showers but we need to remember that we are wasting unnecessary water. You can also turn off the water after you wet your toothbrush or use your dishwasher and clothes washer for only full loads. 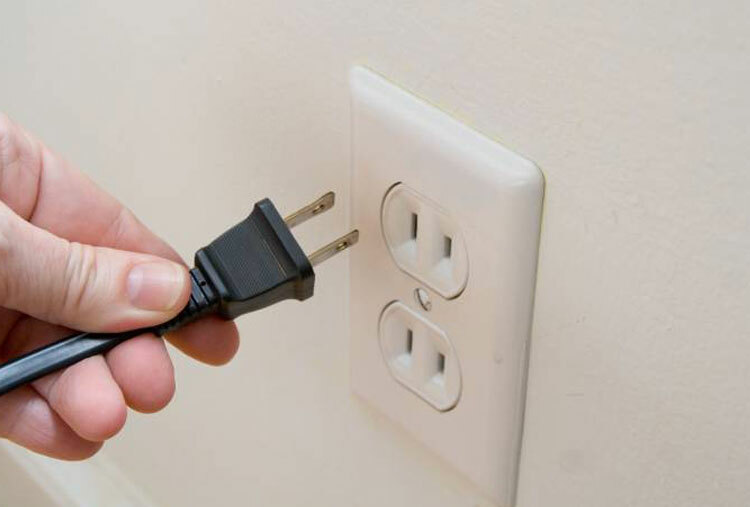 Most appliances continue to use energy even when they are turned off because they remain in standby mode. The only way to avoid this is to unplug them when you’re not using them. 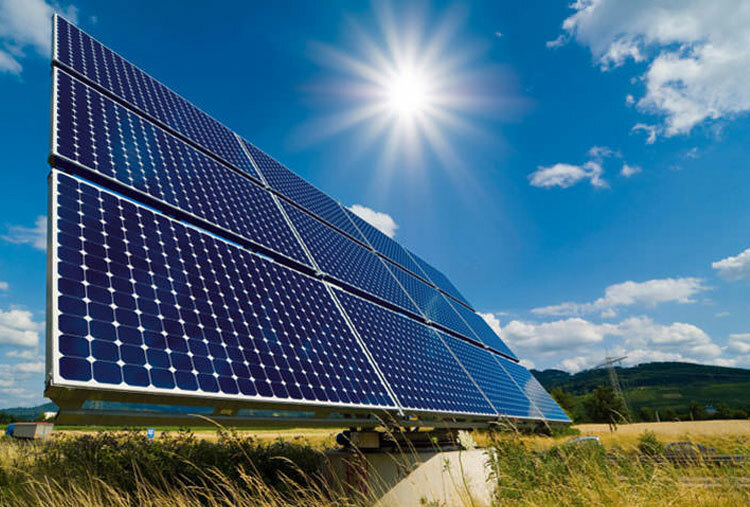 You will save money and energy, so this is a great way to help! 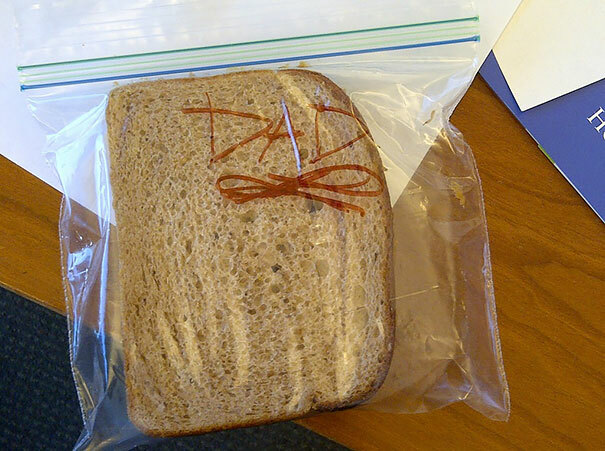 The energy use for packaging food could be reduced if we eat fresh food. 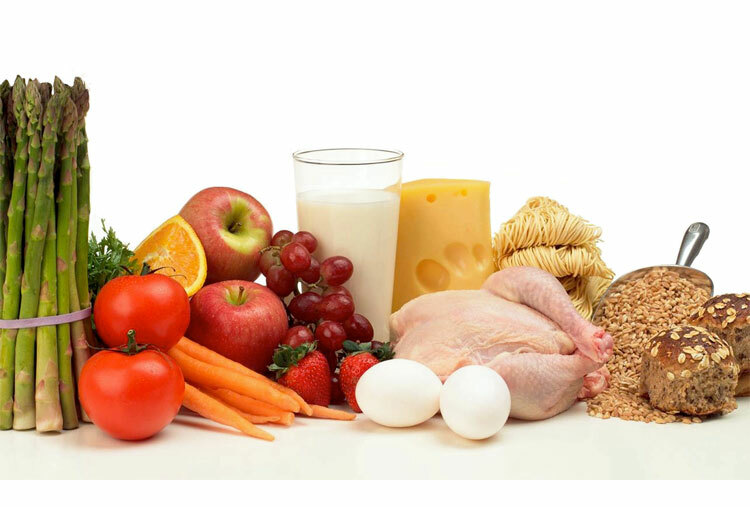 Packaged food also needs to be stored in the fridge and they contain preservatives and chemicals, so choosing fresh food is a great option for you. Over the years, the food industry has become more aware of the fact that over-packaging food can have serious consequences on the environment, that’s why they have started using recyclable food packaging. 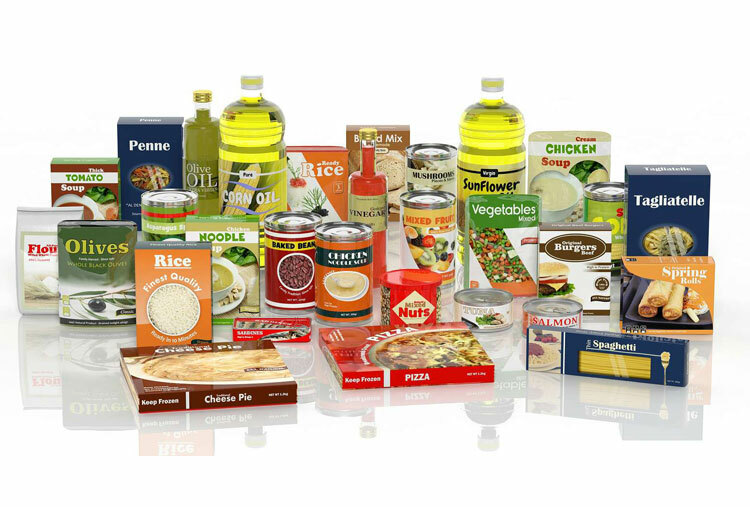 You can help by buying this recyclable food packaging instead of over-packaged food. 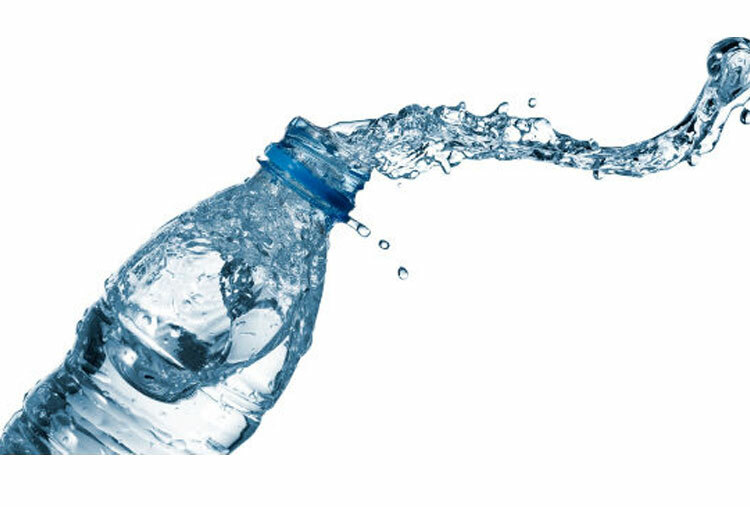 There are many ways of reusing everyday products, for example, you can refill your water bottle instead of buying a new one, and you can also use cloth bags instead of plastic bags when you go grocery shopping. You can reduce paper waste by copying on both sides of the paper, or reduce documents to fit two pages onto one. 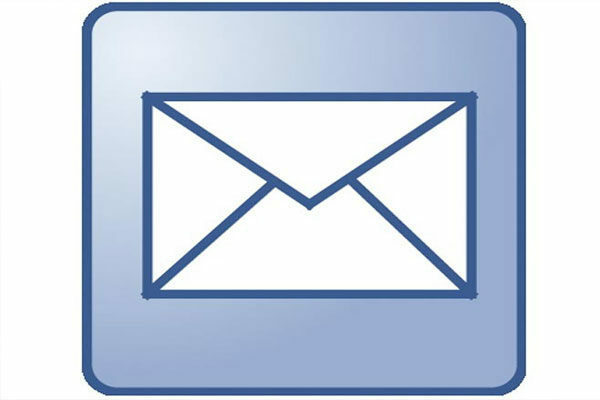 Another way of reducing office paper is using e-mails to exchange documents instead of printing or faxing. If you buy local products, not only you’ll be supporting local families, but also the fuel used in transportation will be reduced. 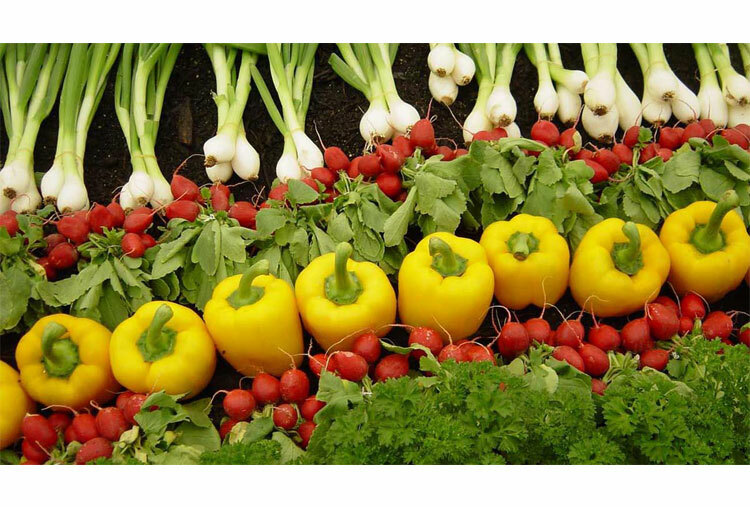 You also need to remember that local food tastes and looks better. 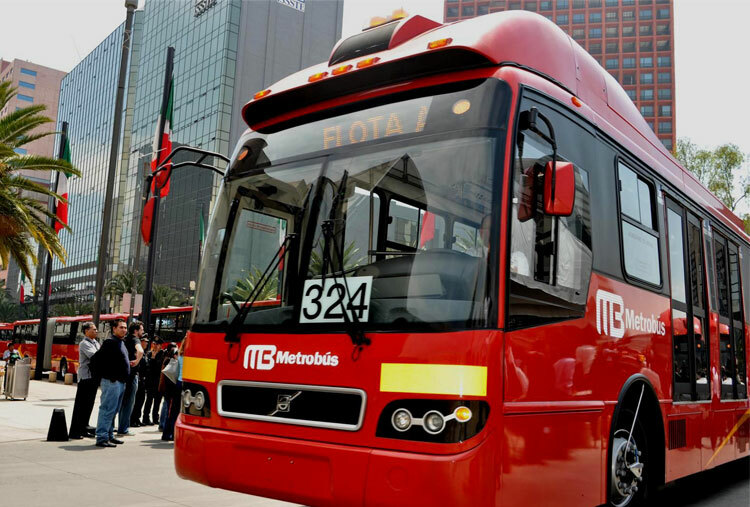 This is a great solution for the economic and environmental issues, by using public transport you can get to work or go to school in a cheaper and faster way. It also helps reduce traffic and the emission of CO2. Awareness on global warming and climate change has increased over the last few years, but we need to start helping, we can’t keep buying environmentally harmful products or wasting valuable resources anymore. Remember that you can start helping with these very easy ways to stop global warming! We all eat them for breakfast or even dinner and choosing a cereal brand has always been difficult, since there are plenty of options and new ones to try on. 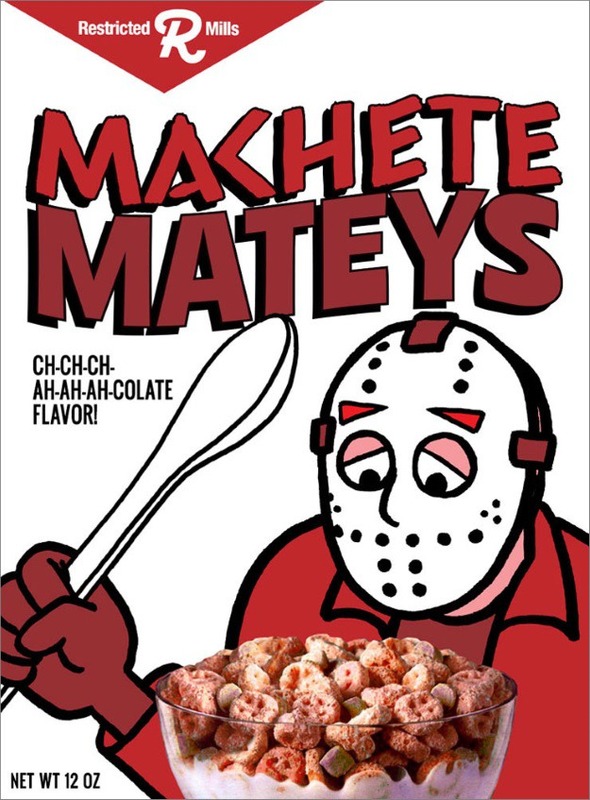 If you ever find yourself traveling around the world you will find the strangest and most delicious cereals ever. Here is a list with some incredible and even bizarre type of cerelas. Which ones would you like to try? This cereal was introduced in 1988 and it came in two varieties: Glazed Style and Chocolate. 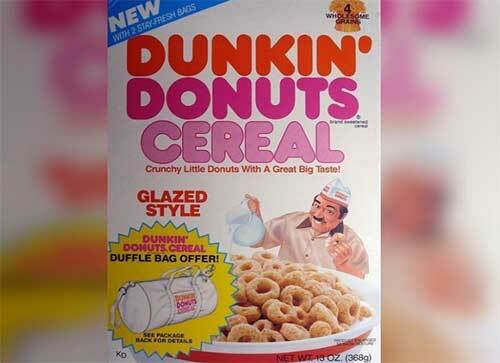 The box described the cereal as "crunchy little donuts with a great big taste!" Hopefully they'll bring it back to the market sometime because i really want to try them. In the mid 80's, Nerds Cereal asked us, "Which side are you gonna eat first?" The cereal box was divided into two separate compartments, each containing its own flavor of Nerds Cereal. The cereal included small boxes of Nerds candy in the box. 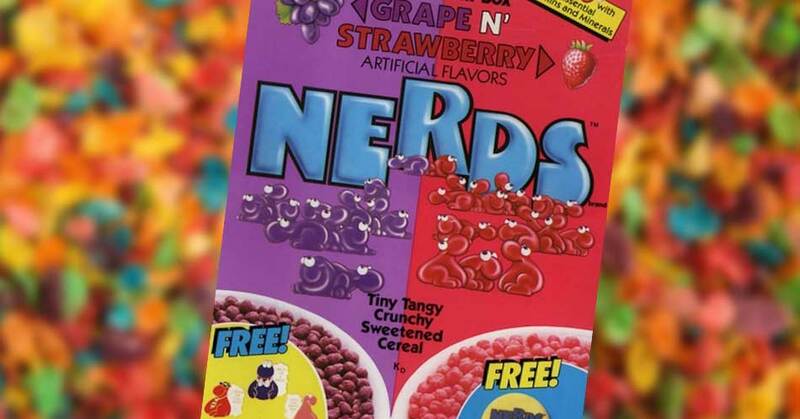 There were reports that eating Nerds Cereal would produce a bright red-orange stool - an alarming, if hardly life-threatening, health condition. 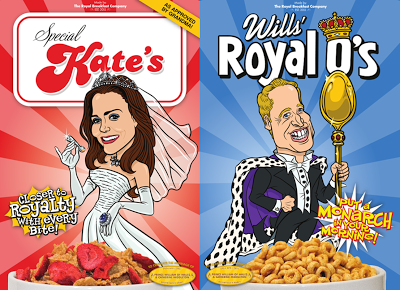 Kellogg's creates cereal with edible jewels to celebrate the monarch's record reign. They created them because Brian Houey, author of 'At Home with the Queen' recently told PEOPLE magazine that an average day for the monarch includes eating a bowl of cornflakes. Too perfect to be true! We all know this delicious chocolate, and now imagine eating it for breakfast as a cereal! The box says it has a lot fiber, so we could say that it's healthy. Can we? 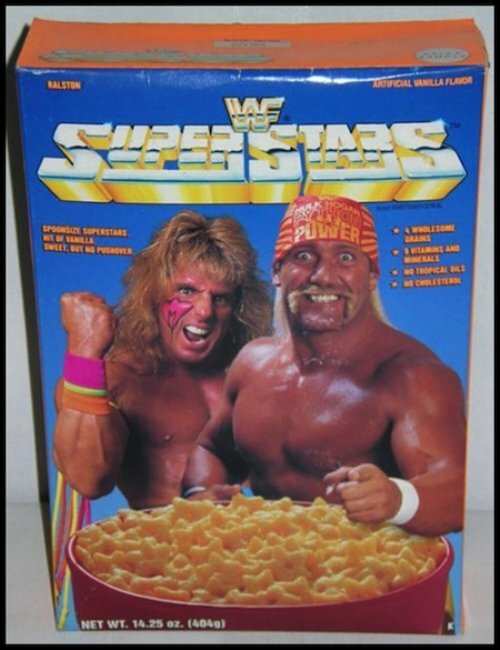 The WWF Superstars Cereal box staring Luke and Butch, or as we have come to know and love them, There are 4 known boxes, with Hogan, Ultimate Warrior, and the Road Warriors on them. 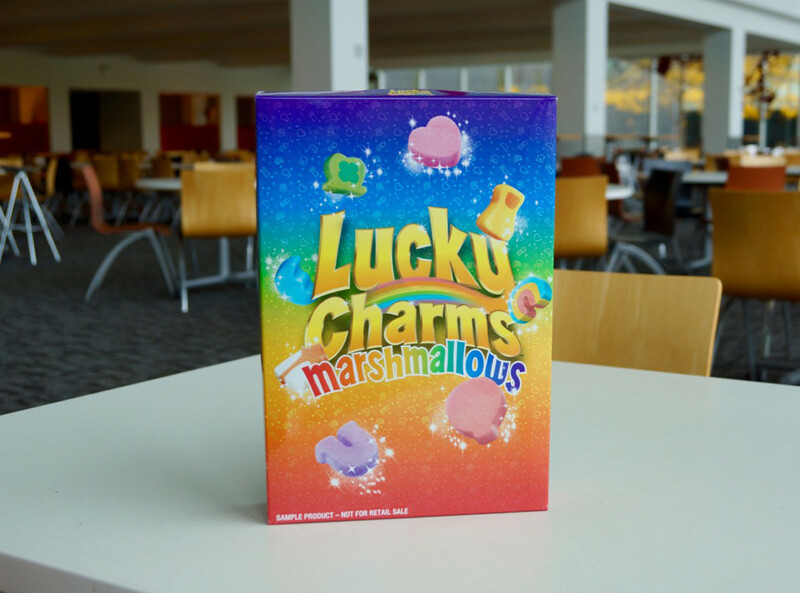 In 2015, 10 lucky people won a box of “Marshmallow Only” Lucky Charms through a social media sweepstakes. But according to the brand’s many marshmallow maniacs, 10 boxes just wasn’t enough. So this year Lucky Charms has decided to go big, unleashing 10,000 boxes of Lucky Charms marshmallows. Ice cream inside the cereal box? 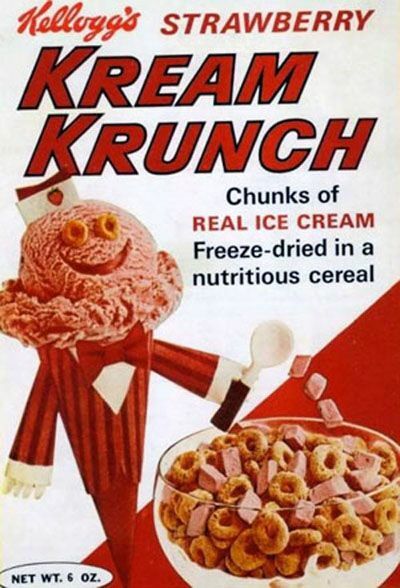 Kream Krunch was a breakfast cereal from Kellogg's that was created in 1965. The cereal consisted of freeze-dried strawberry, vanilla or orange ice cream pieces, as well as O-shaped oat pieces. There's nothing quite like waking up to this amazing taste combination of Cookies n' Creme for breakfast. 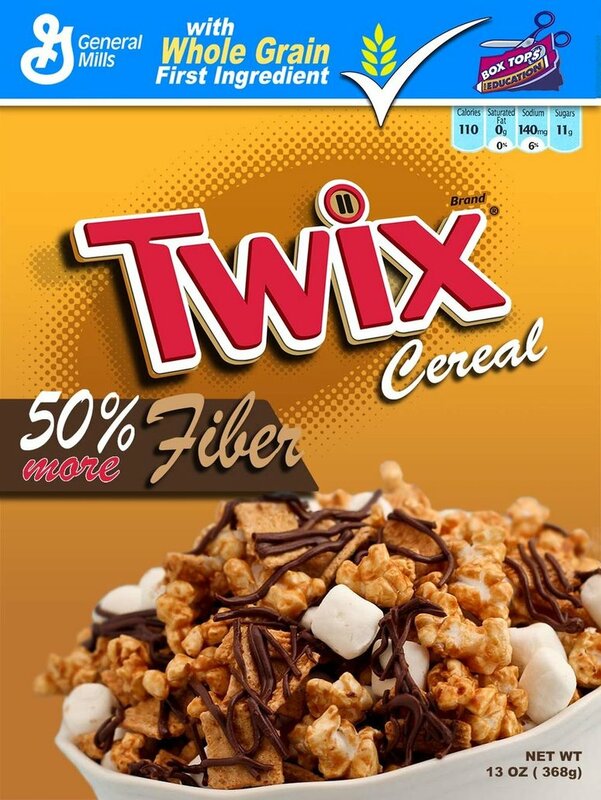 This cereal is made with 100% whole grains, a good source of calcium and only 110 calories. 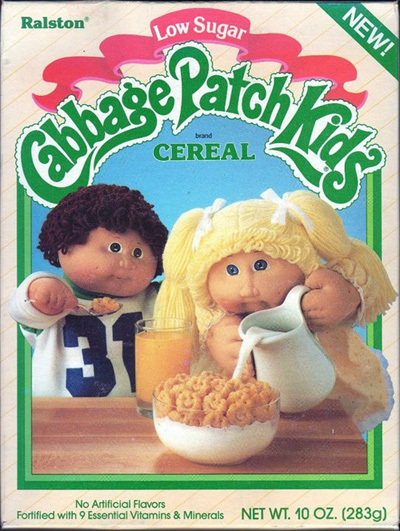 According to a 1985 magazine ad, "New Cabbage Patch Kids brand Cereal is the one cereal both moms and kids can feel good about. Because we took the fun and fantasy of Cabbage Patch, turned it into a delicious taste that kids love and then made it low in sugar!" Even though kids’ cereals have gotten sugarier and sugarier, they’ve got nothing on this latest innovation from the candy world. 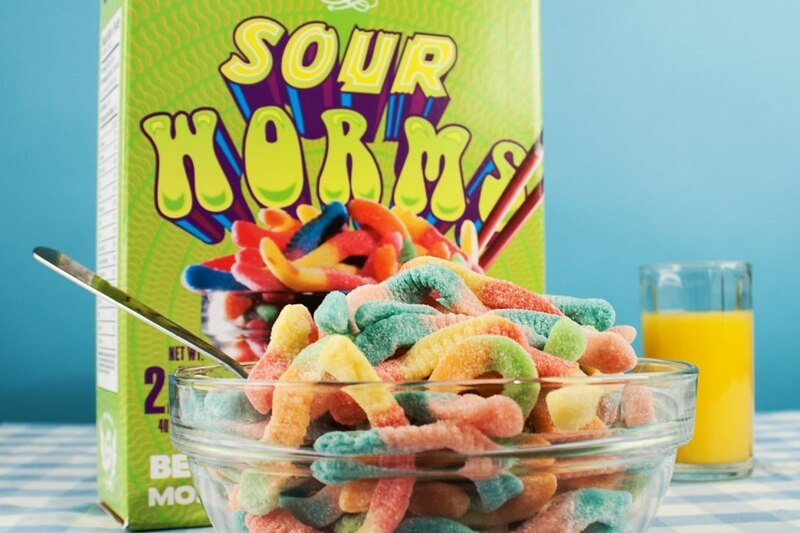 The giant Sour Worms Cereal box from IT’SUGAR contains 2.5 pounds of the candy worms. We’re pretty certain they’re not actually suggesting you eat them in a bowl with milk for breakfast, but it’s hard to say for sure. What type of Cheerios are those?! 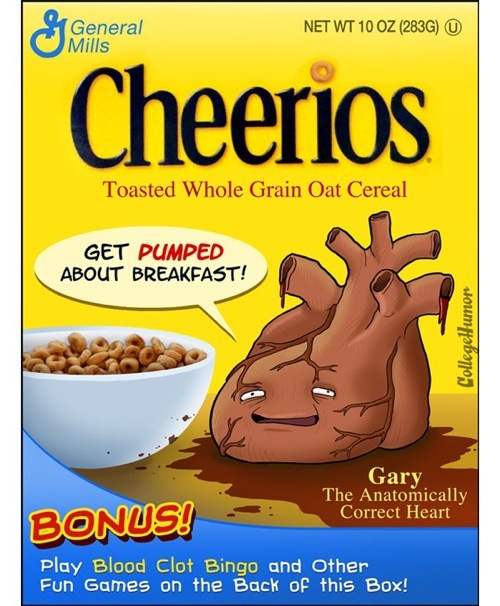 Instead of the friendly heart shapes and uplifting bee, Gary the Anatomically Correct Heart implores shoppers to "Get pumped about breakfast!" 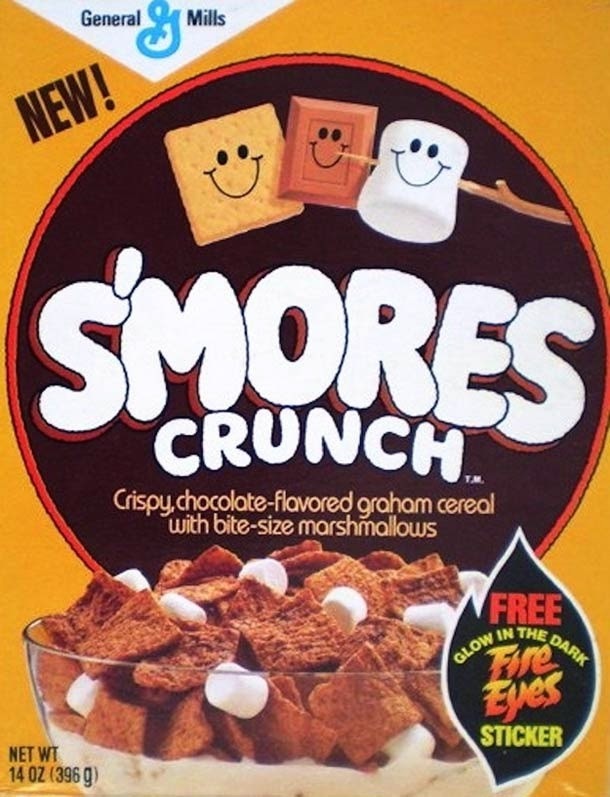 S'mores Crunch was a short-lived cereal produced by General Mills. 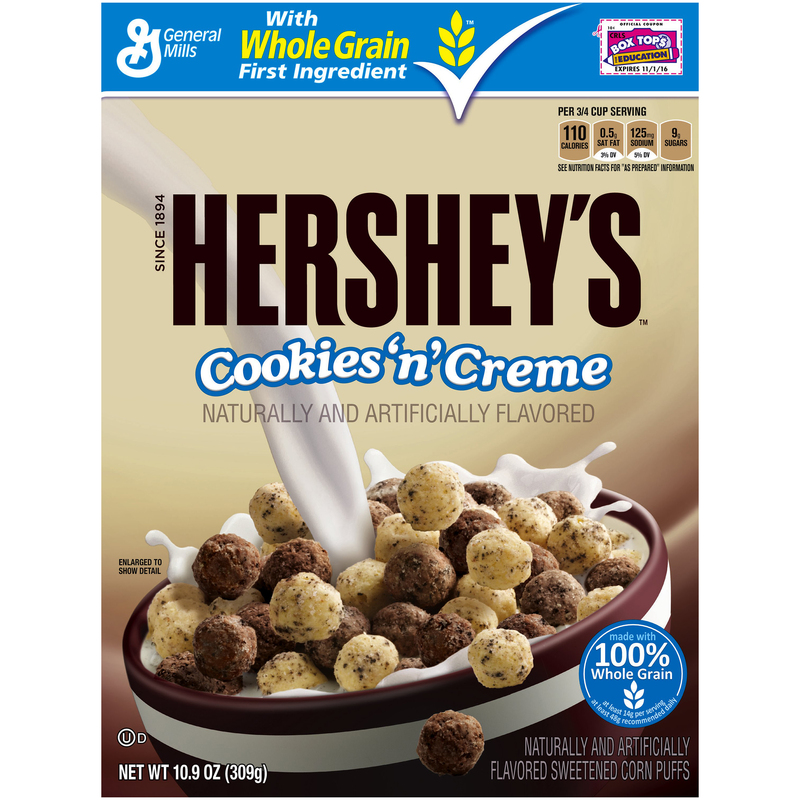 This cereal was similar to Golden Grahams with a blend of chocolate mixed in. It consisted of chocolate graham cracker cereal pieces and tiny marshmallows pieces similar to those found in packets of powdered hot chocolate mix. 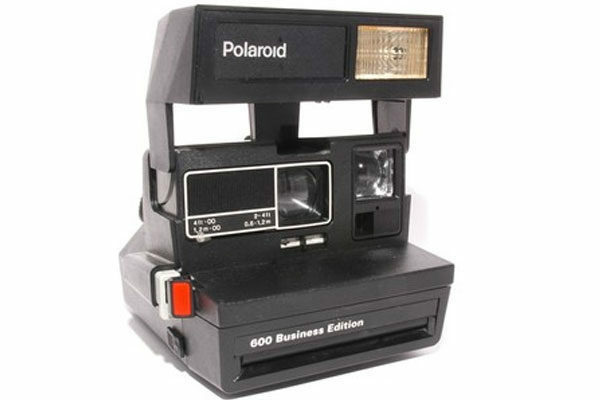 It was launched in 1982 and discontinued in 1988. This cereal was described on the box as a "fruity sweetened corn, oat & wheat cereal fortified with 10 essential vitamins and minerals." 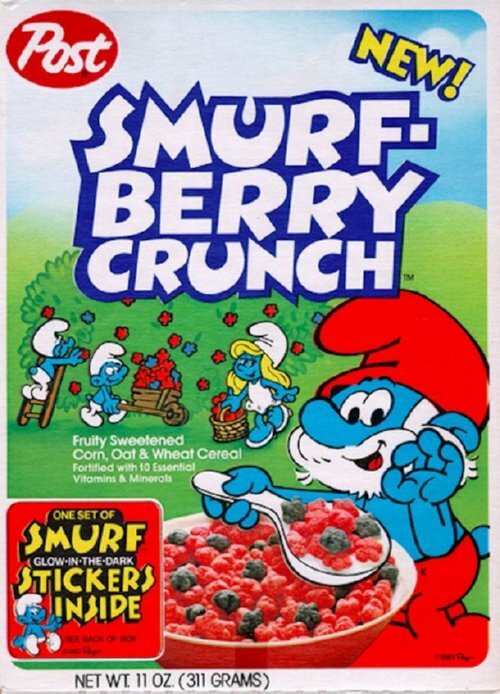 The box featured Papa Smurf hoisting a spoonful of the red and purple cereal while Smurfette and two other Smurfs pick Smurf Berries from a Smurf Berry bush in the background. They discontinued it but you still find it in Japan! 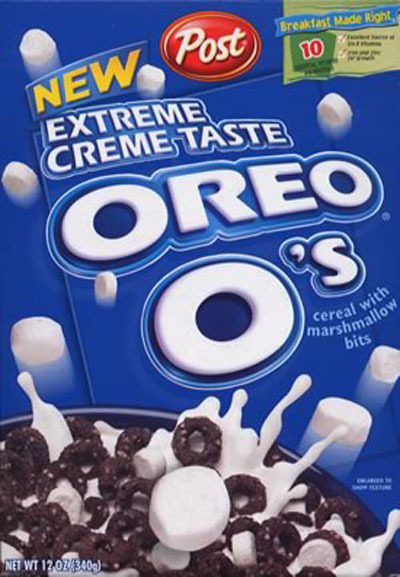 Oreo O's is a breakfast cereal made by Post Cereals which consists of Oreo-flavored O-shaped pieces of cereal. Legend has it that you could find them in all the supermarkets, but for some reason it was discontinued and now you can only find it in Japan. 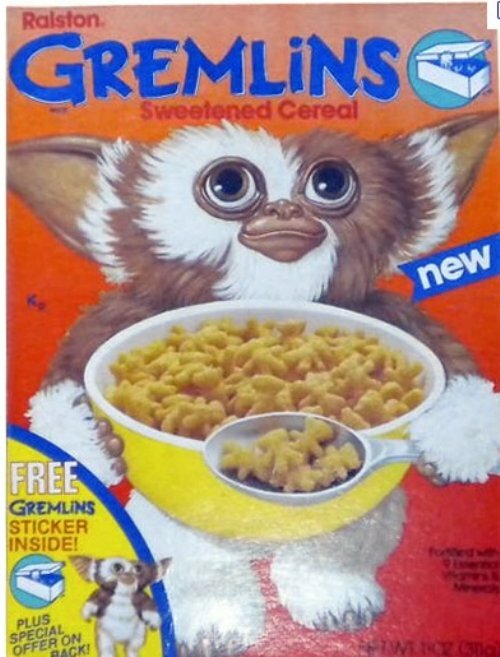 Gremlins Cereal was a cereal based on the movie Gremlins. The cereal's taste was similar to Cap'n Crunch. It was discontinued after the movie left theaters. 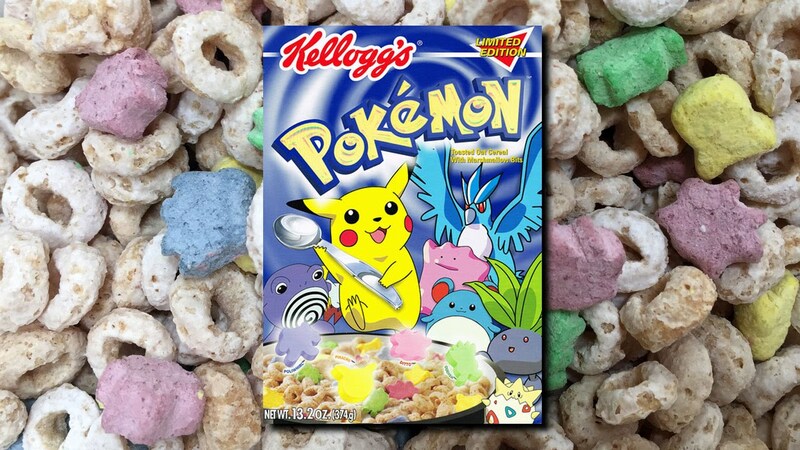 Pokémon Toasted Oat Cereal with Marshmallow Bits was a breakfast cereal announced by Kellogg's in March 2000 and released in May 2000. The cereal is similar to Lucky Charms, made up of oat-based rings and marshmallow pieces. These marshmallows were in the shapes of Pikachu, Poliwhirl, Oddish, and Ditto. Bart Simpson's Peanut Butter Chocolate Crunch Cereal was a cereal that Kellogg's released along with another cereal called Homer's Cinnamon Donut Cereal. 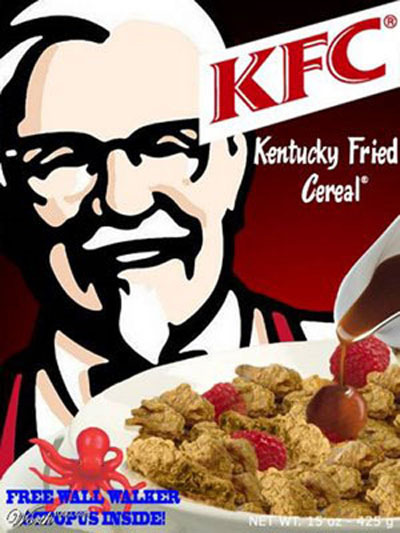 They were sold in the U.S. in 2001 and 2002 and they contain peanut butter chocolate crunch cereal. 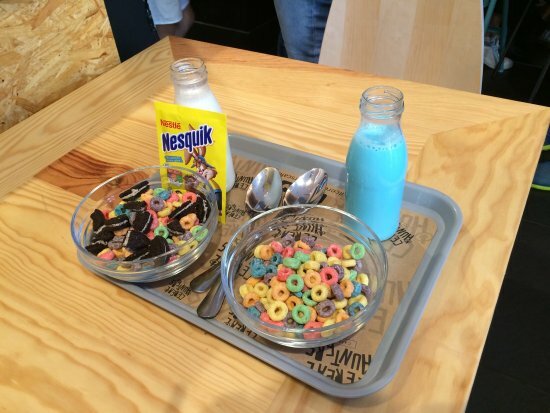 Did you know that there is a cereal shop where you can eat the most unusual combinations? Cereal Killer Cafe, "Colourful, nostalgic eatery with more than 120 cereals, plus a selection of milk and toppings", is a café situated in the East End, London that sells branded breakfast cereals. It is the first cereal-themed café in the United Kingdom. Are you afraid of snakes? Put them a hat! 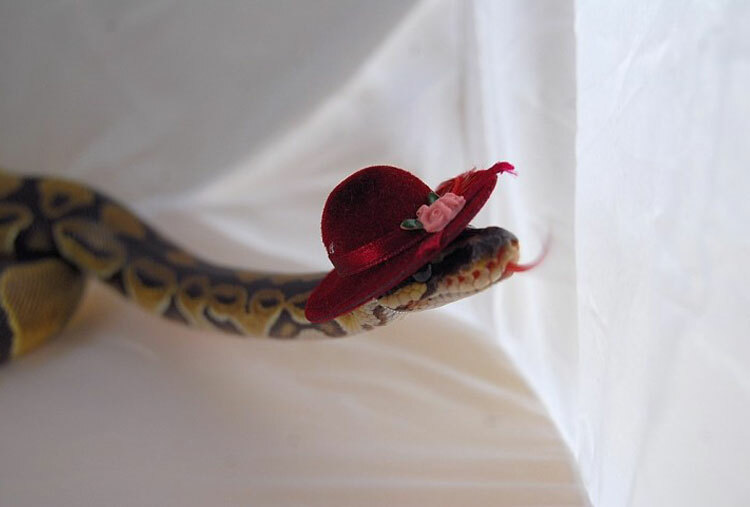 You may not know that a snake with a hat is what convinced Eve to give the apple to Adam. 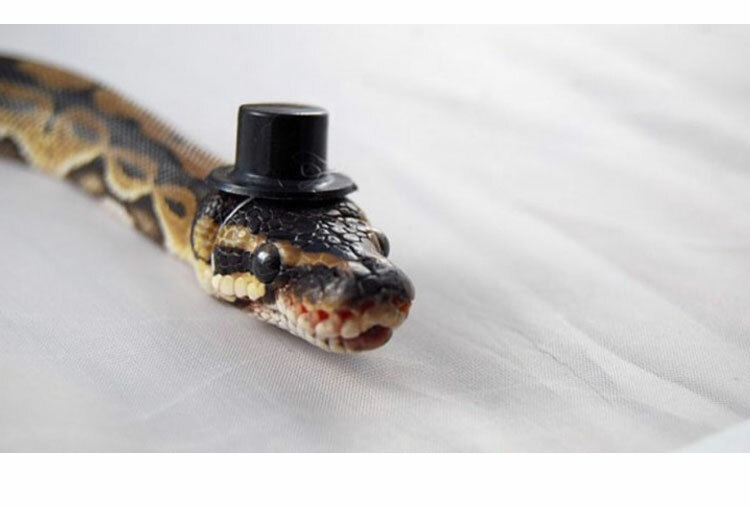 And 6000 years later there are no discriminations of snakes with hats, since they have become accepted as a society’s member. This add-on is a phenomenon, able to turn a socially feared and respected animal in the new pet for your home. 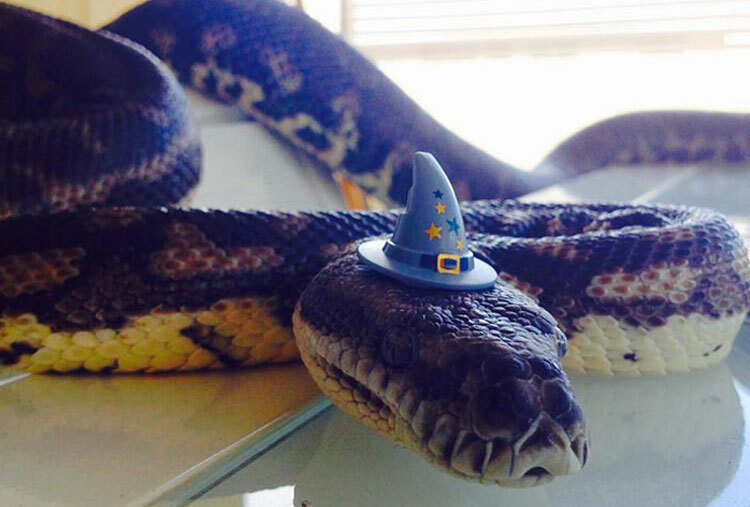 You will want to have one as a pet, after seeing these images of snakes with hats. 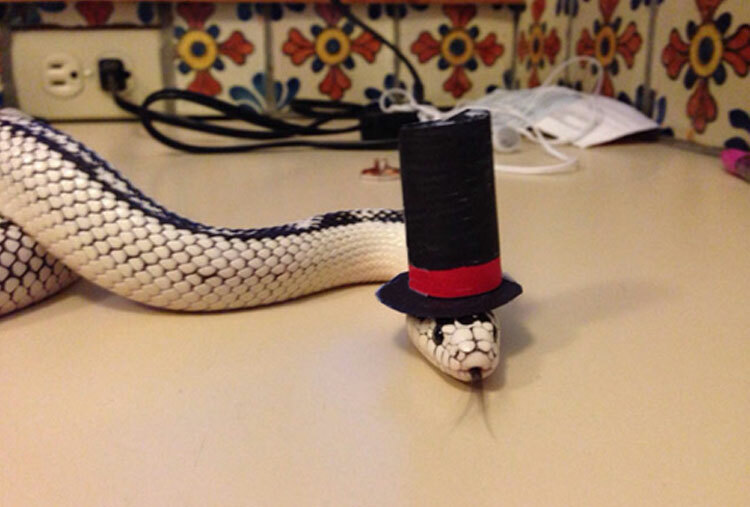 It’s about, nether or less, than a snake with a hat. These reptiles heads are adorned with all kinds of hats and they look great. Snakes are mysterious and elegant animals, plus they include a good dose of respect and fear. 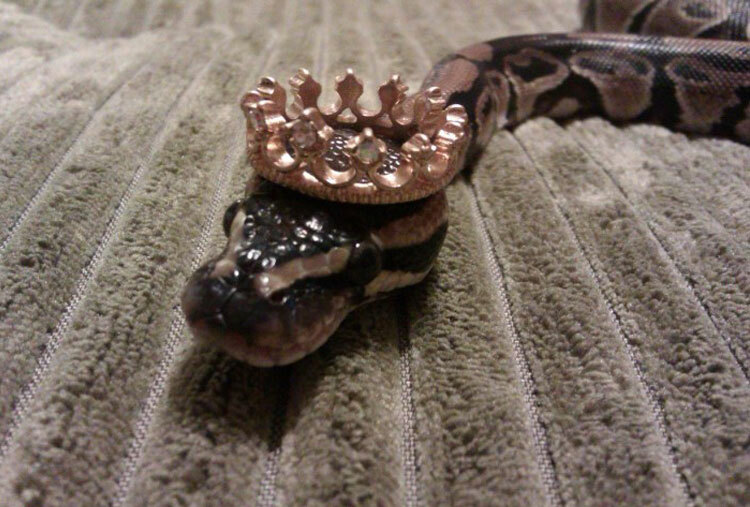 Surely that crown fits her very well. 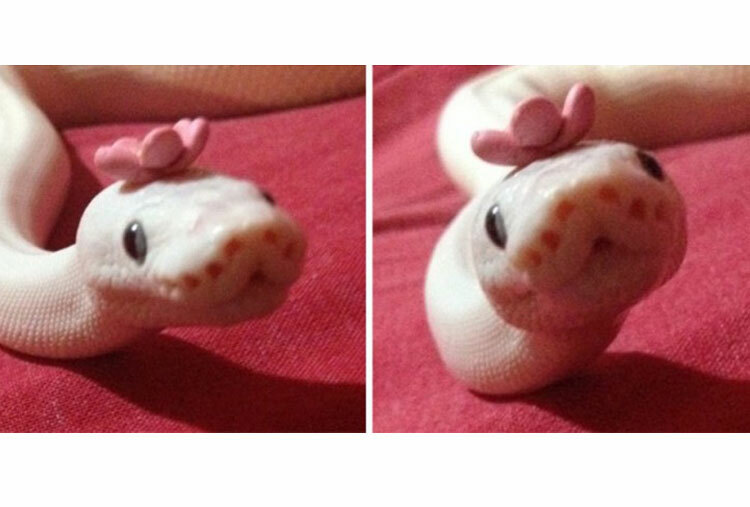 With a small flower on her head, this snake gives a look of tenderness that even may encourage you to have her as a pet, how cute! These wonderful friends are ready to go back to rescue Princess Peach. Who of them will win the race? This proud father is posing with her two newborn children, definitely an uncommon and adorable image. 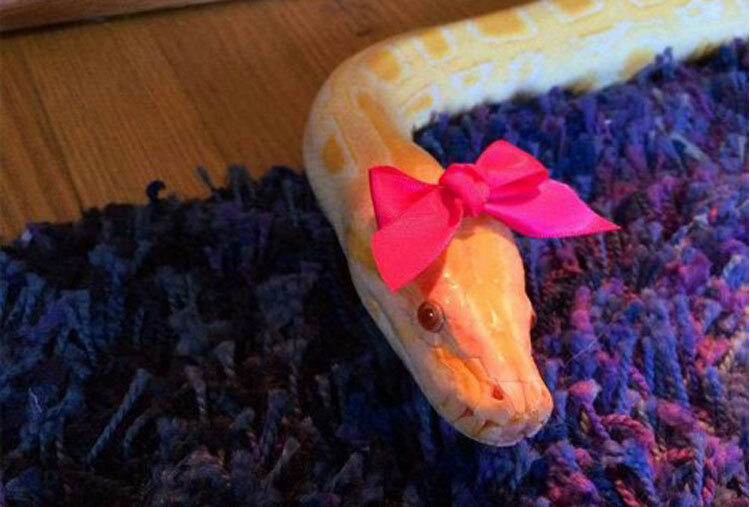 Certainly a bow or a hat make looks cute on any animal, and this is no exception, this python looks better than anyone. 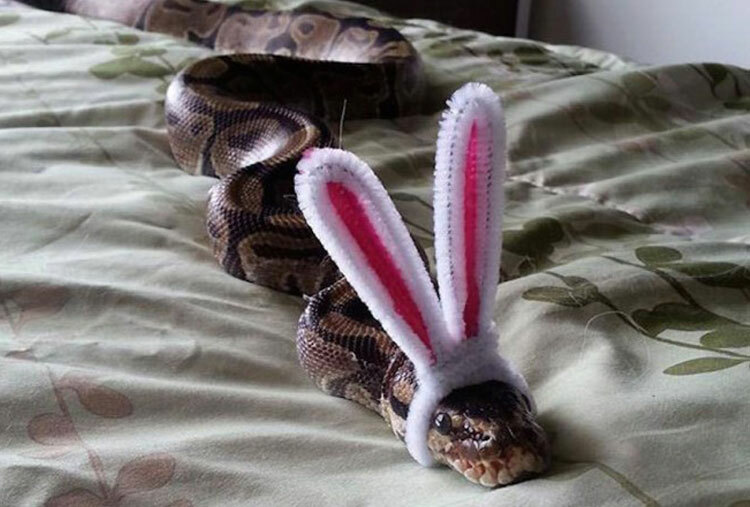 Apparently this snake was looking forward to Halloween. Her ears look great; no one will doubt that she’s a rabbit. She may take all your candy home! 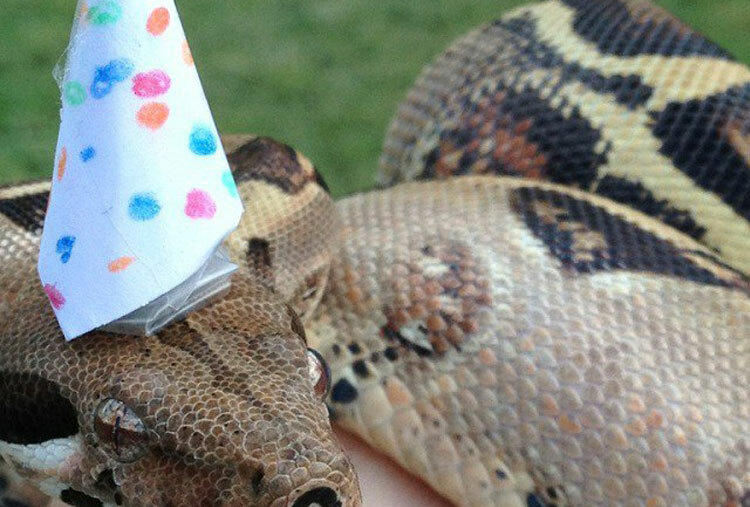 It’s this snake's birthday, and her owner didn’t hesitate to celebrate. 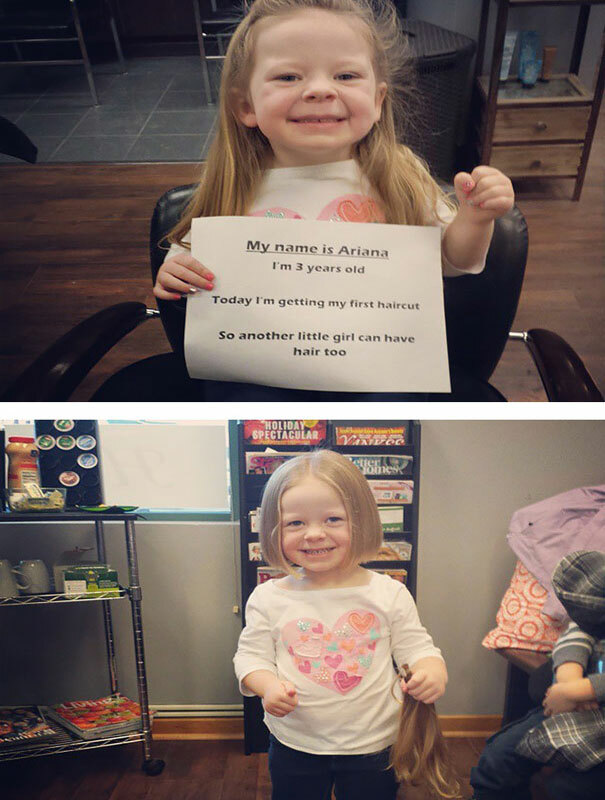 How old do you think she is? She looks young and beautiful! He isn’t only has a stylish hat, he also has a bow tie. This little guy is ready for the party. Bring it on and open the doors for the gentleman! 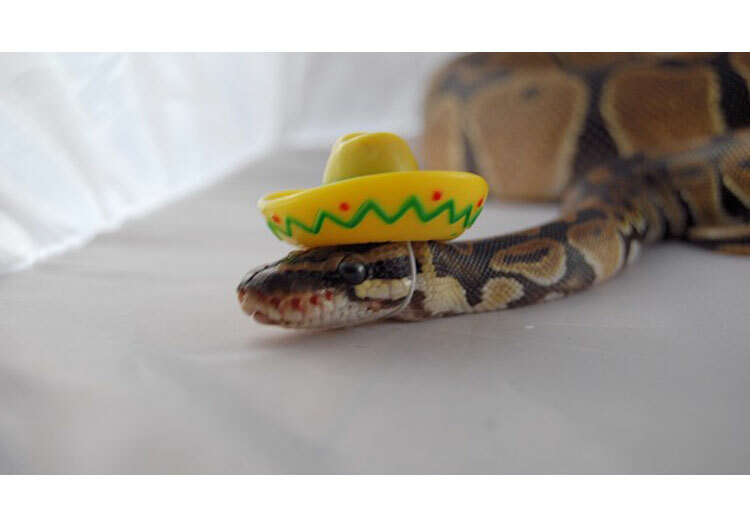 Many people ignore that snakes and hats complement each other. 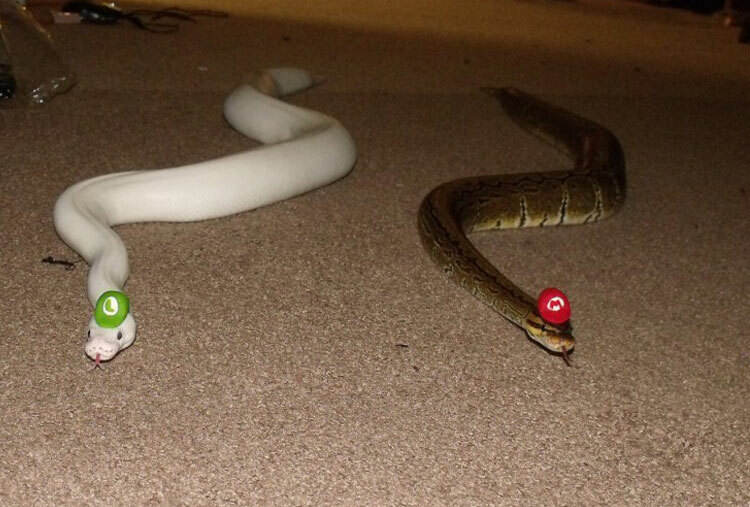 If you don’t believe look how well this snake looks. Like a gentleman! 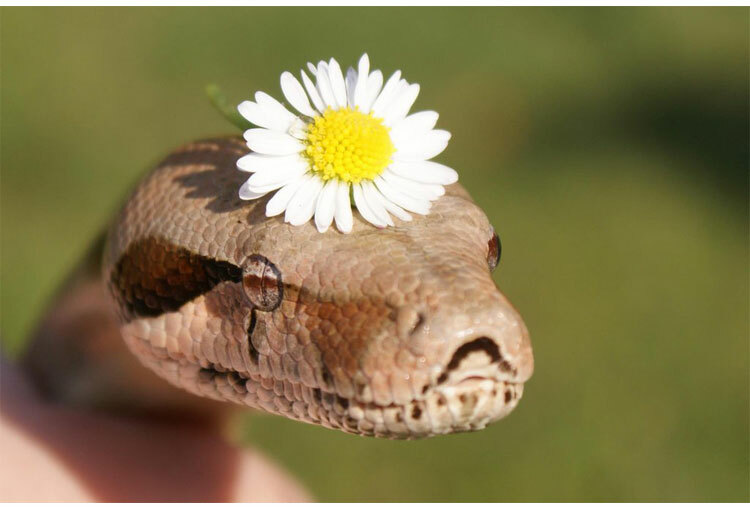 This snake shows us that you don’t need much to look good, with a lot of attitude and a flower on her head, you can create unique photos. The owners of these animals certainly put their creativity in practice, photographing their pets in situations that you can understand just using your imagination. Orale! 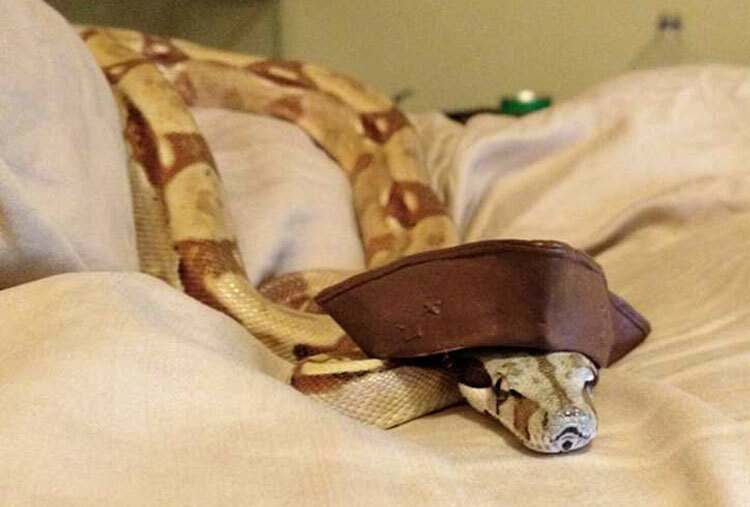 This snake went from mambo to sailor; it’s all about playing and letting your imagination go and give it a cute and funny touch. 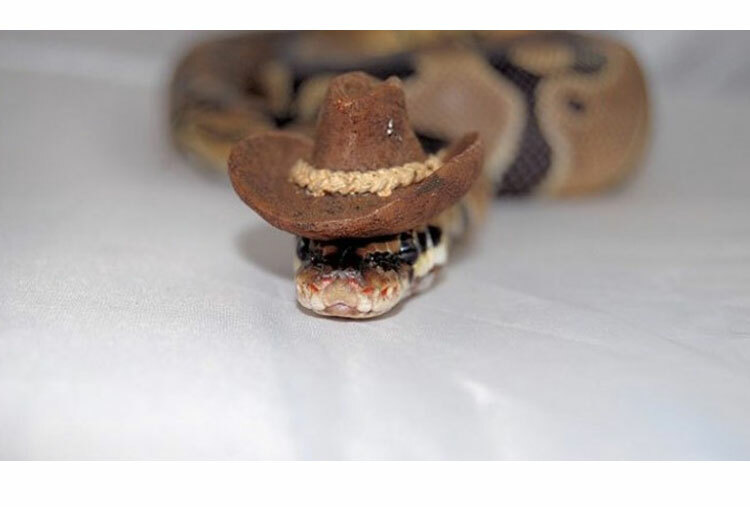 A snake with cowboy hat ceases to be as fierce as it seems and may even turn out to be interesting and very cute. Yeehaw! This pirate decided to abandon the ship and sail in search for treasures. 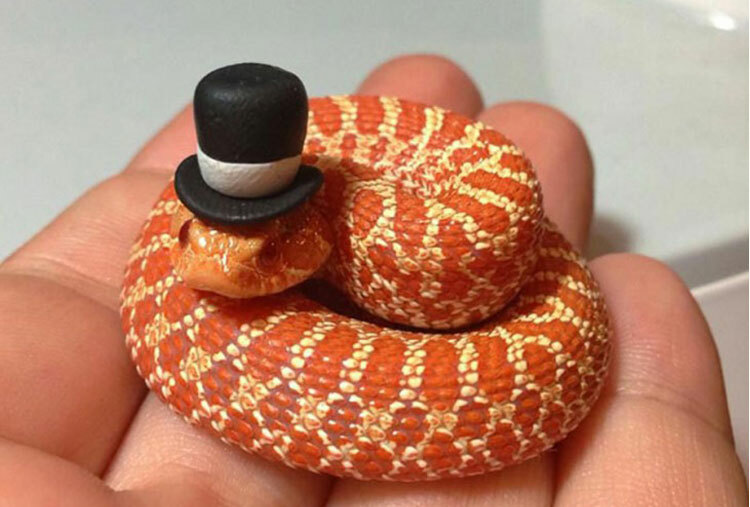 A snake with a tiny hat is definitely something that will catch your attention. Give this guy some rum! Isn’t she looking lovely? 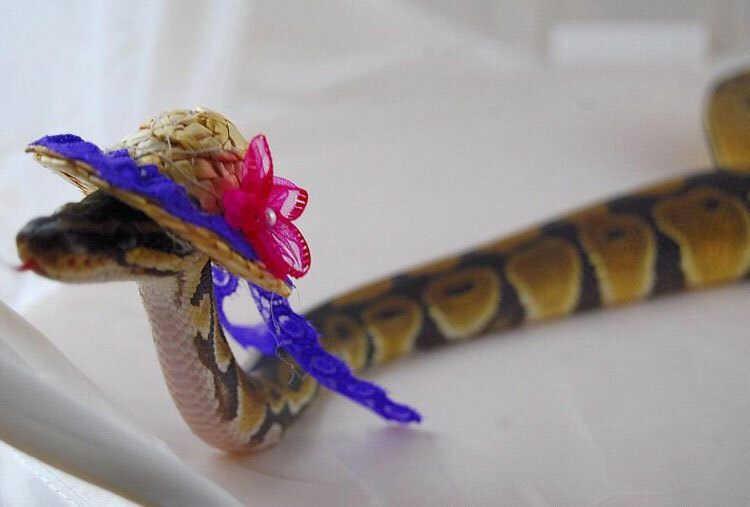 A curious and restless photograph that shows how elegant and beautiful a snake could be, as long as she wear a beautiful hat. 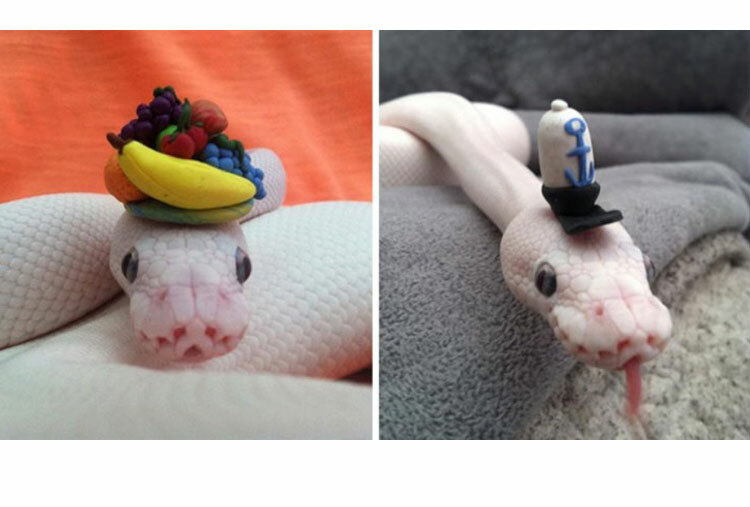 It doesn’t matter whether you hate or adore them, it will be impossible not to see these original reptile’s photographs with cute hats created by their owners, certainly a master piece. 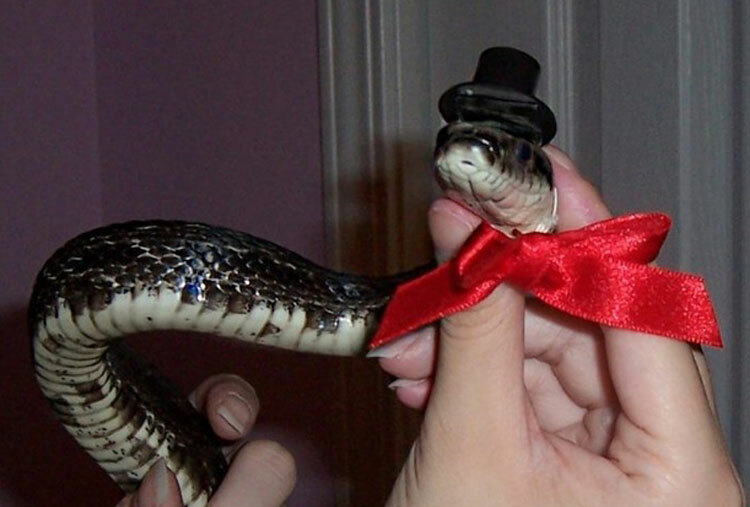 After seeing all these photos… Will you have a snake as a pet? 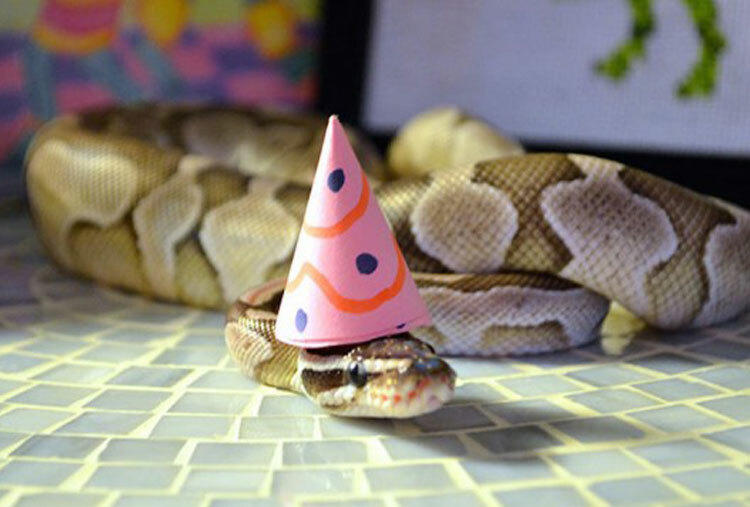 Putting a tiny hat on the,, makes anyone who fear them, find them a little fun and even harmless. Many people, who don’t know about snakes, think that they’re dangerous; however, they are not more dangerous than any other animal if they are well treated. Exotic pets are striking, amazing and very rare. Having a snake as a pet requires a lot of care and responsibilities. 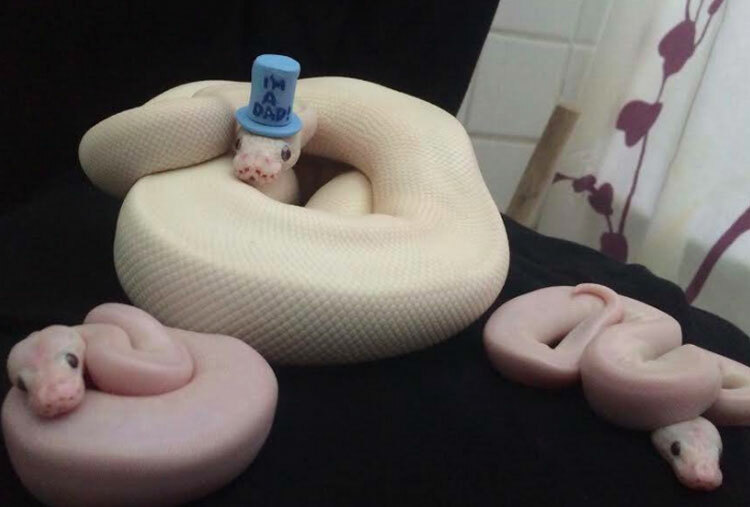 Undoubtedly, this is a very spoiled snake. 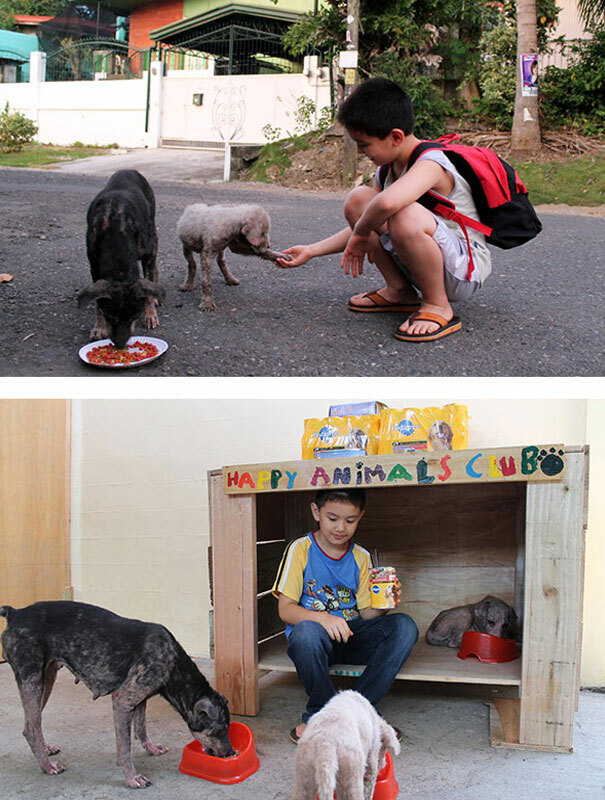 Some stories about humans and animals are truly heartwarming. Bernard Holland is a man who was residing in Indianapolis, Indiana at a camp for homeless individuals. 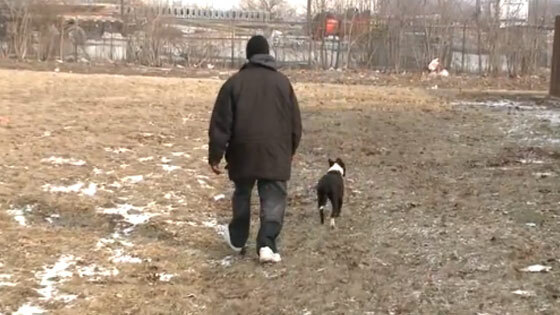 He stayed at the homeless camp no matter how intense and unpleasant the weather got. 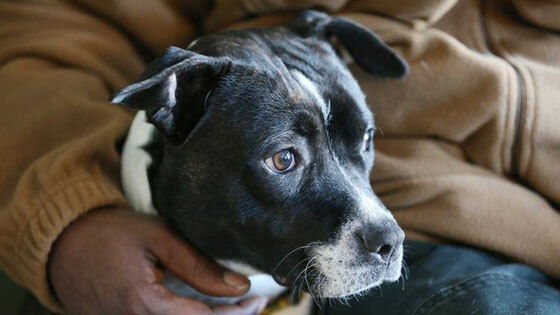 Although the weather was often extremely frigid, he never considered getting shelter because he wouldn’t have been allowed to take Oreo along with him. 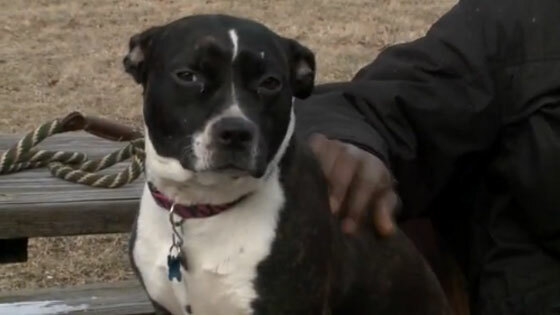 Oreo is the name of his dog who has been with him through thick and thin. 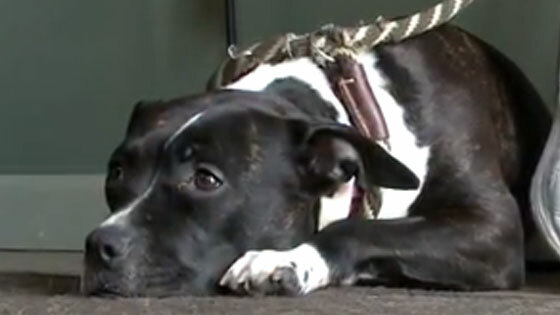 He told Mary Stickelmaier of Horizon House (an organization for homeless individuals) that he’d only visit a shelter if Oreo was permitted, as well. Horizon House, as a result, reached out to the nearby Wigglebutt Doghouse and asked if they could give Oreo a place to stay. Wigglebutt Doghouse responded by saying that they’d not only house Oreo, but they’d also hire Bernard for a part-time position. They even said that they’d foot the bill for Oreo’s veterinary care. Bernard is at the moment working on strengthening his resume. He’s also trying to secure permanent work via “Opportunity Knocks,” a program that was set up by Horizon House. 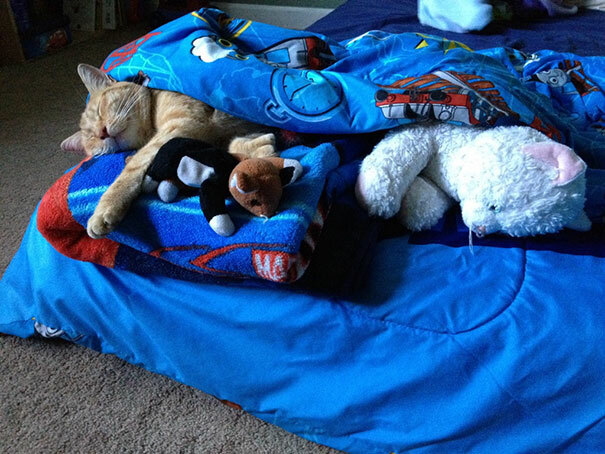 As far as work skills go, Bernard has held various positions in the maintenance field before. Check out this article’s video clip to see how far Bernard has come in such a short period of time. 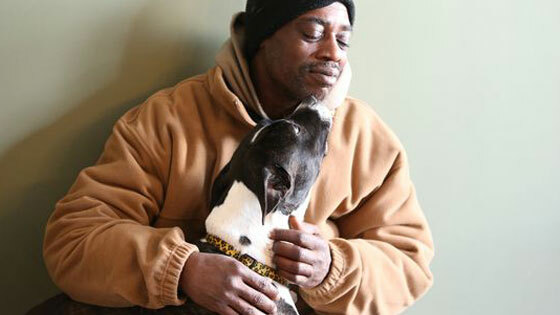 It looks like things are shaping to work out just fine for Bernard and his beloved four-legged pal, Oreo. Bernard’s admiration of his canine buddy is truly inspiring. His dedication to her is just as impressive. Bernard resides at a hotel near Wigglebutt Doghouse, Oreo’s digs for the moment. 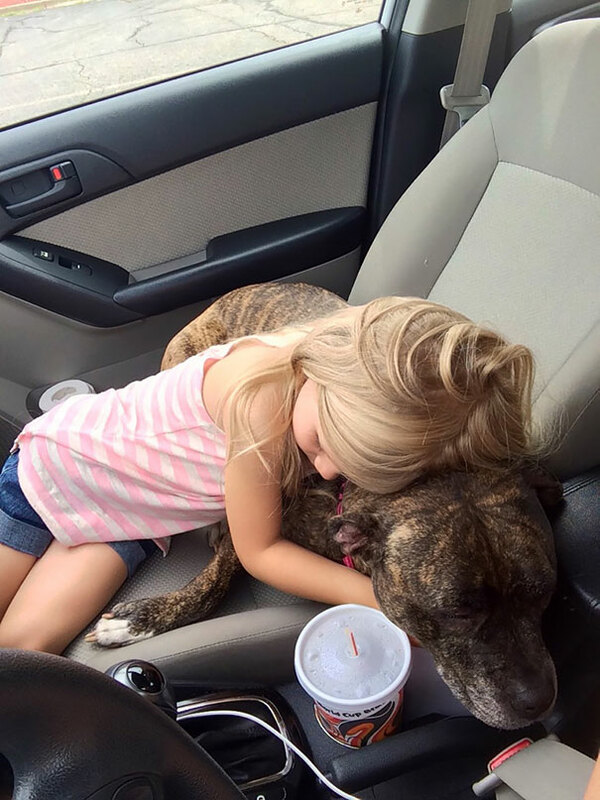 He’s immensely grateful that they’re both comfortable and safe. As we know every year are many movies being released and some are really great that we have to watch them over and over againg, without noticing that they were released many years ago. Stopping time is something impossible, and let’s be honest, time flies. As we said, time flies and we don’t and there are many just things that make us notice how time flies. In this case these movies which were released 10 years ago but it seems like it was yesterday th first day we watched them. You are not going to believe that have been 10 years since you watched these movies for the first time. This is a 2008 American film. Joy and Jack meet by chance when they receive the same hotel room by mistake. After clearing up the misunderstanding and receiving different rooms and coupons for clubs, they party and drink together and end up getting married. They realize it was a mistake the next morning and they decide to divorce. 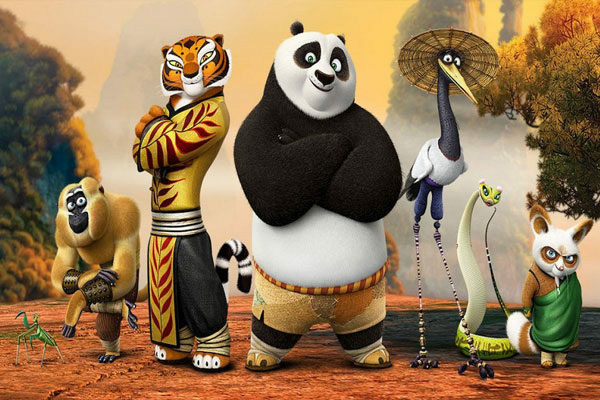 In the Valley of Peace, the giant panda is a kung fu fanatic who idolizes the Furious Five: Tigress, Monkey, Mantis, Viper and Crane, they are a quintet of kung fu students trained by the red panda Master Shifu. Po is unable to pursue his dream of becoming a kung fu master. David Rice who is 15 years old gives his crush, Millie Harris, a snow globe but a bully, Mark Kobold throws it onto a frozen river. When David is trying to retrieve it, he falls trhough the ice and is pulled away by he current. He appears in the library and dicovers his ability to jump from one place to another. 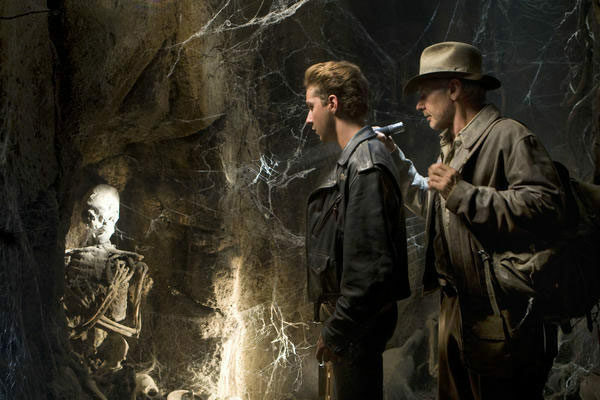 Indiana Jones and his partner George McHale are kidnapped by some Soviets agents. And they force Jones to locate a mummified corpse recovered from a crash site. Upon its discovery, his partner reveals he is a double agent working for the Soviets. A dust speck is dislodged from its obscure place and sent adrift ehrought the Jungle of Nool. 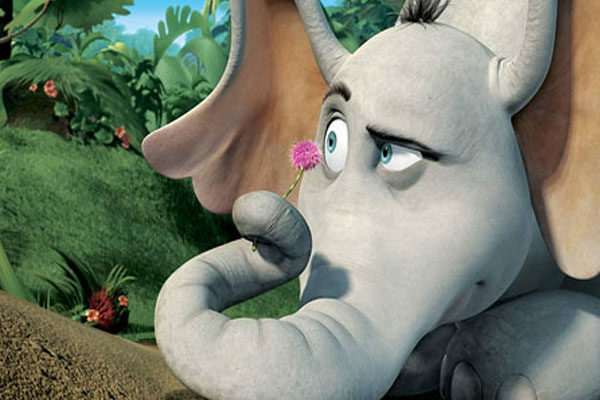 The dust speck floats past Horton the elephant and he hears a tiny yelp comoing from the dust speck. He beielieves that an entire society of microscopic creatures are living on that dust speck. In Kalokairi, a Greek Island, Sophie Sheridan revelas to her bridesmaids that she has secretly invited three men to her wedding withouth telling her mother. One of those men could be her father, according to her mother's diary. 27 Dresses is a romantic comedy film. Jane Nichols has been a bridesmaid for 27 weddings. One night when she is attending two weddings almost simultaneously, she meets Kevin Doyle, who helps her get homebut discuses with her about her cynical views of marriage. Max Payne is a detective and is a three-yeat veteran in the NYPD Cold Case Unit, privately consumed with investigating and finding the murderer of his wife and his child. 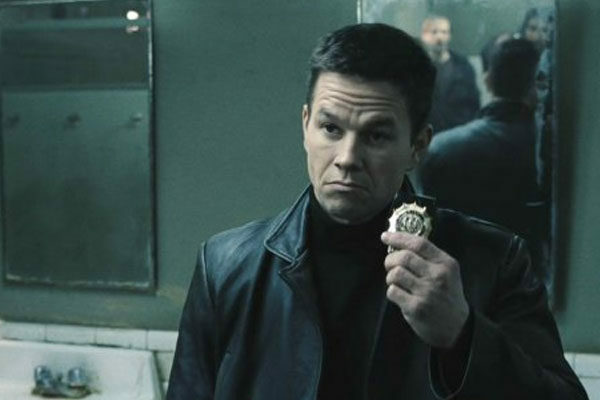 When a known acquaintance with a connection to his wife is murdered, he becames the main suspect in the case. The Earth is an abandoned planet in 2805 and is covered in garbage. BnL has left behind WALL-E robot trash compactors to clean up. 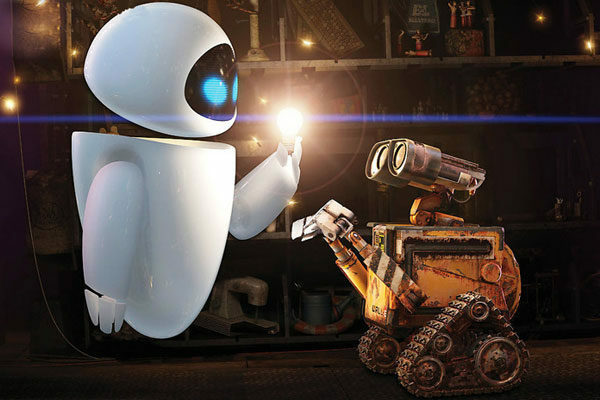 One day, WALL-E discovers a healthy seedling, which he returns to his home. Later, an unmanned spaceship lands and deploys an EVE probe to scan the planet. Recently divorced Helen Grace moves into the Spiderwick Estate in the woods with her children though the children don't want to move from New York. When one of the kids finds a monogrammed key and discovers the study of the owner of the state, Arthur Spiderwick. 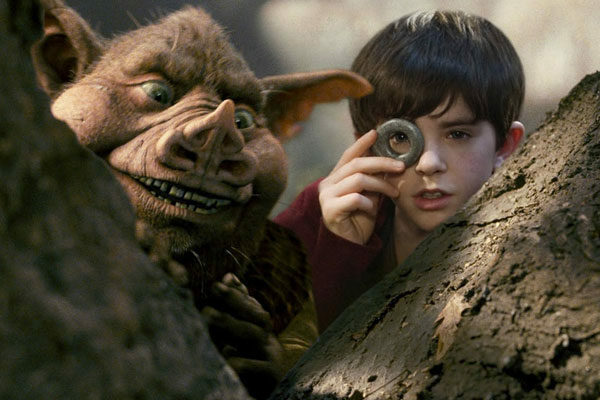 The kid uses the key to open a chest and he finds Spiderwick's field gruide to fairies. A gang of criminals rob a Gotham City mob bank. 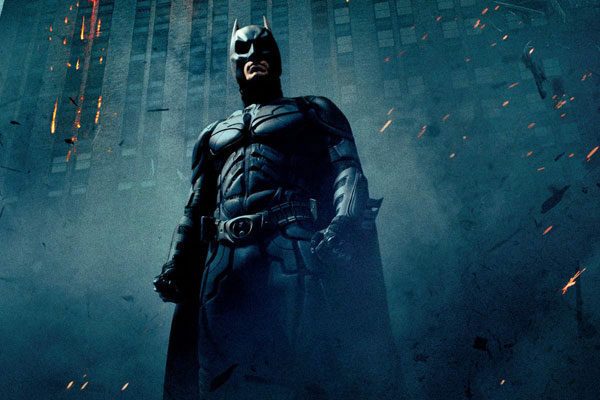 Batman, District Attorney Harvey Dent and Lieutenant Jim Gordon form an alliance to rid Gotham of organized crime. The President of the U.S. attends a political summit in Salamanca, Spain, to promote an intenational treaty. Displayed with eight differing point of view, an assassination attpempt on the president occurs, relayed in a time span of 23 minutes. 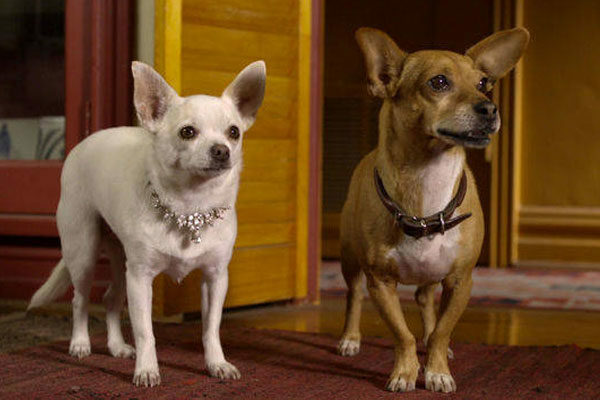 In Beverly Hills, vivian Ashe leaves her richly pampered pet chihuahua with ther irresponsible niece while she is going on a business trip for ten days. 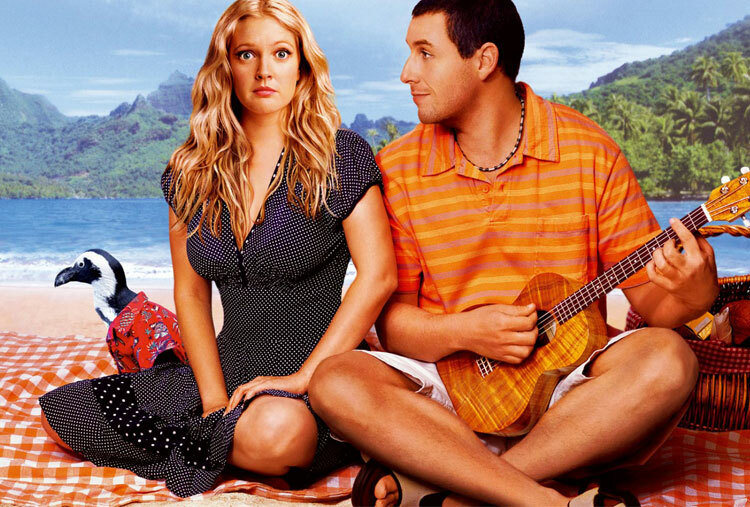 Rachel, the irresponsible niece decides to go to Mexico with her friends and takes Cloe. When Rachel leaves Chloe in the hotel room to go to a club, Cloe goes looking for her and gets dog-napped. At Culver University in Virginia, Bruce Banner meets General Thunderbolt Ross. Bruce is the colleague and boyfriend of Ross' daughter, he is regarding an experiment that Ross claims is meant to make humans immune to gamma radiation. 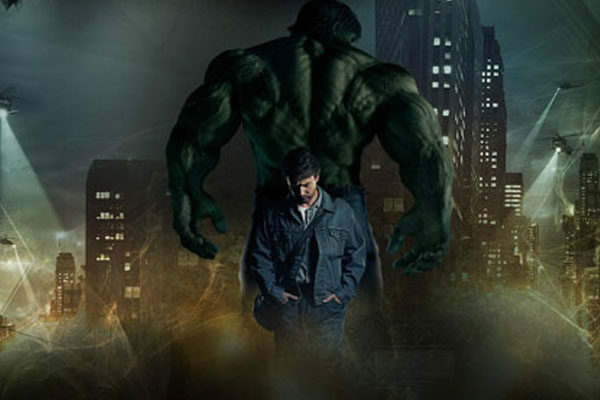 The experiment fails and the exposure to grama radiation causes Banner to transform into Hulk. Bella Swan moves to Forks to live with her father who is the police chief of twon. At her new high school, Bella makes new friends and she is also intrigued by the mysterious and aloof Cullen siblings. 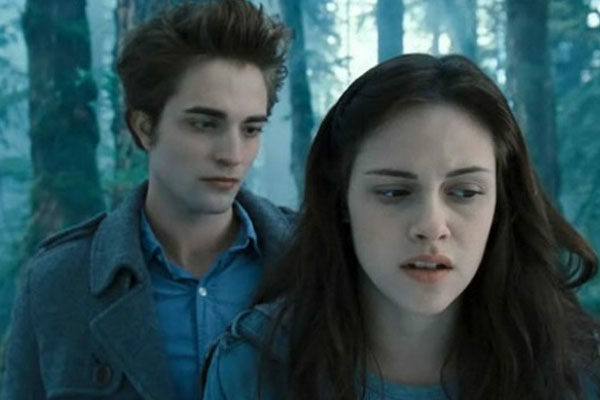 On her first day of school she sits next to Edward but he seems to be repulsed by her. 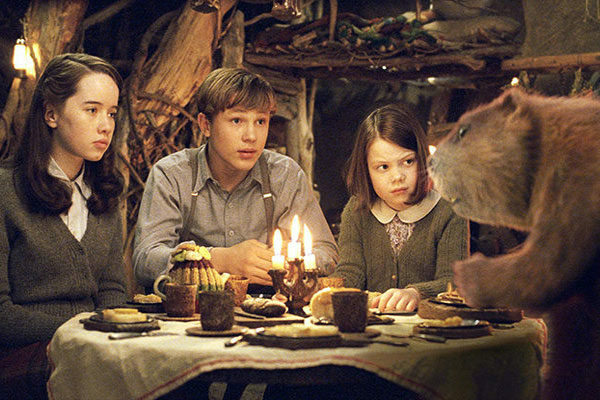 The story follows the four British siblings, who are evacuated during the Blitz to the countryside, where they find a wardrobe that leads to the fantasy world of Narnia. John Hancock is an alcoholic American who possesses super powers, including flight, invulnerability and superhuman strength. The collapse of the United States economy and the subsequent increase in crime rates leads to the rise of privatized prisons. In the game Death Race, the racers along with their navigators, compete in a three-part race overthree days on a closed track.Any racer winning five races will be granted freedom. Will Hayes is in the midst of a divorce. 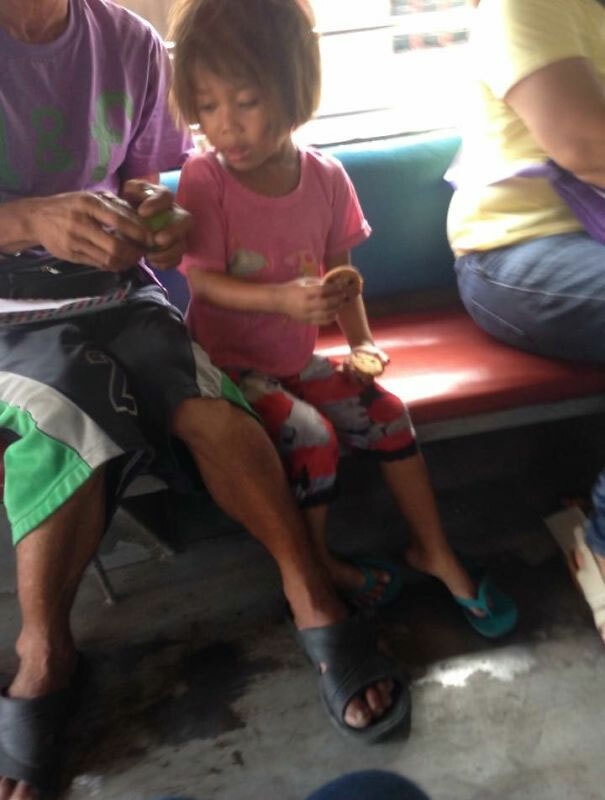 His 10 year-old daughter Maya insists on hearing the story of how her parents met. Will decides to change the names and some of the facts relating to the various love affairs of his youth, Maya is left guessing which of the women will turn to be her mother. What makes Button a curious case is that when he was born he was already in his 80s and proceeds to live his life aging in reverse. Photography was commercially introduced in 1839 when Louis Daguerre developed the daguerreotype which was the first publicly announced photographic process. 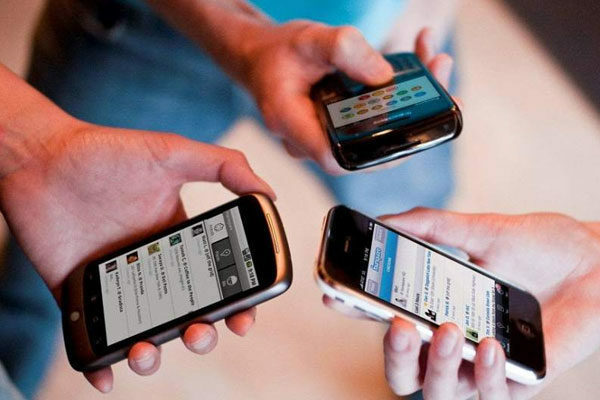 Over the years, it has evolved thanks to the different technical discoveries and it has had a huge impact on society. Using shadows in photography can help you capture unique images. There are many tricks used by great photographers to make stunning photos; in this post, we’ll share with you David Peterson’s tips on how to use shadows in pictures. The talented photographer David Peterson thinks that the challenge in shooting a scene that contains both highlights and shadows in it is to record the details without washing out the highlights or turning the shadows into unrecognizable black areas. 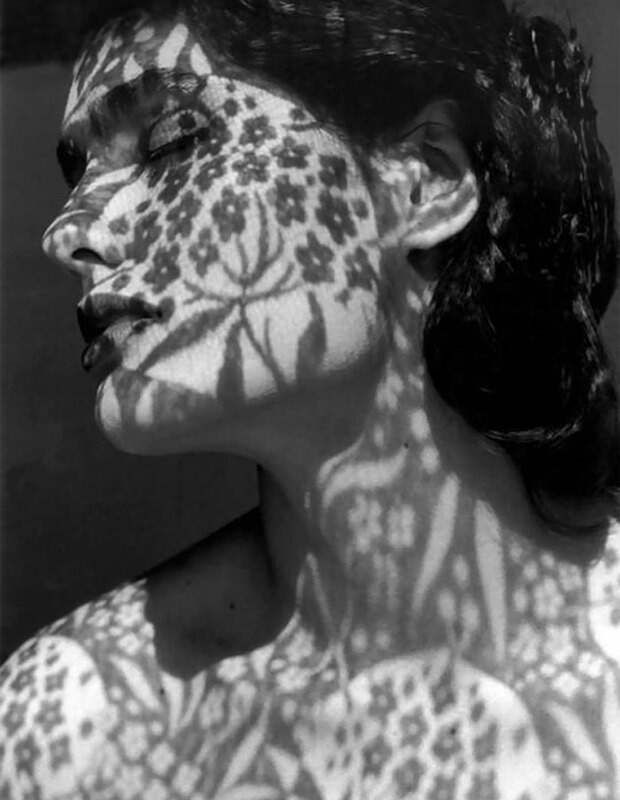 “Shadow is simply a figure formed behind an object when it is illuminated by light at an angle. 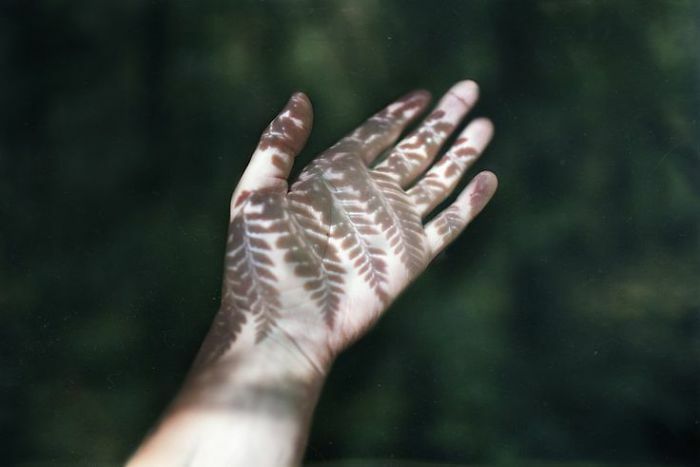 In photography, an image without a shadow is often two-dimensional in shape. But with the addition of a third component, the shadow, this shape is transformed into a form” says Peterson. Since a photo is viewed in a two-dimensional medium, showing the image in its three-dimensional form makes it more realistic and visually appealing to the audience. By focusing on this element alone you can do wonders with your photography. 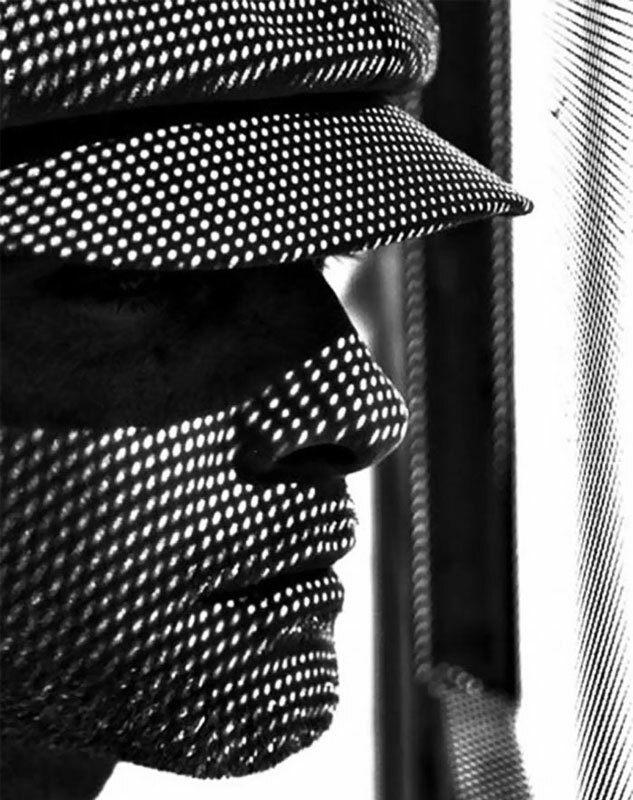 So here are David Petersen’s tips you can use when photographing shadows. 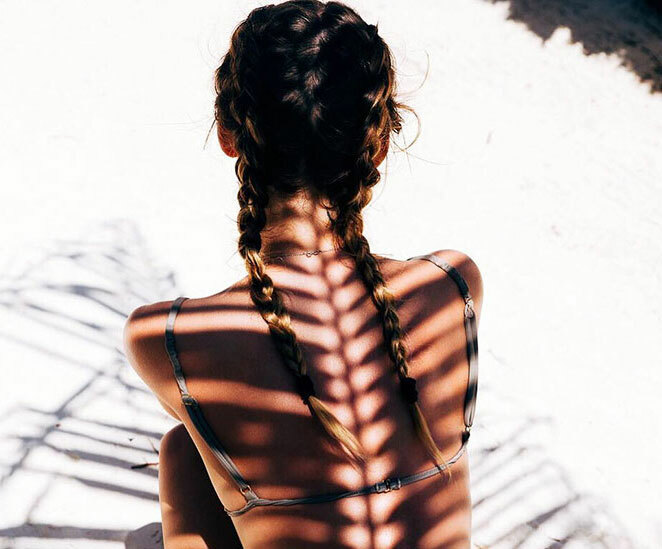 A shadow can add excitement and balance to a photo. Sometimes you will encounter situations wherein the elements in a scene seem to lack something. Oftentimes this happens when you have a swathe of white sand in a beautiful beach location. Utilizing a shadow to throw balance to the scene will not only add detail to the plain ground but will complement and enhance your main subject as well. Now that we learned how to enhance an image using shadow, why don’t we use it purely as our main subject? That’s right, shooting shadows can be fun! Consider creating figures on a monotone background. To make this work, look for a plain light-colored background for example grass, a wall, sand or anything that does not have a distracting pattern or a dark color. Remember, your shadow is already in the shades of gray or black. So you want a background that will contrast with it so that the figure formed will show up clearly. 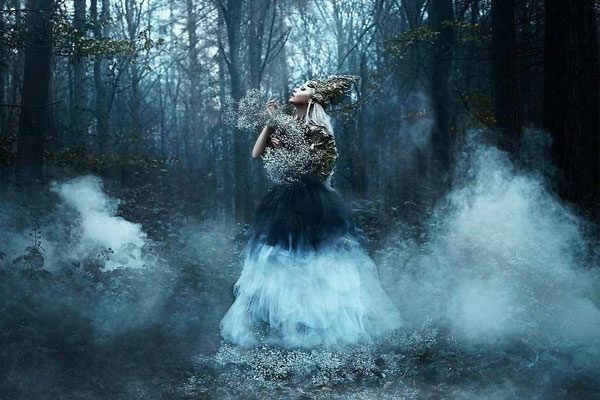 Conceptual photography is a type of photography that makes use of graphical symbols to convey an idea or a message. The message can be anything you may want to get across, from political or social commentaries to simple, everyday things. 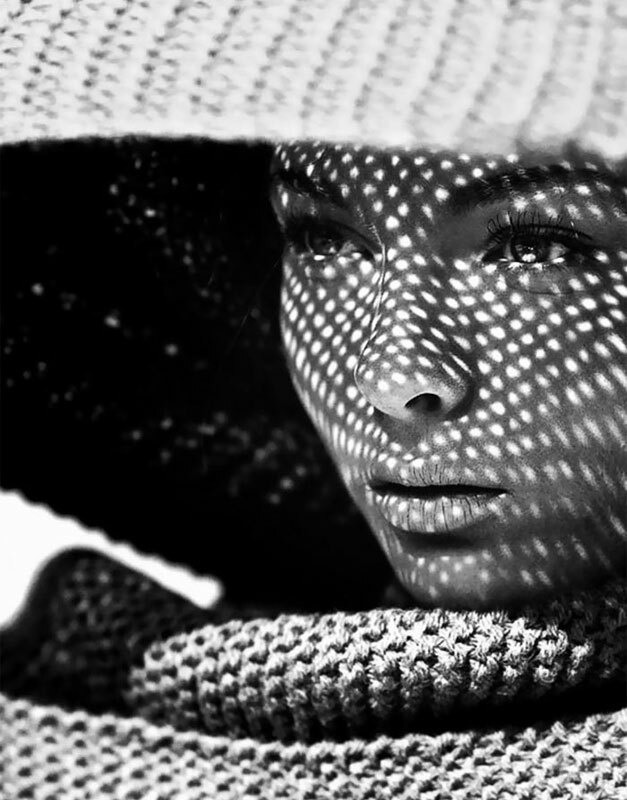 Using shadows to create a concept is easy since the subject that can be formed would already be graphic. All you’ll need is a creative idea to add an additional element to it. Abstract photography is similar to abstract art wherein the subject focuses on shape, form, pattern, color or texture. The focus is only on a portion of a whole object but the viewer will understand or recognize the image by what is implied. 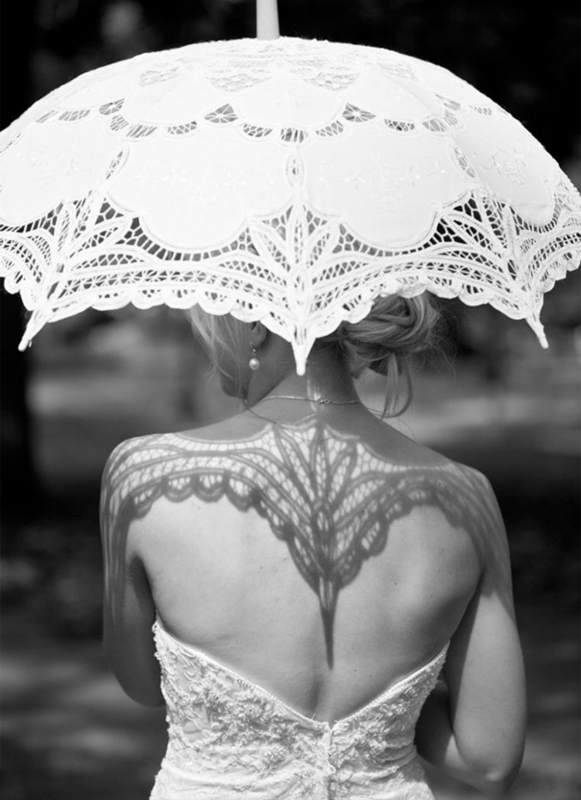 Shadows can be great subjects for this type of photography. They offer a wide range of possibilities due to the endless figures or patterns that can be created in nature or artificial surroundings, all it takes is an observant and watchful eye. 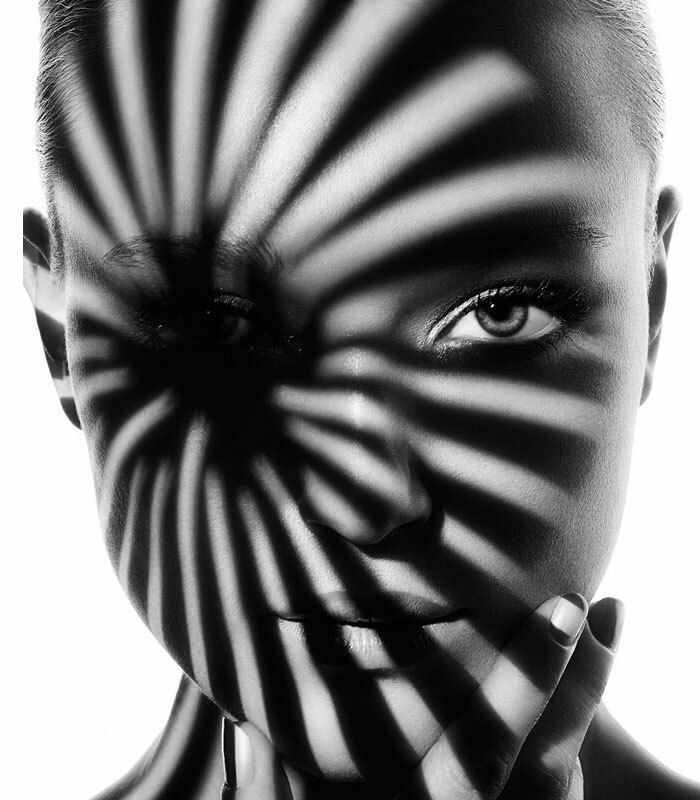 Look for shadow patterns or textures created on a blank wall, grass or any background of a light, monotone color. Shoot in monochrome for best results since this would enhance the patterns or textures created on your light background. 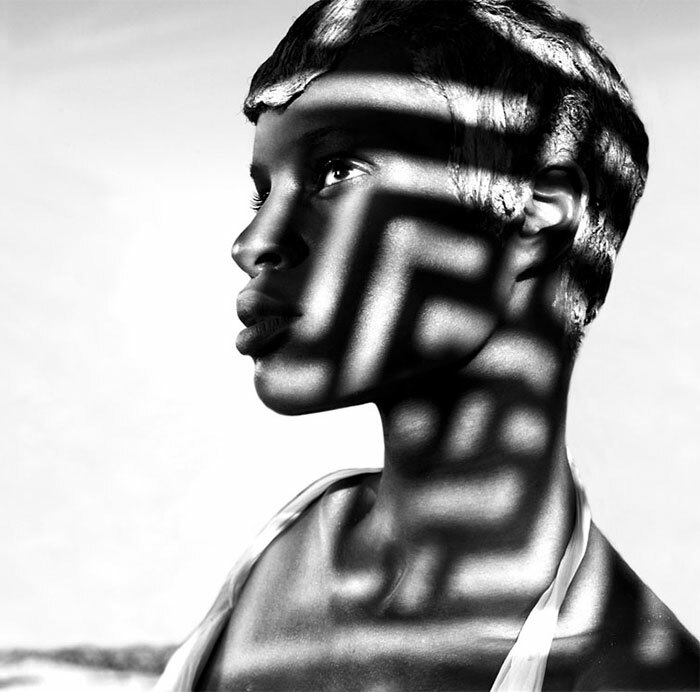 Nothing beats shooting shadow subjects using monochrome or black and white. Why? 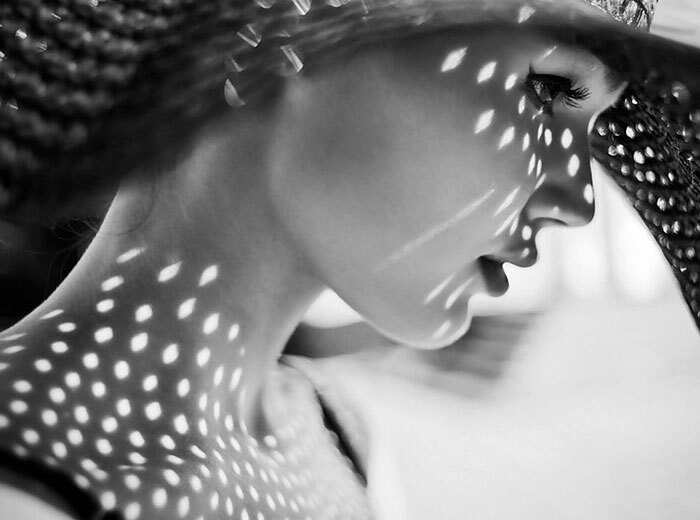 Put simply, the shadow itself is already in the shade of gray or black and shooting it against a backdrop of white or light colored objects converted to monochrome or B&W creates a contrasting image. Usually, when we view a photo, our eyes are drawn to the play of colors or to the graphical shape or form in the image. In a monochrome or B&W image, with the absence of color, the subject will have to stand on its own merit. 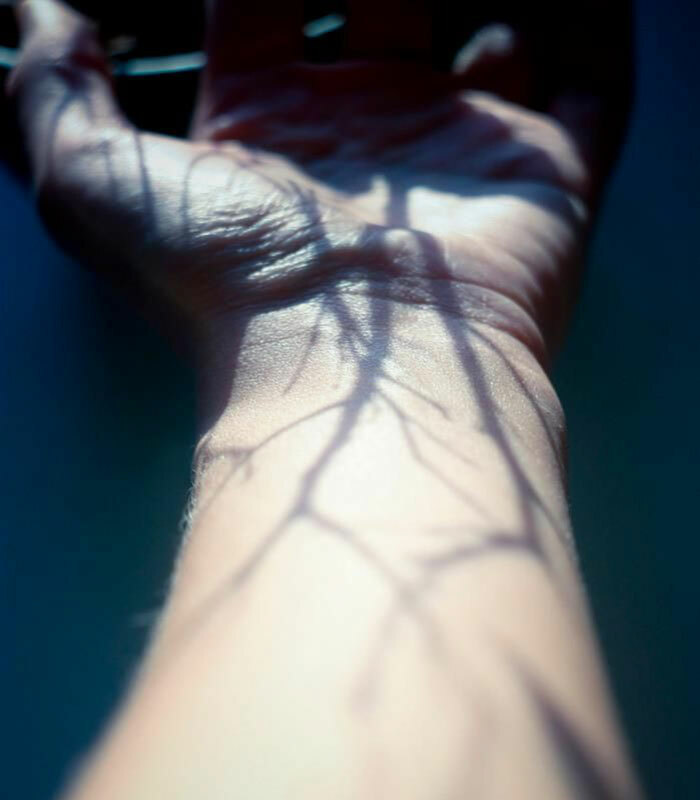 Having realized some of the creative things you can do with shadows, the potential is infinite. All it takes is your imagination. 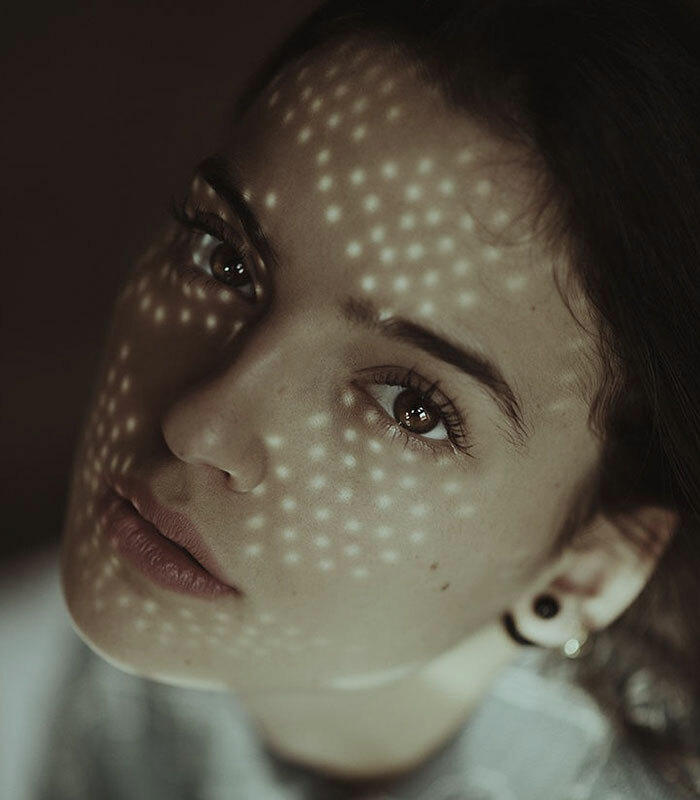 The shadow that falls from a subject is determined by where the light is coming from. 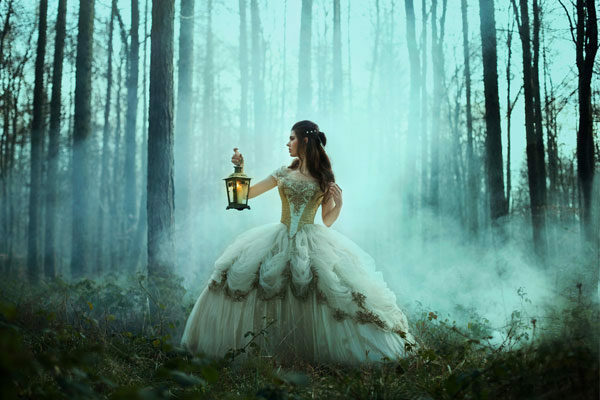 In photography, there are several ways you can position the light to illuminate your subject. 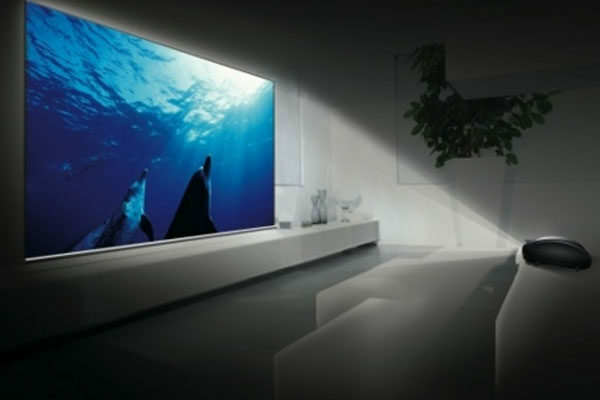 Placing it in front of your subject is called frontal lighting. The light that shines on your subject lights up the whole scene. However, since the shadow that is formed is behind the subject, it does not show up in your camera position so the resulting image tends to be flat or two-dimensional. Another shot that is made with a back -lit subject is the silhouette. 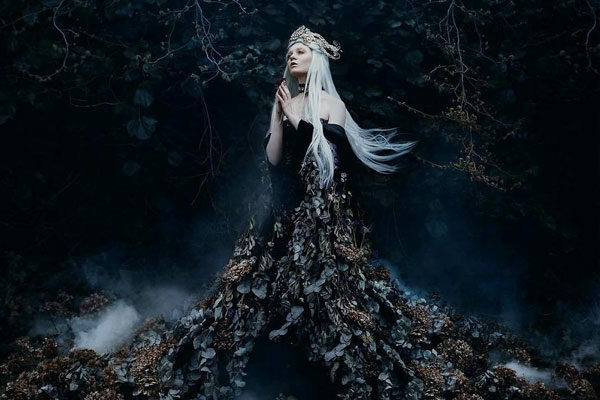 It is shot by exposing for the background light and rendering the foreground under-exposed, or plain black. 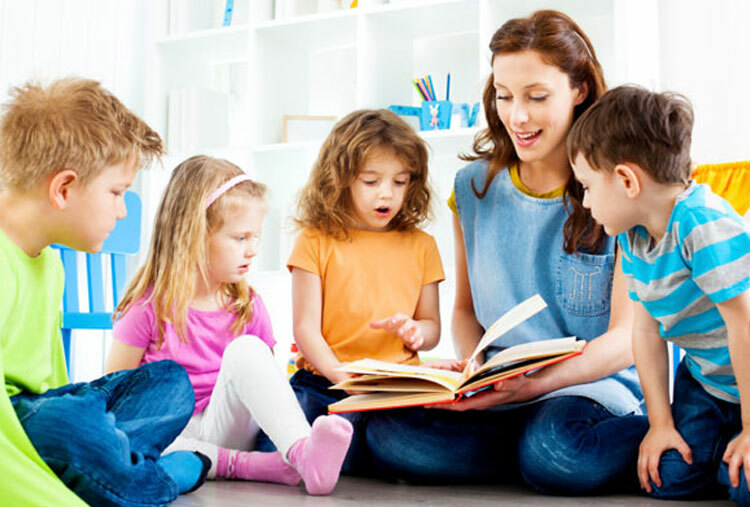 Parents know how hard it is to know whether or not they’ve done a good job raising their children. They all want their kids to be thoughtful, clever, loving, determined and the list goes on and on. They way children act tells a lot about the parent. 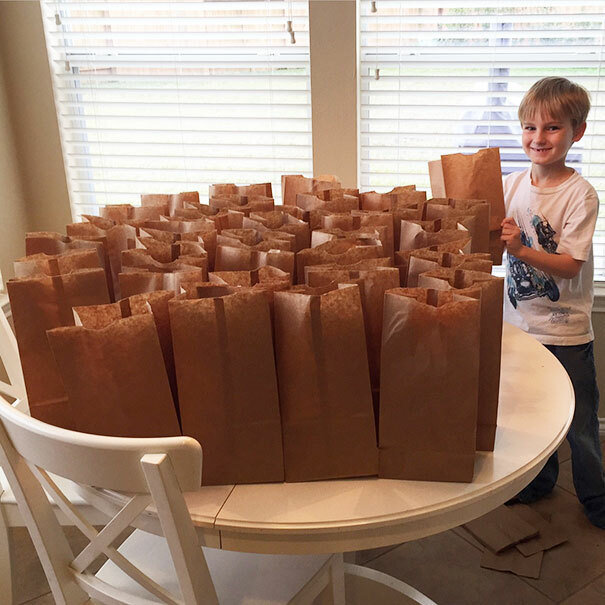 In this post, we’ll show you pictures of kids doing the most thoughtful things for others. 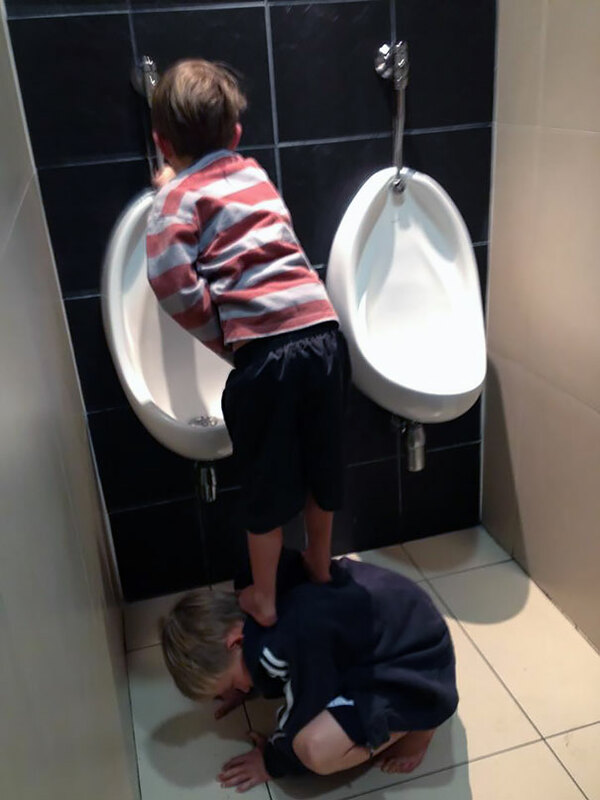 There’s no doubt this is good parenting summed up in photos. 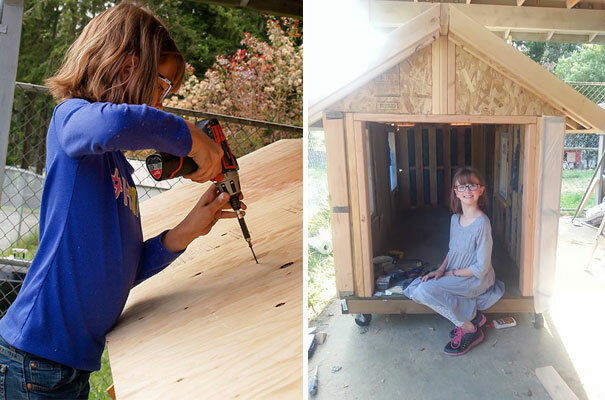 This 9-year-old boy created a no-kill animal shelter in his garage. 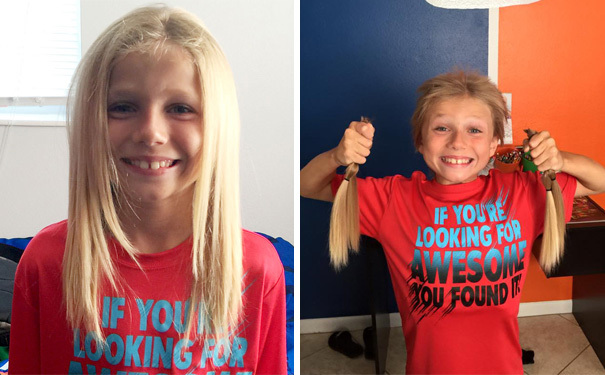 This 8-year-old boy was bullied for 2 years while growing his hair long to make wigs for kids with cancer. 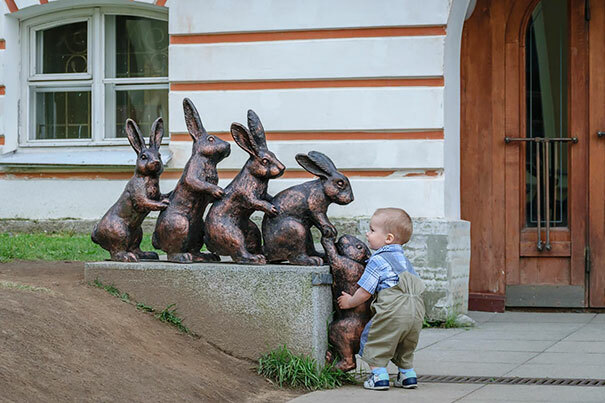 This kid helps bunny climb sculpture. Isn’t he adorable?! 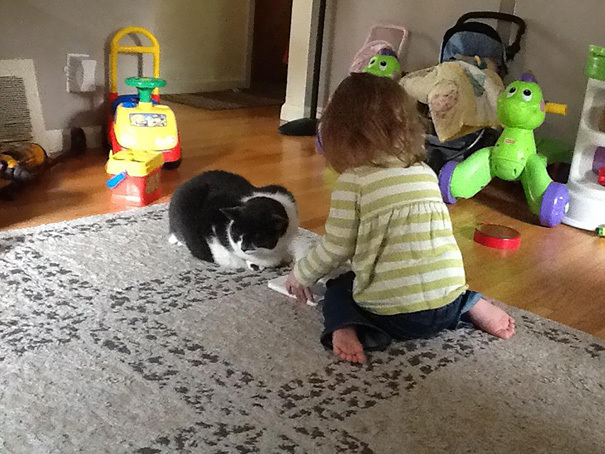 “My wife told my daughter that the kitty was hurt (arthritis) and to be careful with her. She said: "ok I’ll read to her"
It’s amazing how the siblings share such a special bond. 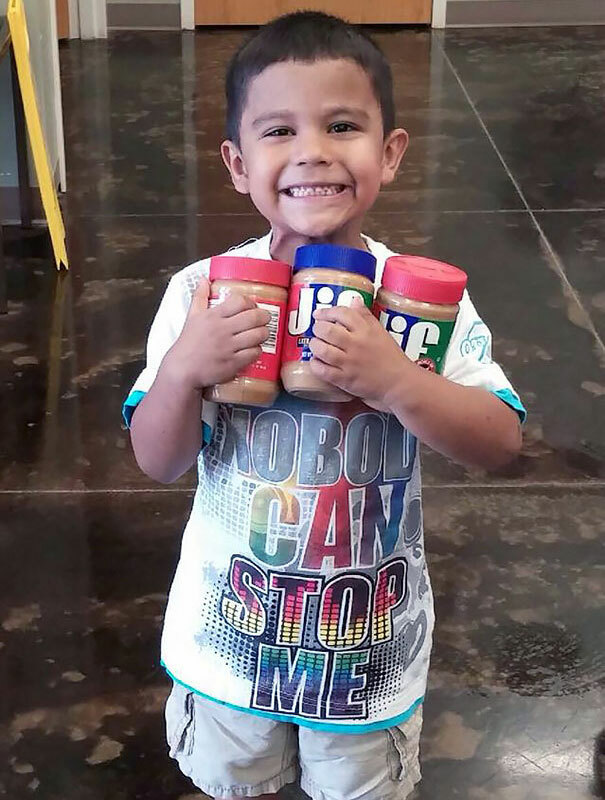 Carlitos saved up his own money to buy the shelter dogs peanut butter! 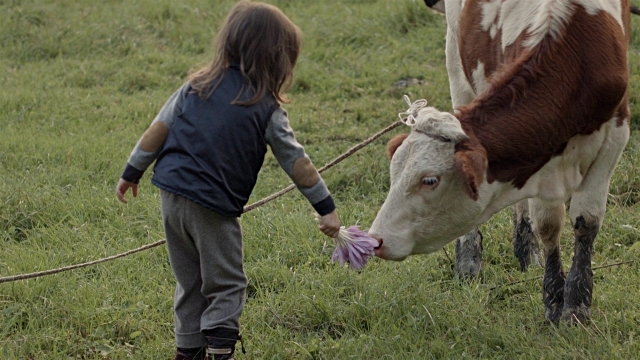 This 5-year-old girl sneaked a baby cow into her home to cuddle with it. 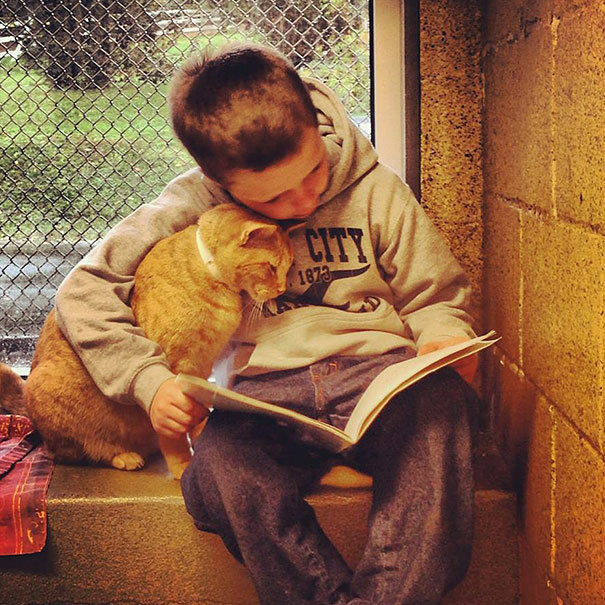 There are even programs in which kids that have trouble reading practice with shelter animals. 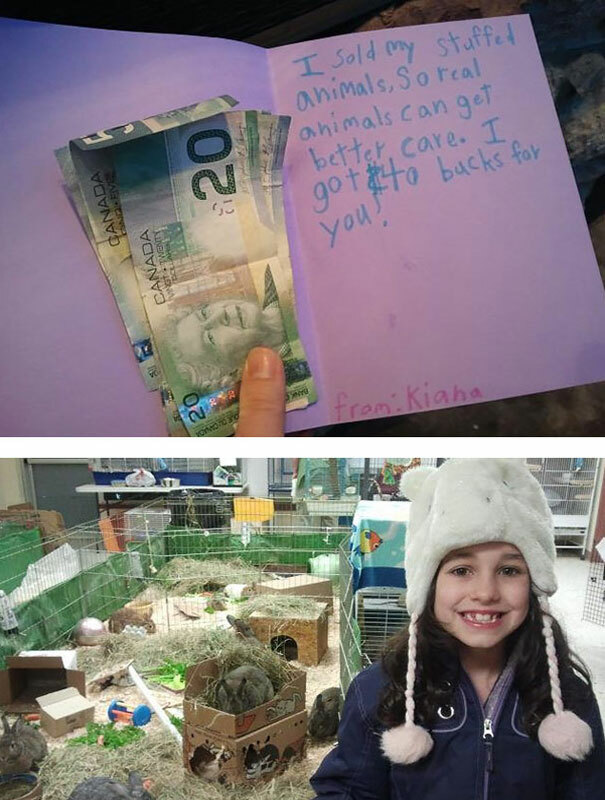 It helps the animal and the child all at the same time. It is a beautiful thing. Such a determined kid, amazing! 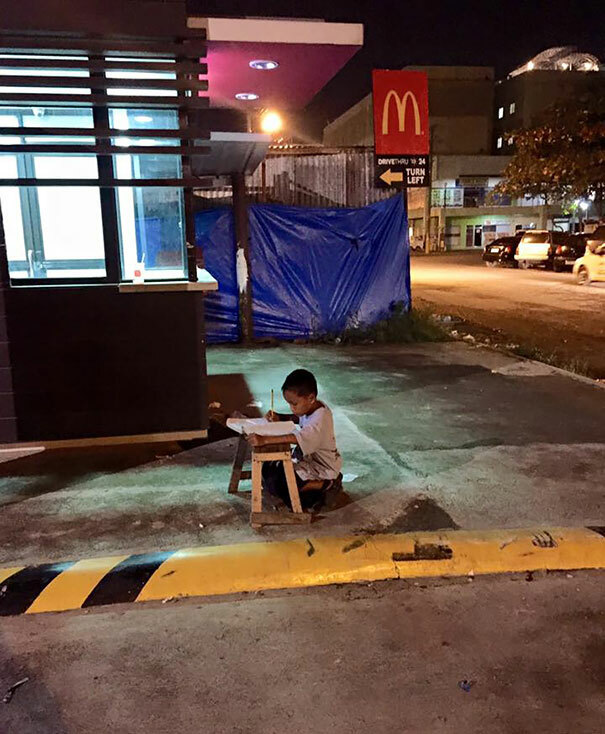 Homeless boy does his homework using the light from a local Mcdonald’s. 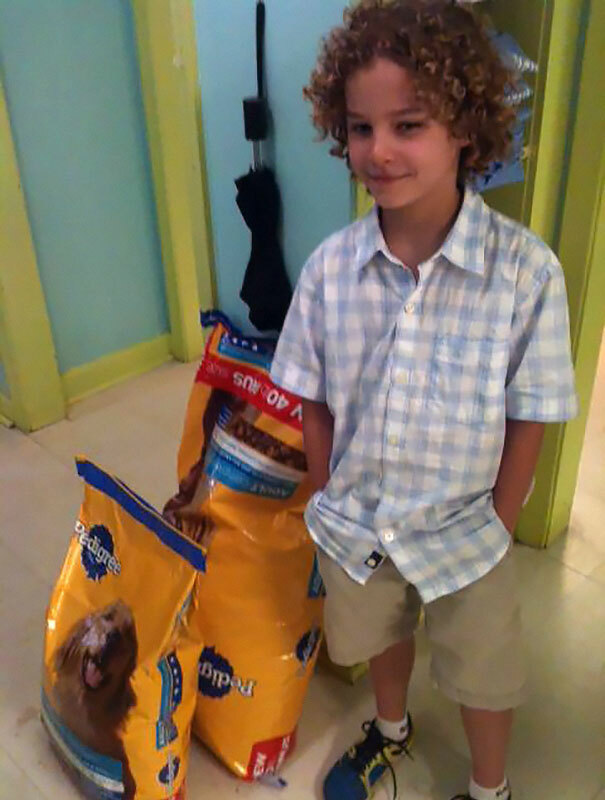 This young man bought some dog food with his own money and donated it to an animal shelter. 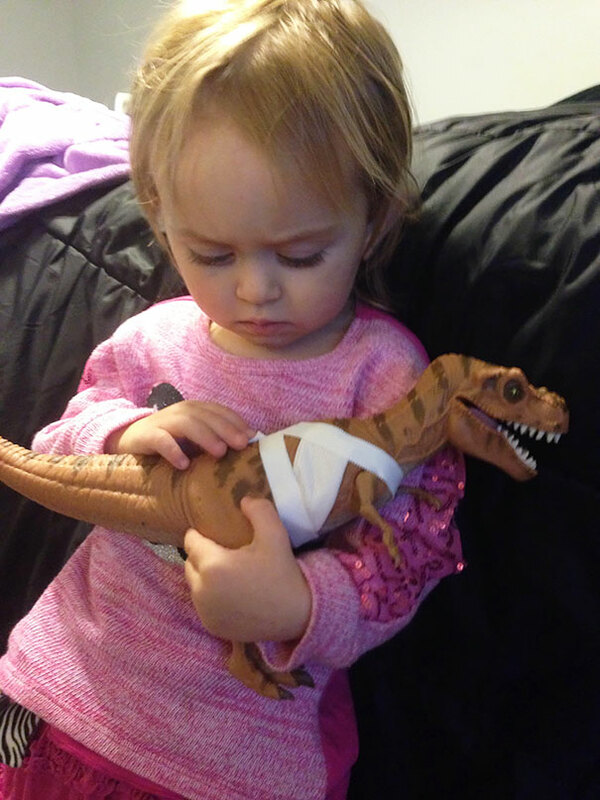 “My 8-year-old, Adriana, was taking care of her toy, which "had been in an accident". 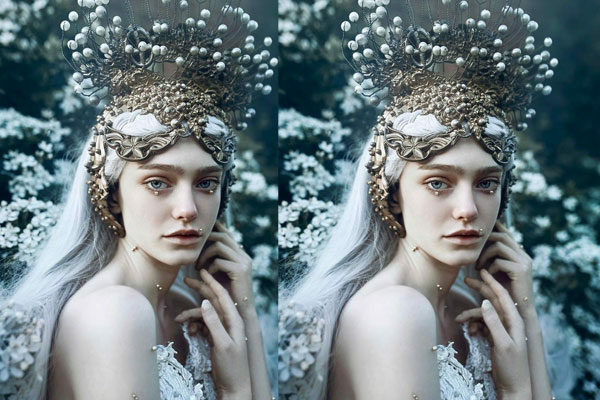 Her photos seem to be straight out of fairy tales. They are beautiful! 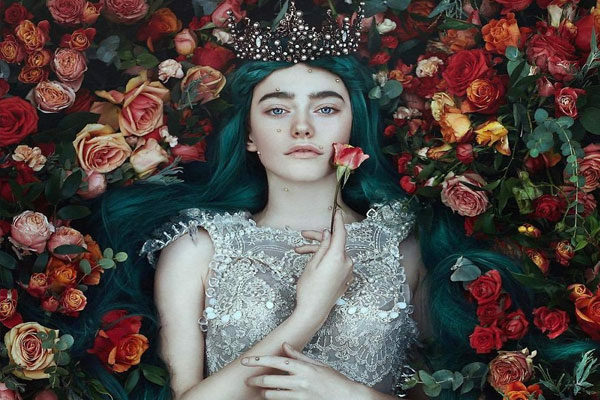 Photography has been changing through time and more people are trying to look for their own style and create amazing images we can’t stop looking. 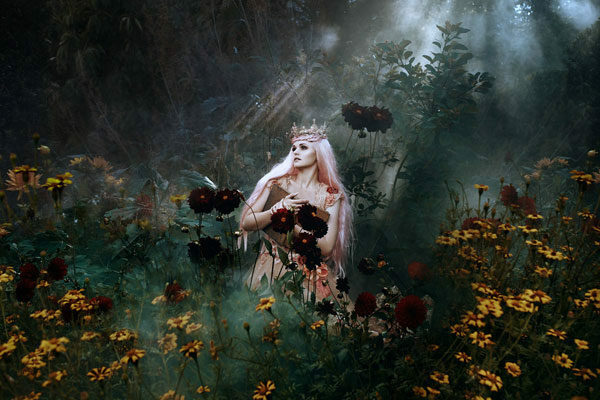 Through the images, photographers can tell some stories and even take us to a fairy tale and that is what Bella Kotak did, a photographer from London, England. 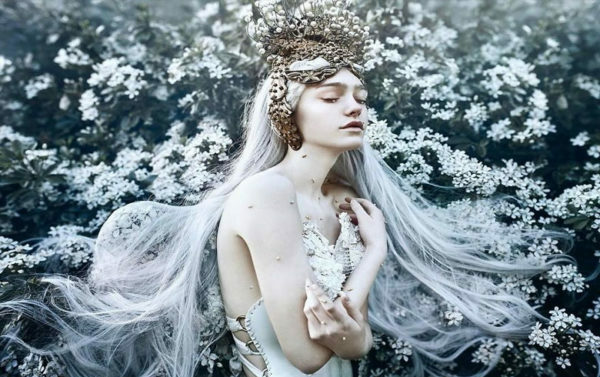 This photographer decided to try something different and her inspiration are our favorite fairy tales, creating unique and awesome images, full of amazing details and scenarios that seem to be impossible to exist in real life. 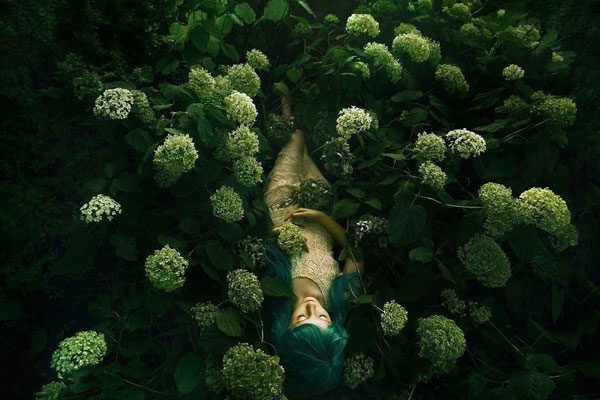 in her portraits you can notice the female bauty matching with natural places. 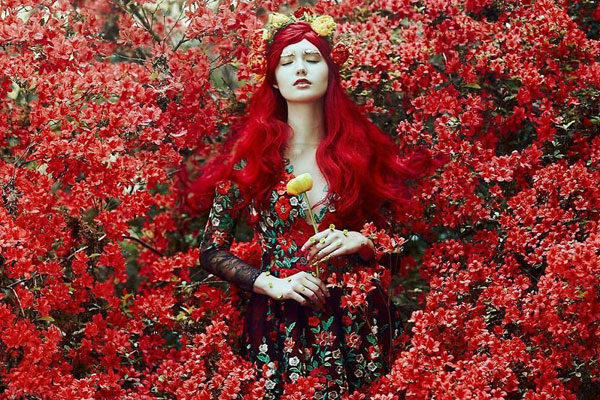 Bella Katok is a photographer from London, England. 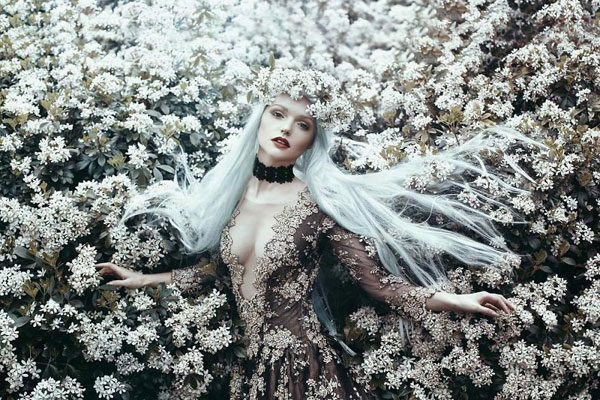 She is known because of her ability to create magical photos, matching her creativity, female beauty and natural scenarios, taking us to fairy tales. her passion for photography is easy to admire in each photo and photoshoots that she does. 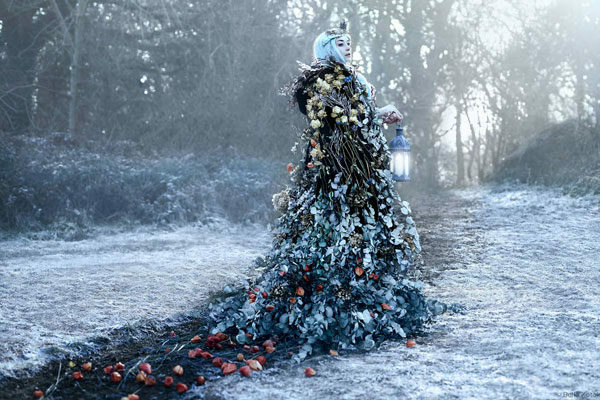 She only works with women, so she can recreate every our favorite fairy tales. In that way we can admire the female beauty in amazing scenarios full of nature. 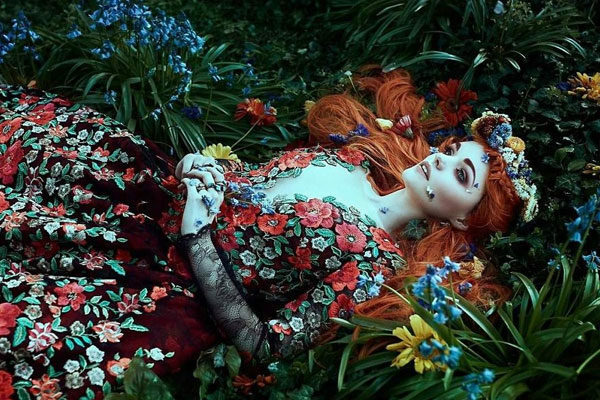 Nature is her biggest inspiration and Bella knows how to match all of her different ideas in every season of the year. 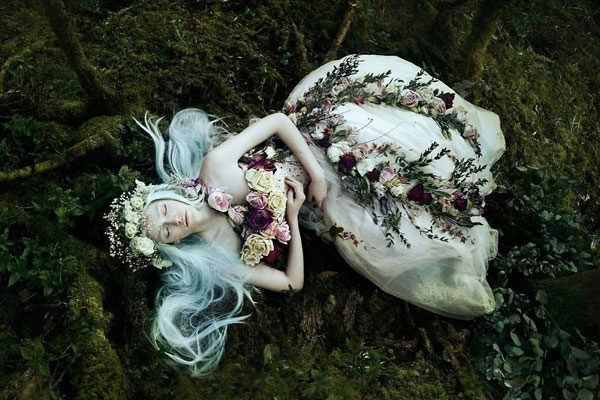 It is almost impossible to watch these images without thinking about fairy tales. Every photo can take us to another universe full of magic awith beautiful human beings. To create such an amazing picture like this one takes a lot of time. That dress seems to be a little uncomfortable but matches perfectly with the place where is located. It doesn't matter getting wet even if it is cold, models work happily next to Bella because results are incredible and they're worth it. It would be a shame not taking advantage of this scenario. 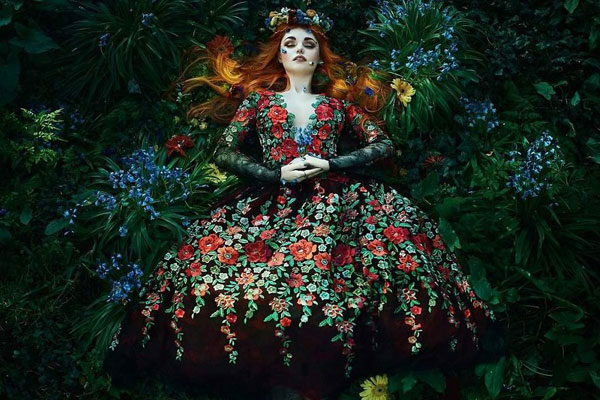 This long and beautiful dress matches perfectly with this amazing location. Bella’s portraits are not conventional, they need a lot of creativity and work. The beauty of a rose is compared to female beauty. Roses and their colors are related to nature in a way that is almost impossible not looking at them without wanting to take them. It is easy to notice the tones that Bella uses, we can appreciate the dark side of the nature. Sometimes we need to take a break to feel the beauty. As we can see Bella is so good matching all the elements in the picture. The beauty can be hidden and just some people can appreciate it. Without curiosity many things that we know would not exist. Bella had much curiosity to start this kind of portraits which are matching nature and women. Bella knows how important are the scenarios, colors and moves to give life to those amazing photos that she creates. 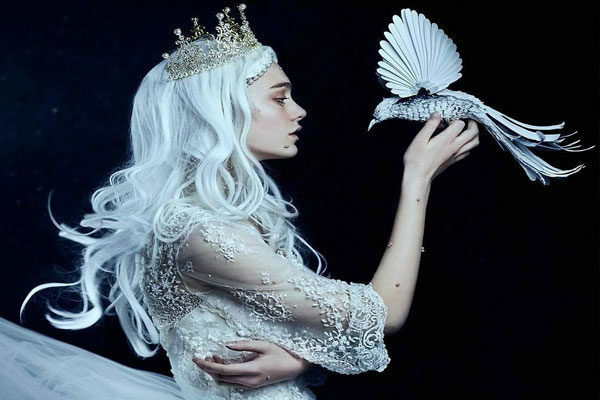 There are some reasons to dream about being a princess when were are little girls and even if we get older we love those stories. Dreaming about what we want to do is a big step to do it possible and starting to work to achieve the things we want is even better. Bella knows what is waking up and making real what she has in her mind. 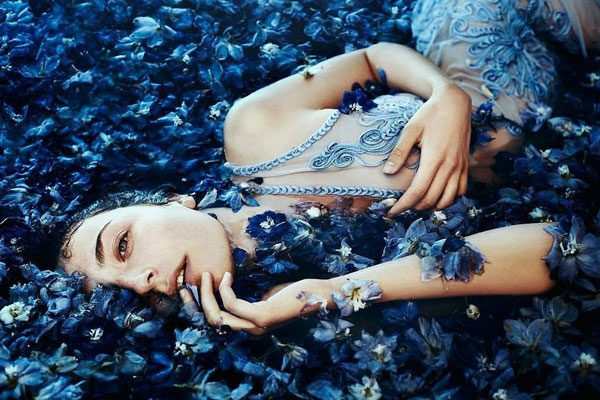 Blue flowers are just unique and wonderful. Many people love this color and there's no doubt about why they do it. 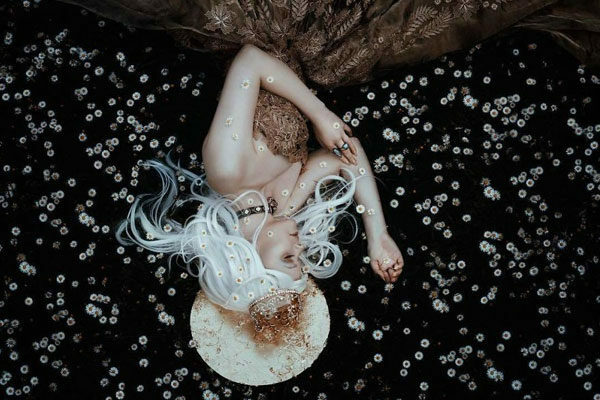 Bella Kotak not only captures amazing portraits but also takes us to another magic universes, full of scenarios where human beings can feel alive. Her work is just amazing. When we watch different kinds of movies, we never think that they might actually be based on a true story. Many films tell the real story behind some really interesting events in people’s lives. We’ll share with you a list of movies based on true stories and some really interesting facts about them. American writer Stephen King and his wife stayed on the Halloween night of 1974 at the Stanley Hotel, which is supposed to be haunted. 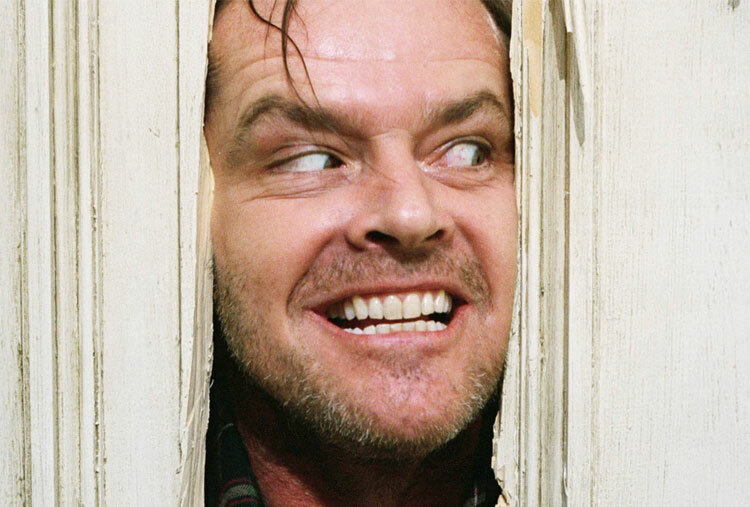 King had a nightmare in which he saw his son running through the halls of the hotel and that’s how he got inspired to write the novel called The Shining. 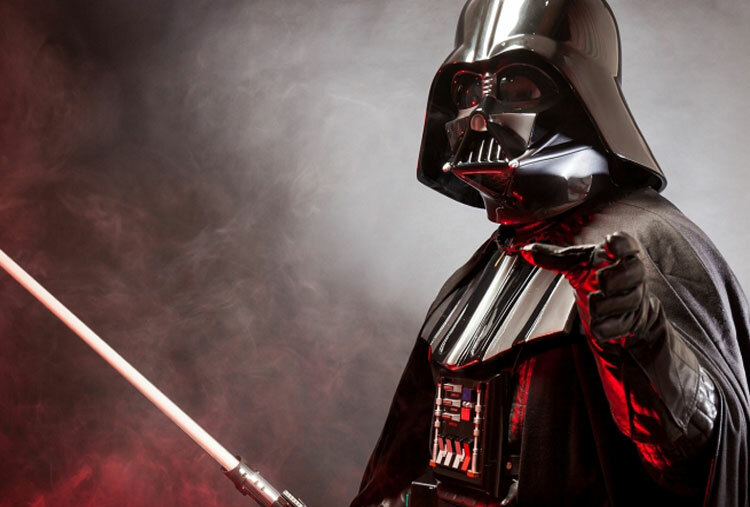 George Lucas the director and co-writer of the famous movie saga said that he was inspired by several literary and cinematic genres while he was writing them; many scenes and characters are based on Akira Kurosawa’s films. Lucas is passionate about history; the scene of the final battle in “A New Hope” is based on the air battles of World War II. 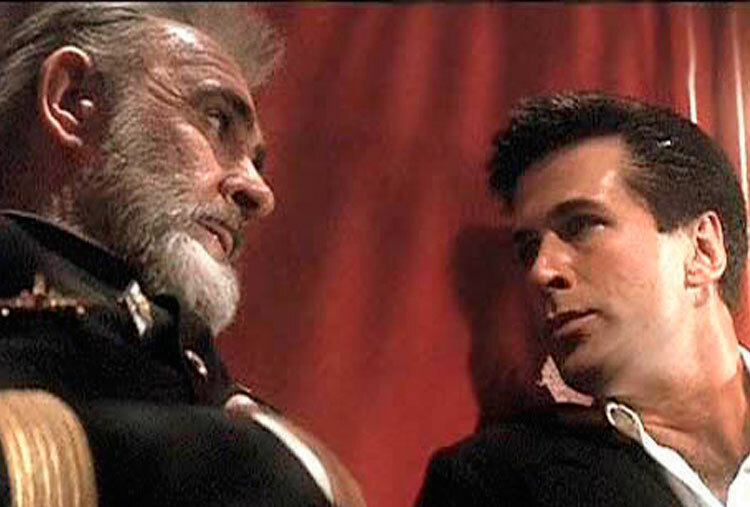 This 1990’s film is based on the story of Russian naval officer Valery Sablin, who in 1975 staged a failed mutiny on the Soviet warship Storozhevoy. The aim of the mutiny was to initiate a political uprising in the Soviet Union against a corrupt regime. Although the film received negative reviews in major publications it was very popular. 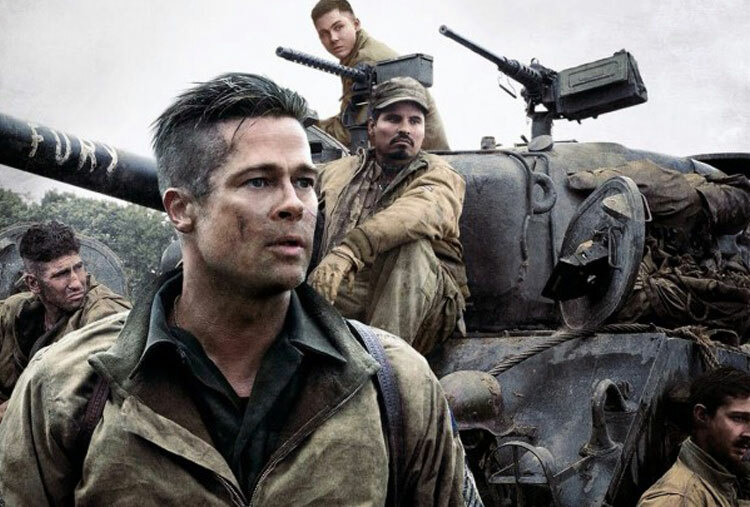 This film is based on true stories of battles and soldiers during World War II. One of them is Audie Murphy’s story, who managed to stop the German soldiers on his own. Some of the stories shared on the movie are not completely real, but most of them are based on true facts. 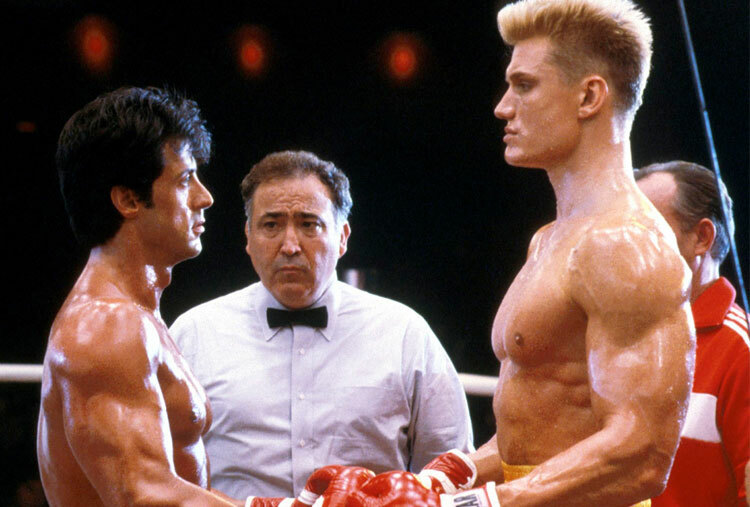 The film tells the story of Rocky Balboa and his journey to achieve the American dream. Sylvester Stallone, who was the main character, said that the script of the film is based on Chuck Wepner and the fight between Muhammad Ali. This is based on a true story of a Cambodian immigrant whose son died in very strange circumstances. 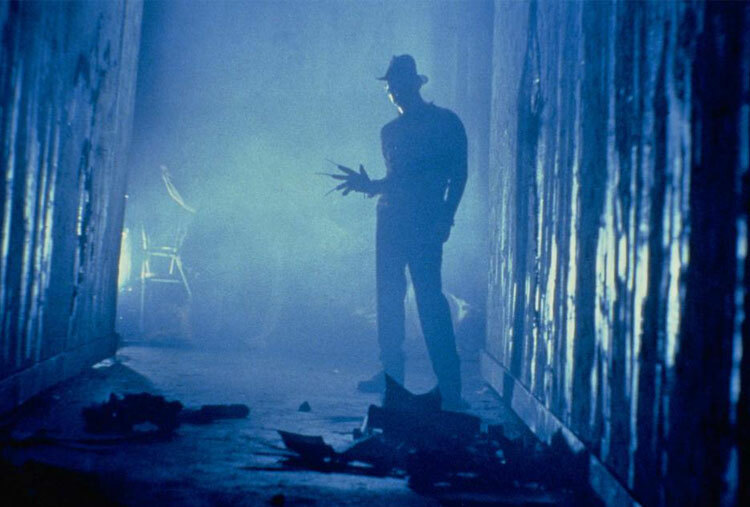 The film's director, Wes Craven, said he was inspired to write the script after reading this family’s story in the newspaper. The article said the little boy refused to sleep because he feared that someone would catch him in his sleep; so he stayed awake for several days until one night his parents found him dead in his bed, the child supposedly died during a nightmare. 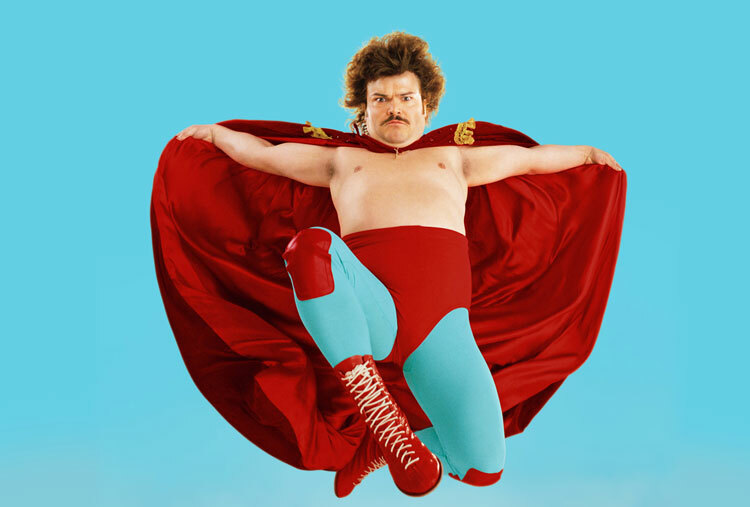 The character played by Jack Black is based in Fray Tormenta, the stage name of a Mexican priest and professional wrestler. The father entered the dangerous world of wrestling to help raise money for children at the orphanage he was in charge of. There are 4 movies based on this story but the most famous one is Nacho Libre. Hiram Bingham a Harvard and Yale professor inspired the adventures of the famous archaeologist Henry Walton "Indiana" Jones. Bingham discovered the forgotten Inca city of Machu Picchu. 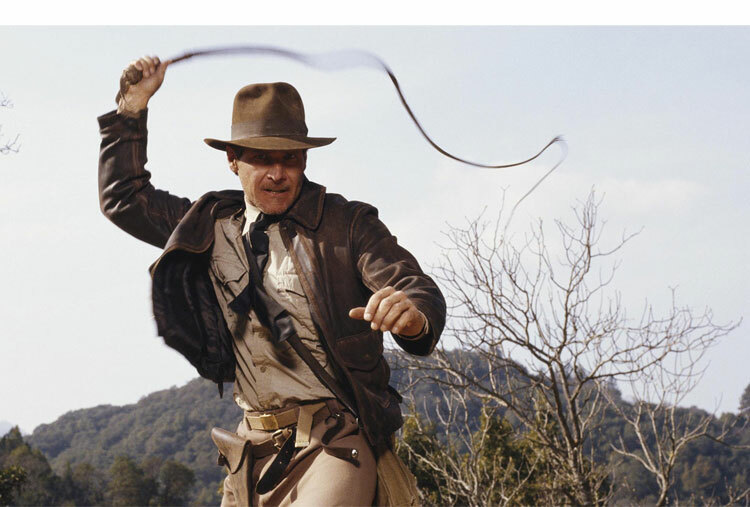 The adventures of "Indy" are much more dangerous than what happened to Bingham in real life. 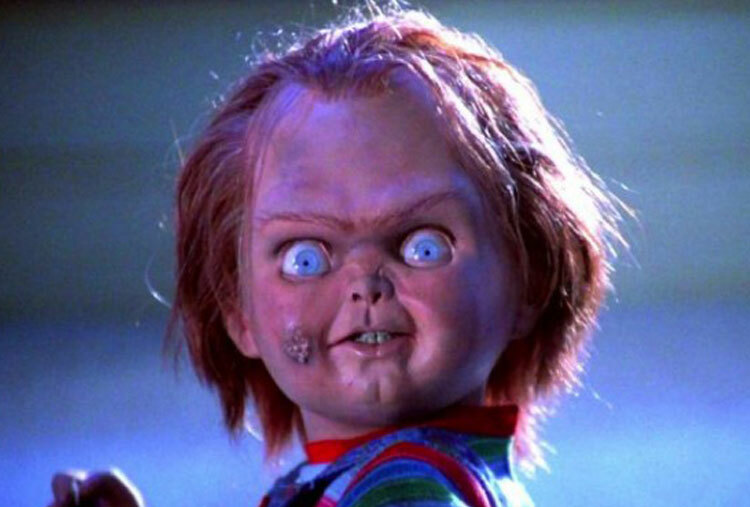 Chucky’s character is based on “Robert, the doll”, a toy that was supposedly possessed. 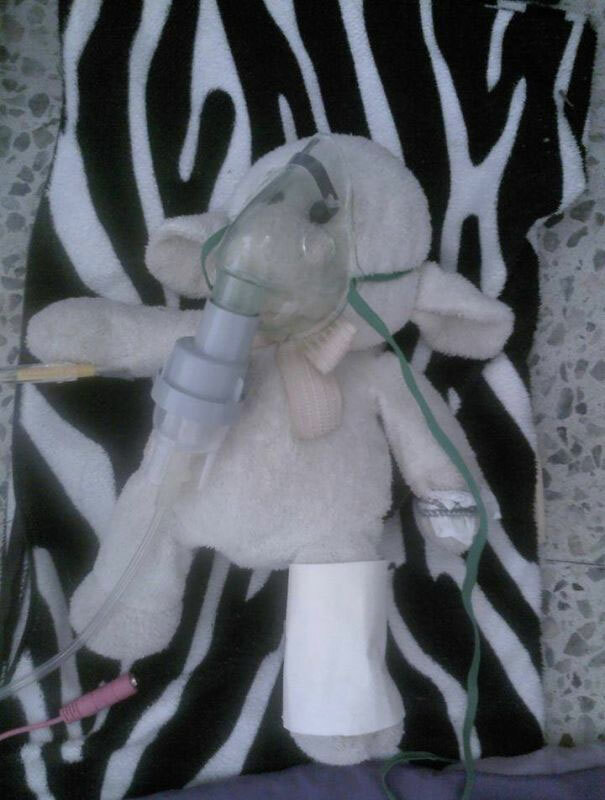 This doll talked to his owner and often tried to hurt him. The director of the film was fascinated with the story so he decided to take it to the big screen, changing several details of the story. The Exorcist is an adaptation of the novel by William Peter Blatty, which is based on an exorcism that took place in Washington in 1949. The film tells the story of Chris MacNeil and her daughter who’s possessed by a demon called Pazuzu. 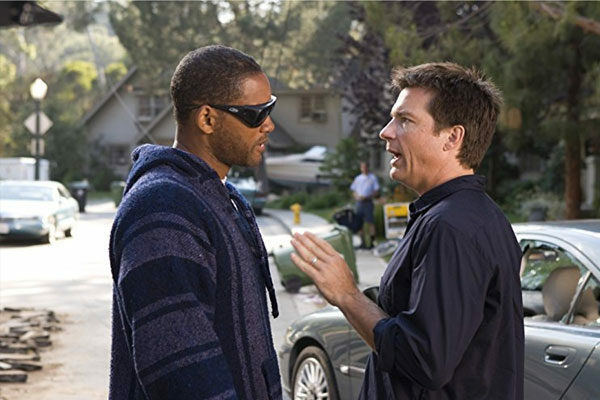 The film received 10 Academy Award nominations, winning for Best Adapted Screenplay and Best Sound. 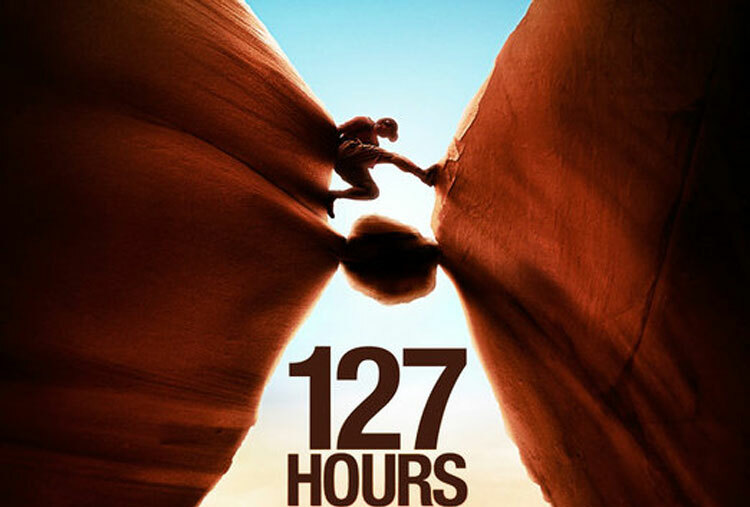 This drama is based on the true story of Aron Ralston, an American mountaineer who got trapped by a boulder in a slot canyon in Utah. 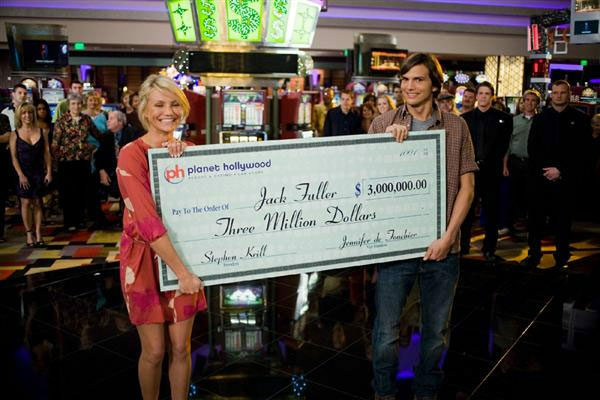 The movie stars James Franco and was nominated for six Academy Awards. This story is based on the life of Michelle Philpots, a woman who suffered a car accident in 1994 which caused her anterograde amnesia. Michelle was already married when this happened but after the accident she could not remember being married to her husband; so he put together a photo album with all that had happened in her life. 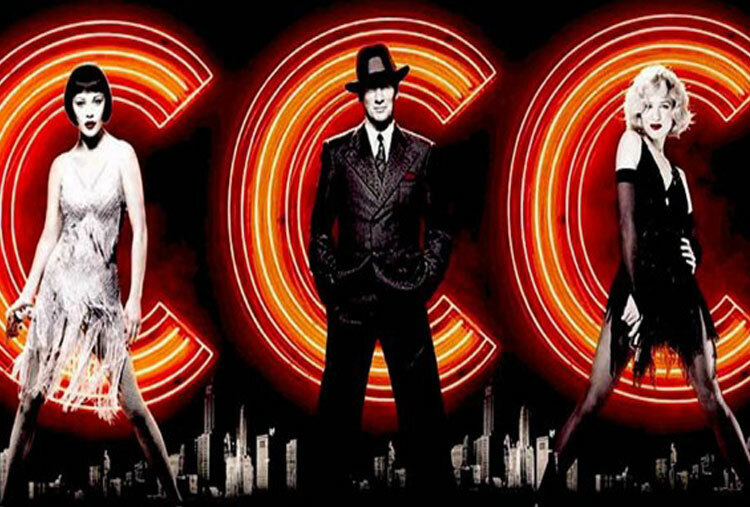 This film is based on the Broadway musical under the same name, which was inspired by real life events. In 1994, Belva Gaertner and Beulah Annan became famous for killing their lovers. 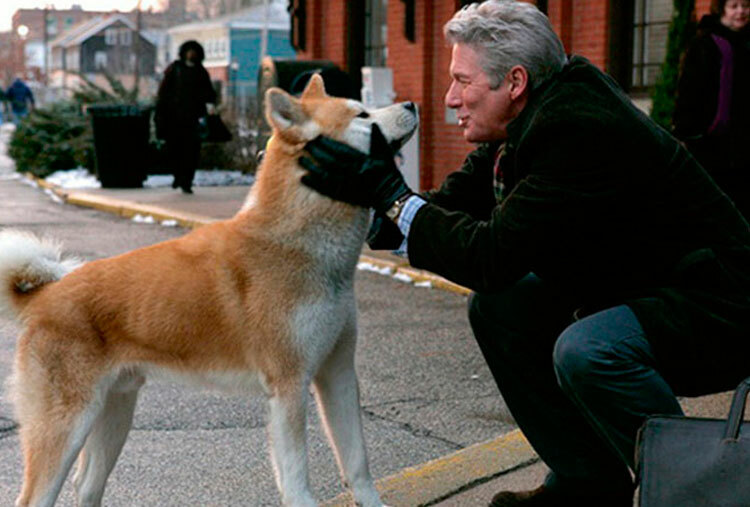 Hachiko is a drama film produced in the United States in 2009; it is based on the true story of a Japanese dog, his owner and the beautiful bond that existed between them. This movie is the remake of a 1987 Japanese film; the dog became so famous that he got a bronze statue at the Shibuya station in Japan. 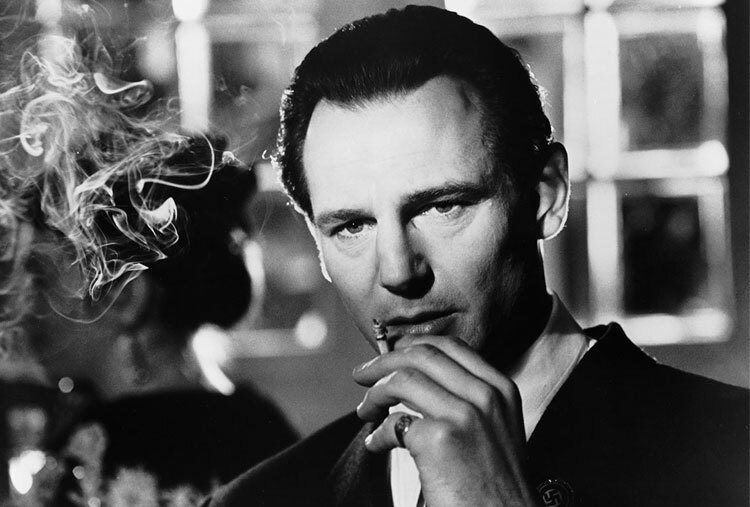 This story is based on Oskar Schindler, a German businessman who turned his factory into a refuge for Jews during World War II. Schindler managed to save 1,100 Jews from dying in the concentration camp of Auschwitz. 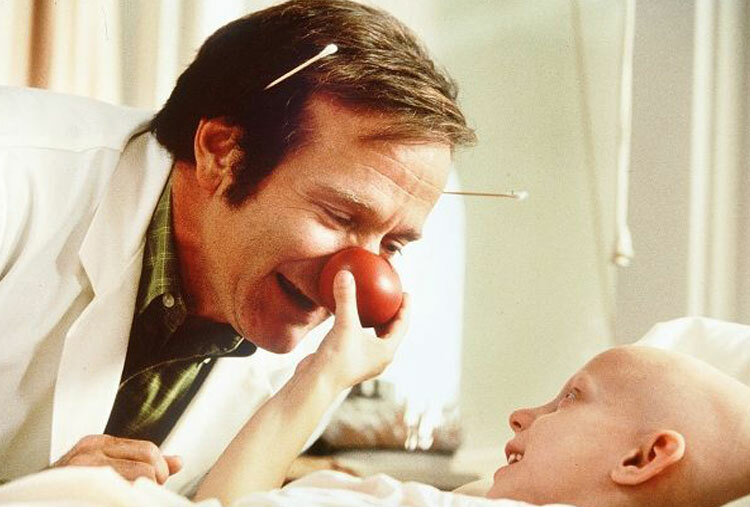 Starring Robin Williams, the film is inspired by the story of Dr. Hunter "Patch " Adams and the book “Gesundheit: Good health is a laughing matter”. 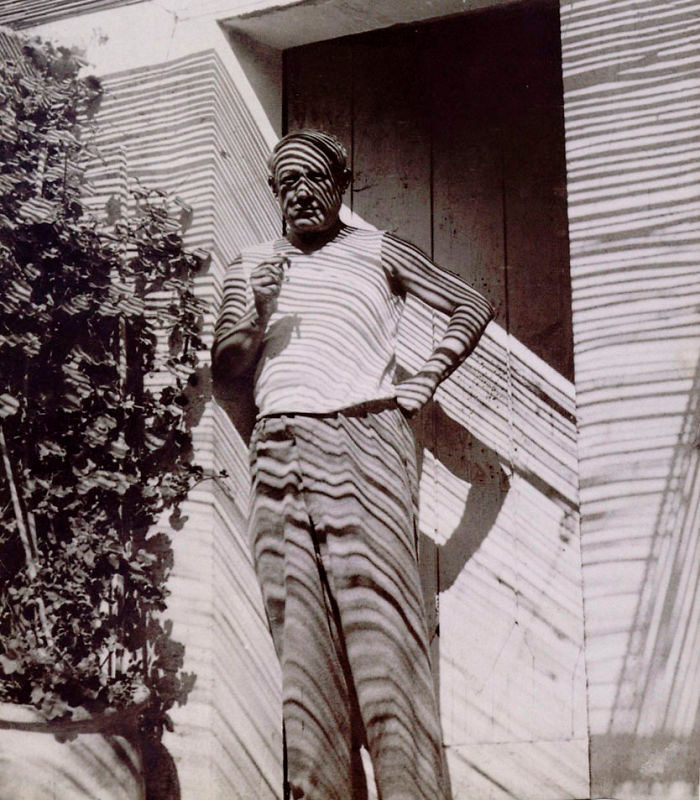 This doctor became famous for the way he treated his patients, he dressed up as a clown to make his patients laugh for a while. 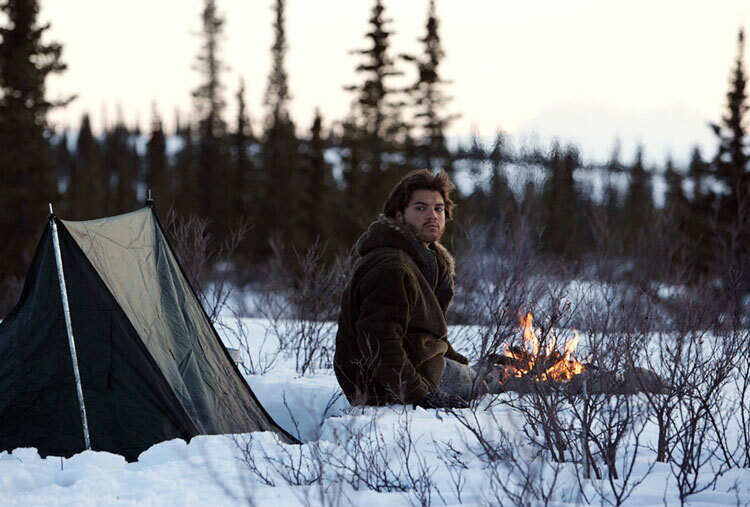 This American film is based on the story of Christopher McCandless, a young man who died after living by himself in the middle of Alaska for nearly four months. McCandless was an American itinerant traveler and hiker. This film is based on the sad story of Sylvia Likens who was tortured and killed. The film tells the cruel and shocking story that took place in the 60s. Gertrude Baniszwski kept Sylvia Likens, a teenager who was under her care, locked in a room while she tortured her unmercifully. The touching story of Sylvia has inspired several movies and books. This dramatic film is based on the book by Laura Hillenbrand which tells the story of Olympic athlete Louis Zamperini, who after suffering a plane crash, survives lost at sea for 47 days before being found by a Japanese warship. This moving story inspired the making of the film, directed by Angelina Jolie in 2014. This film is based on the life of a young German woman named Anneliese Michel who was diagnosed with epilepsy. This film caused a lot of sensation not only because it was an interesting story, but also because in the film you can hear part of the real audio of Michel’s exorcism.